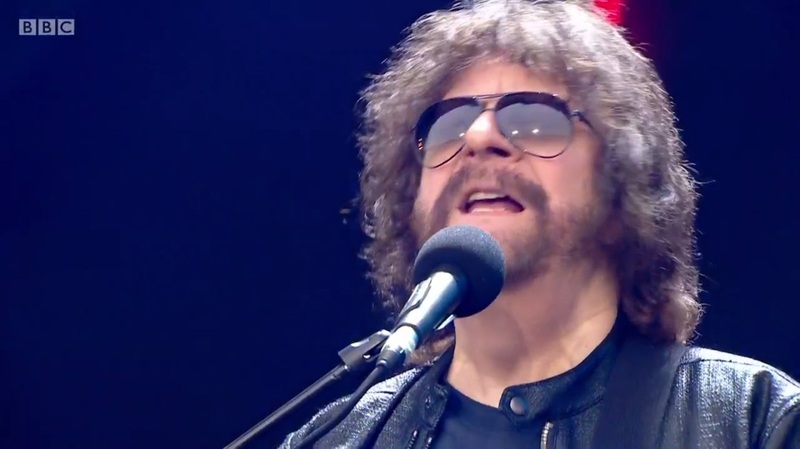 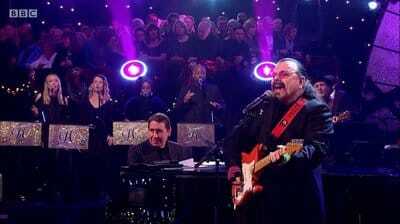 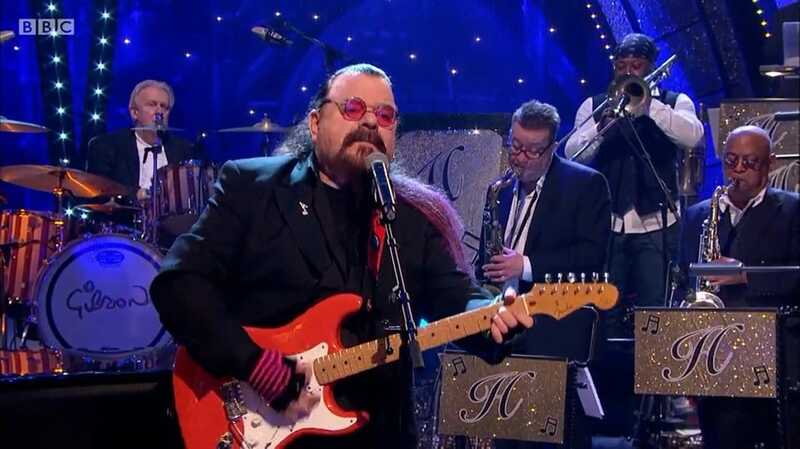 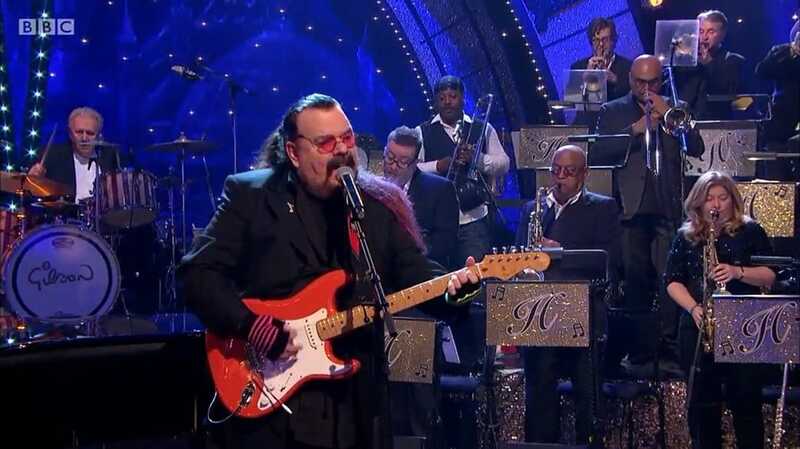 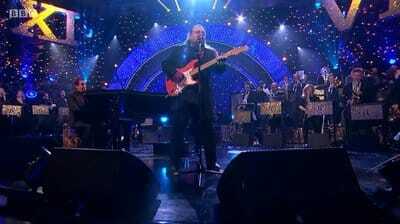 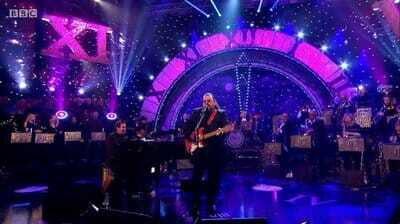 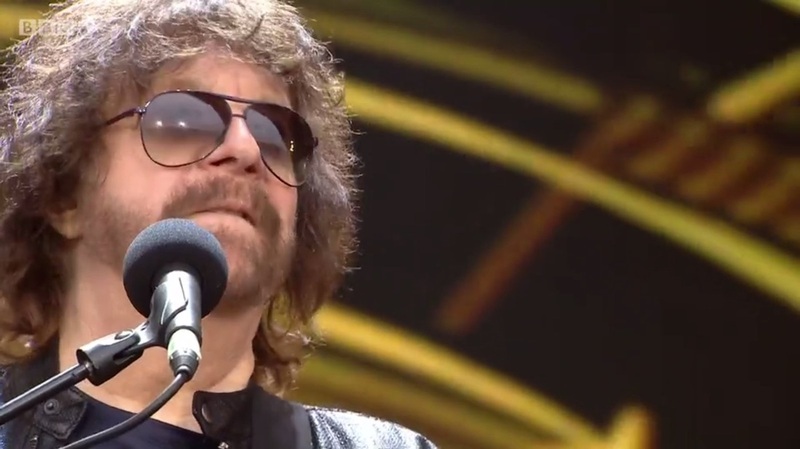 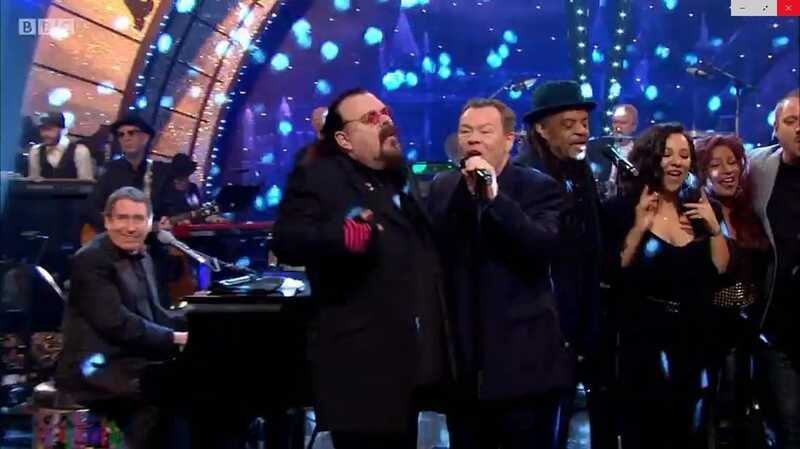 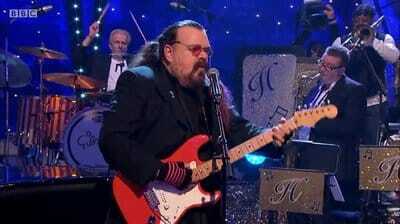 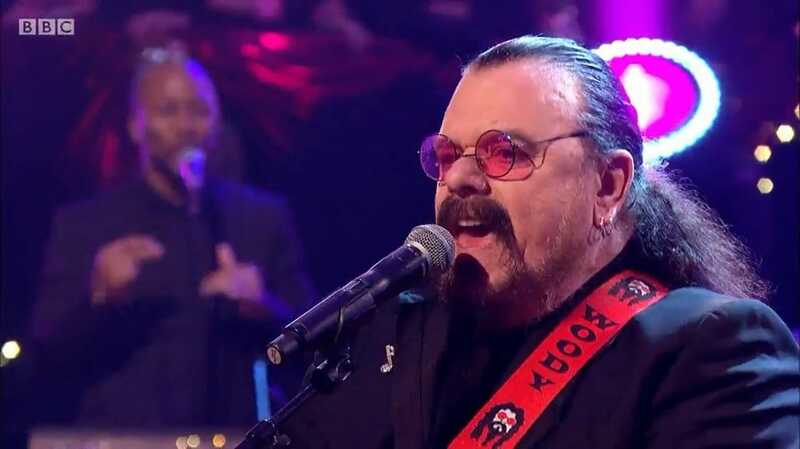 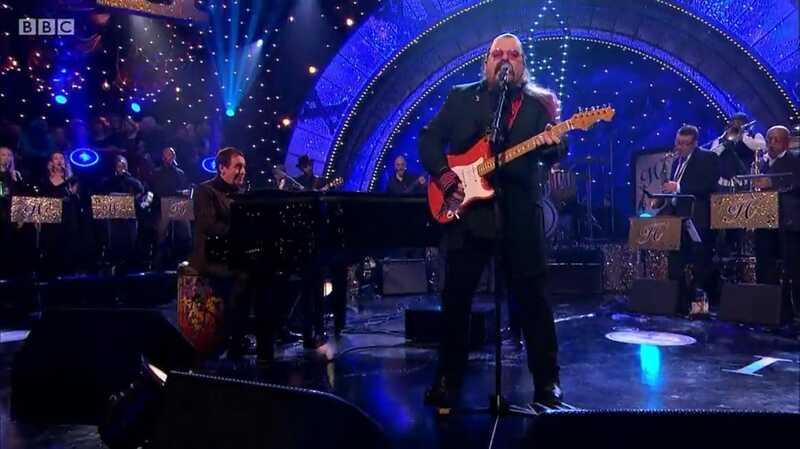 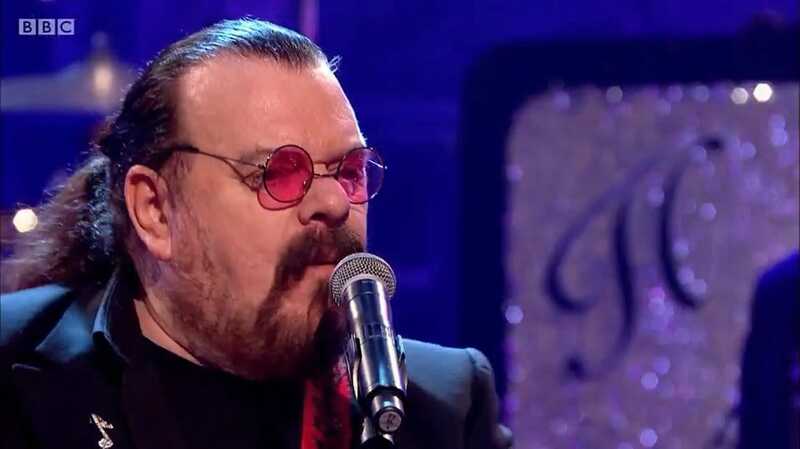 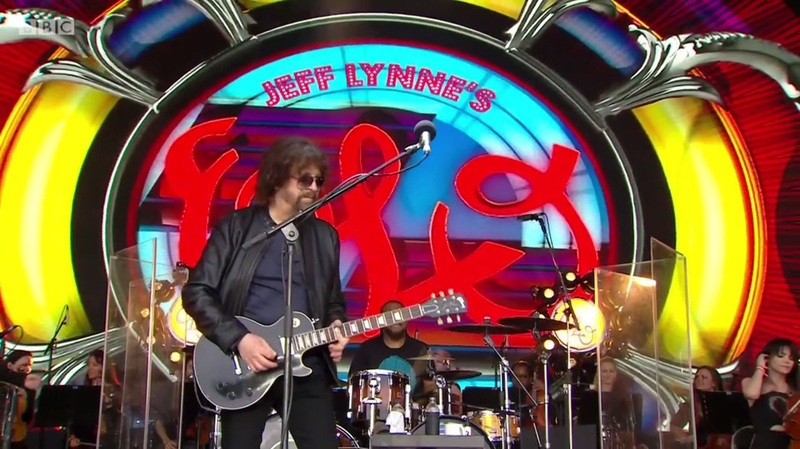 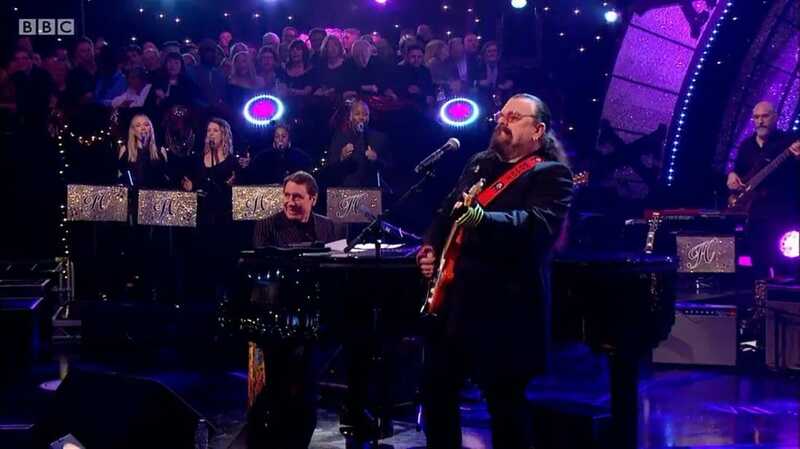 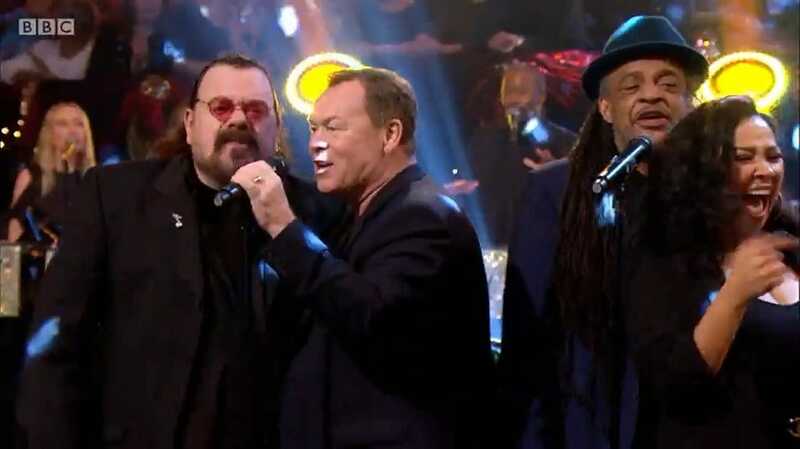 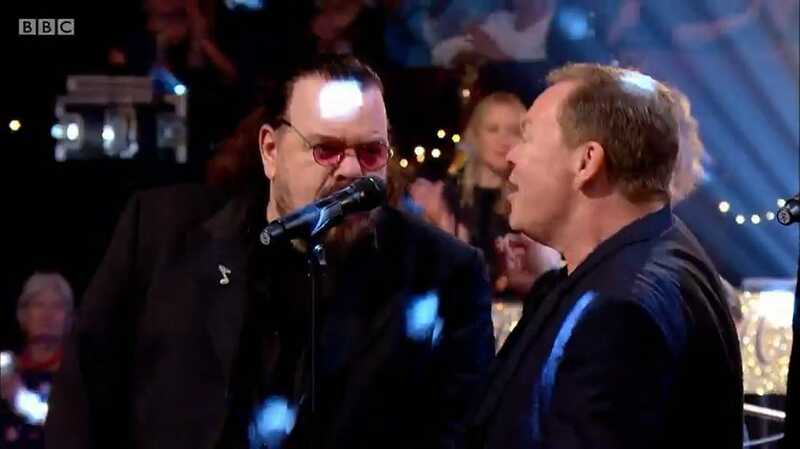 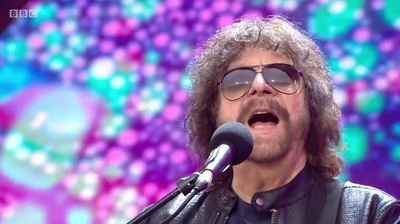 Some screen shots from the BBC tv broadcast of Jools Holland's Hootenanny which brought in the New Year, and featured Roy Wood performing 'See My Baby Jive' and 'Blackberry Way', as well as appearing in the final sing-a-long. 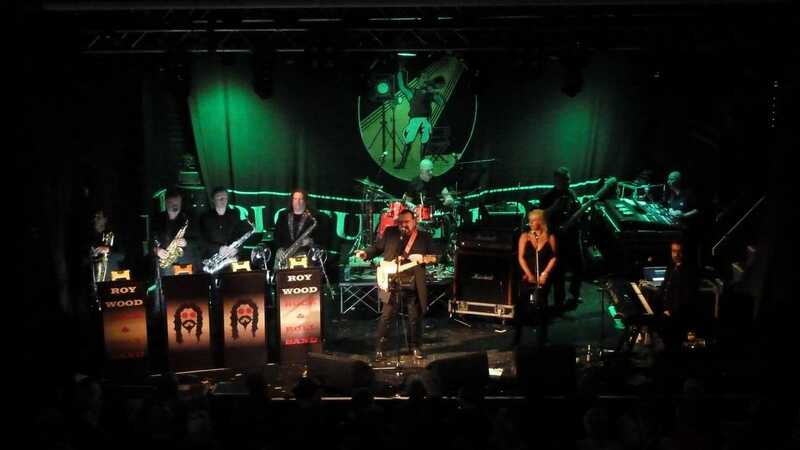 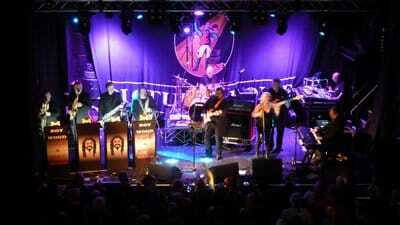 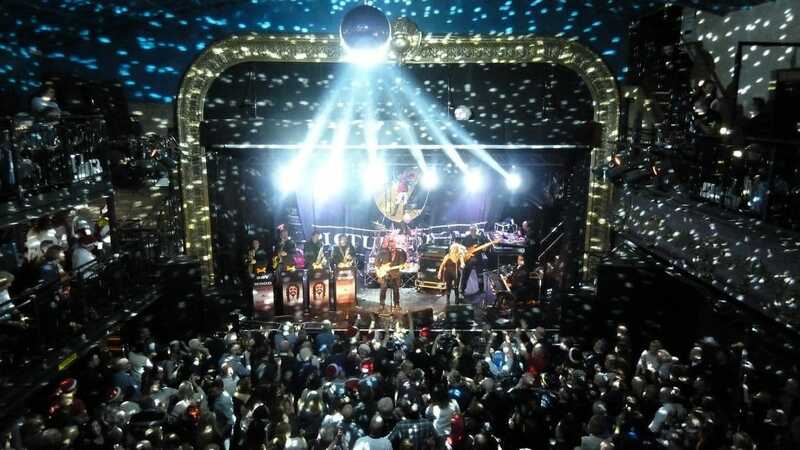 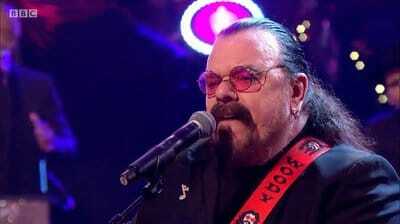 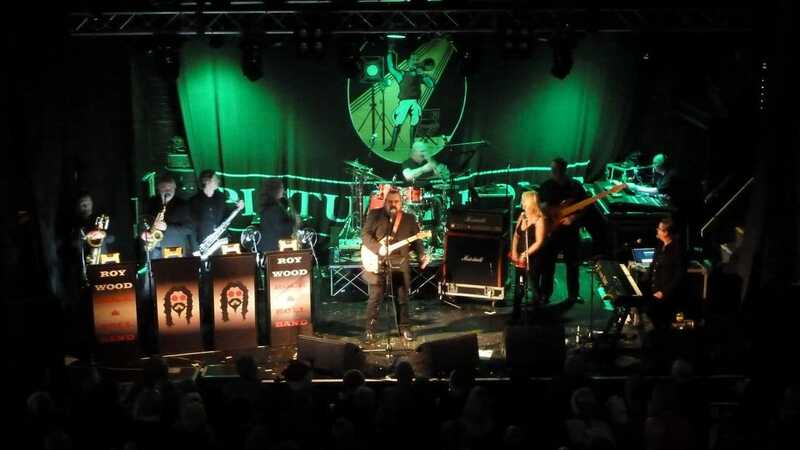 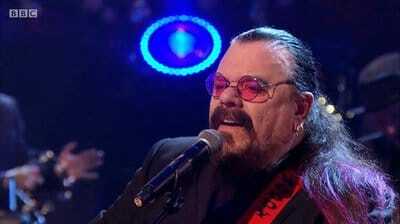 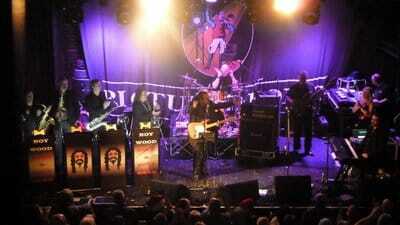 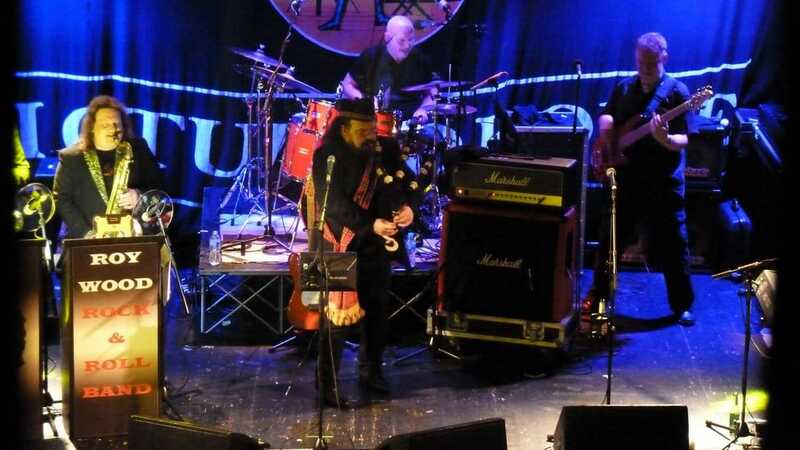 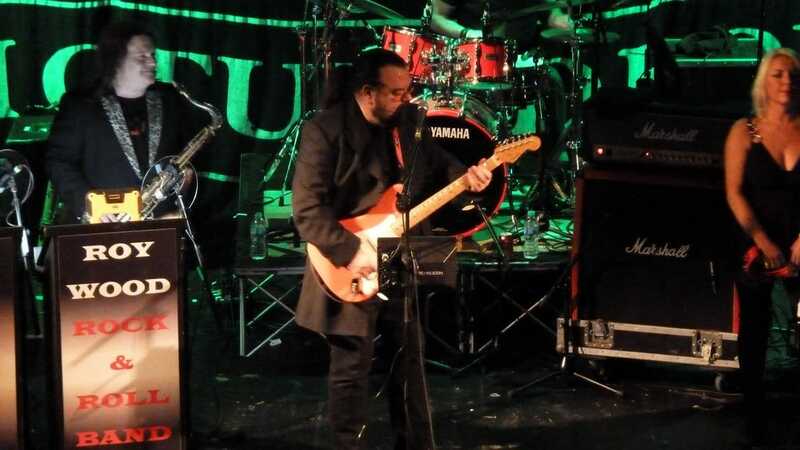 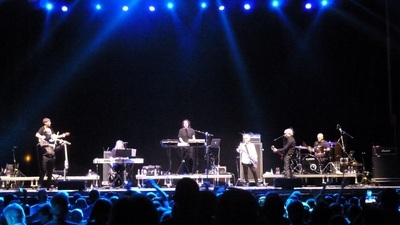 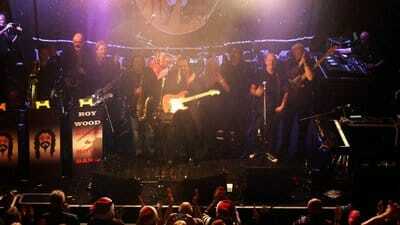 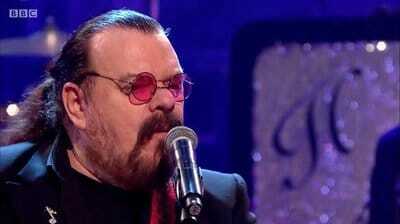 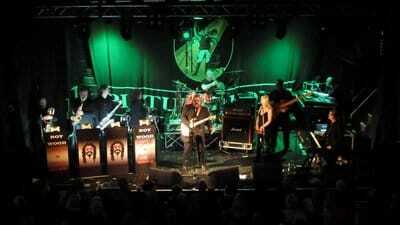 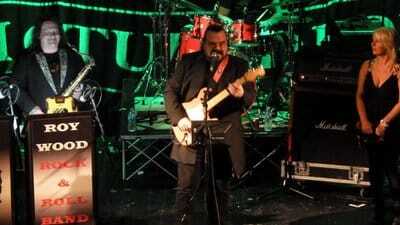 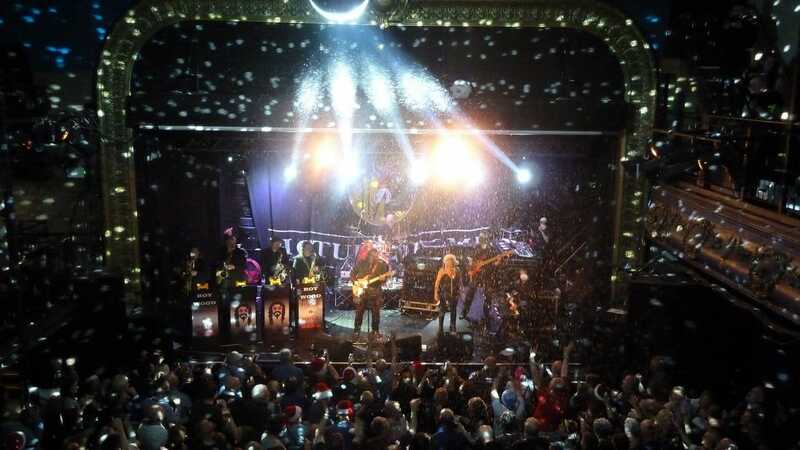 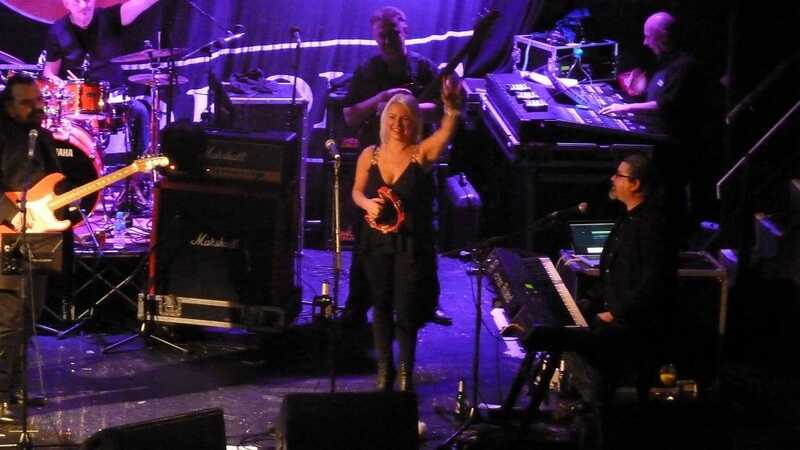 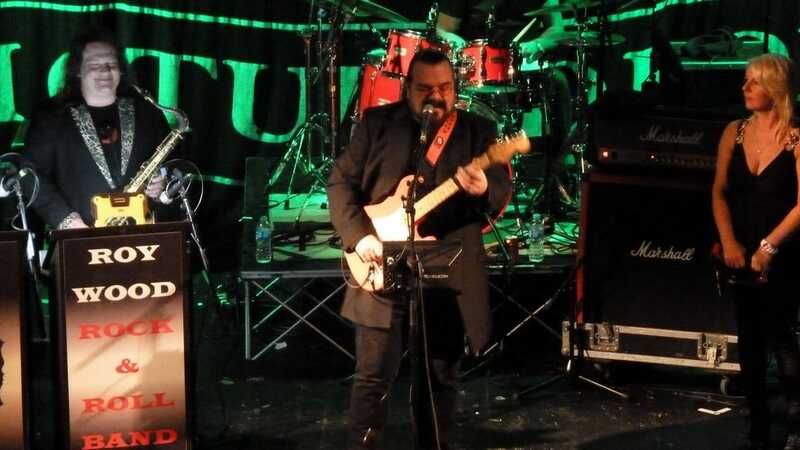 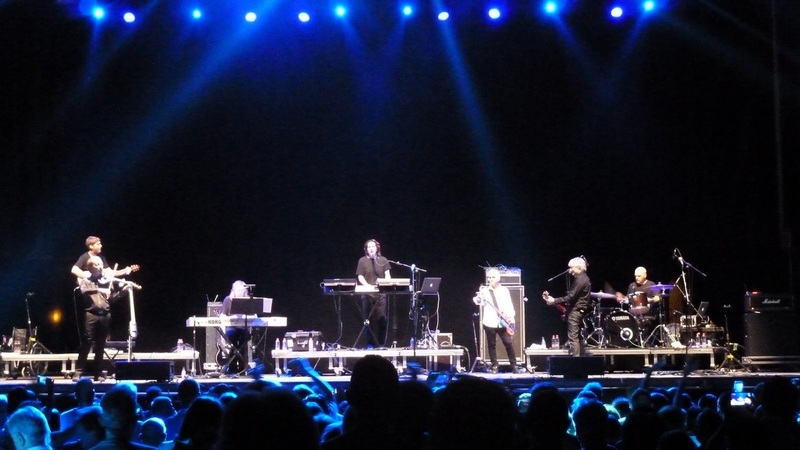 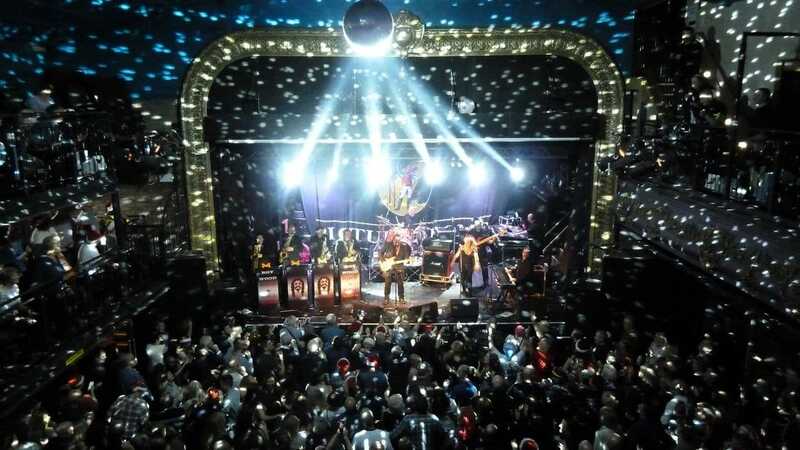 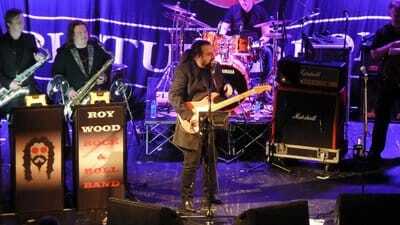 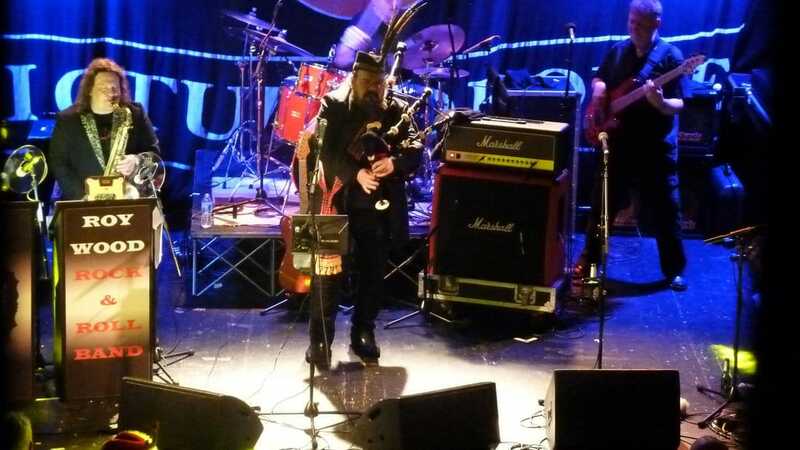 A superb gig by Roy Wood and his band in front of a sold-out crowd. 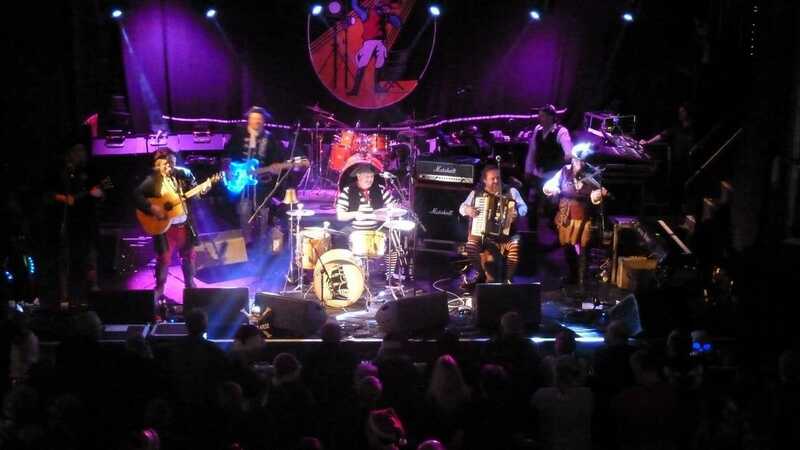 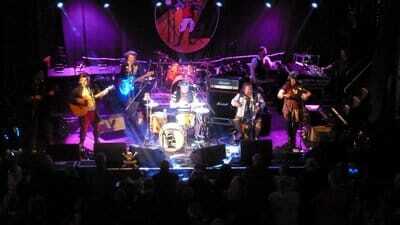 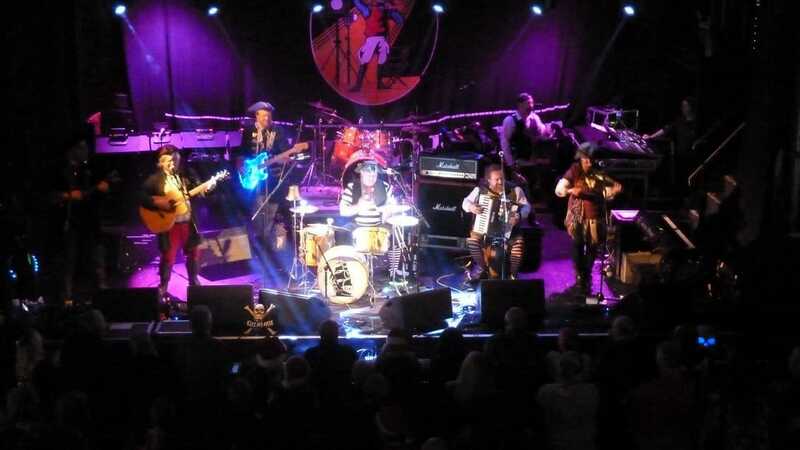 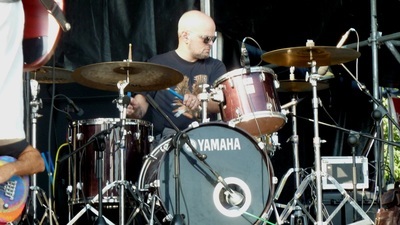 Support act Galleon Blast featuring Mark Radcliffe were very entertaining as well. 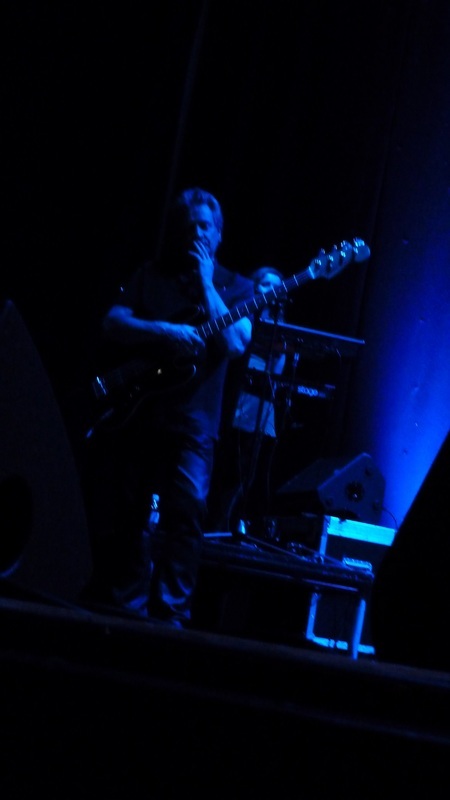 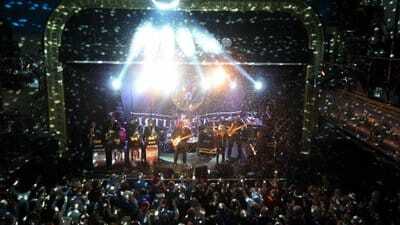 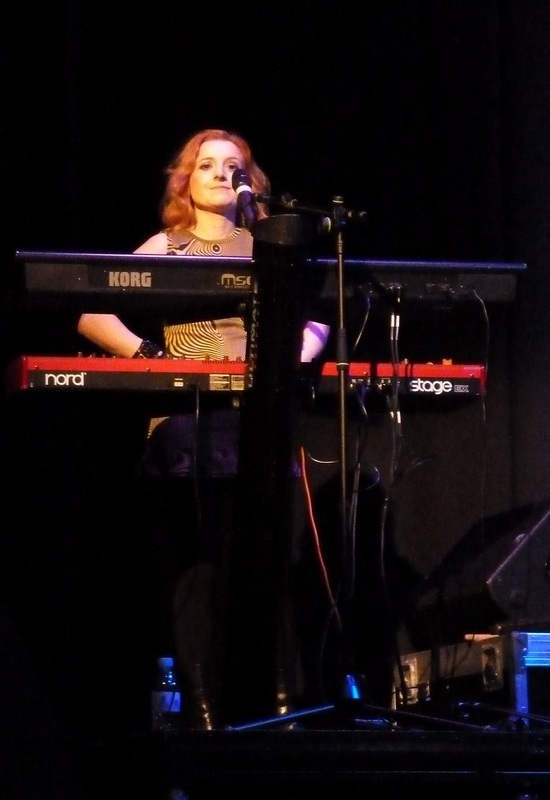 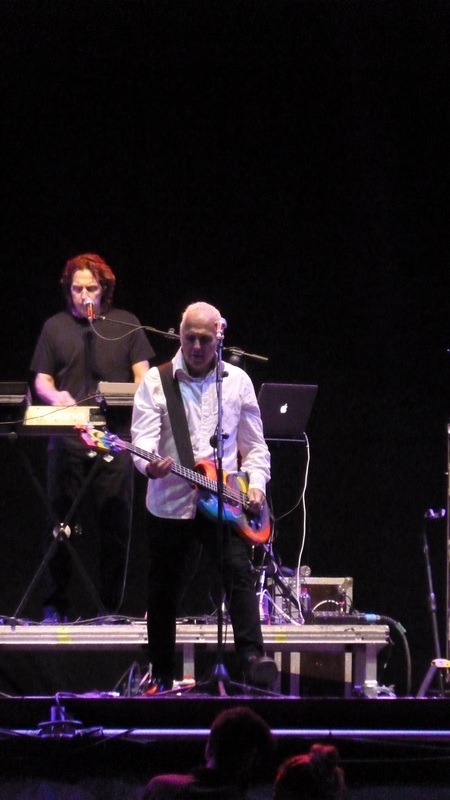 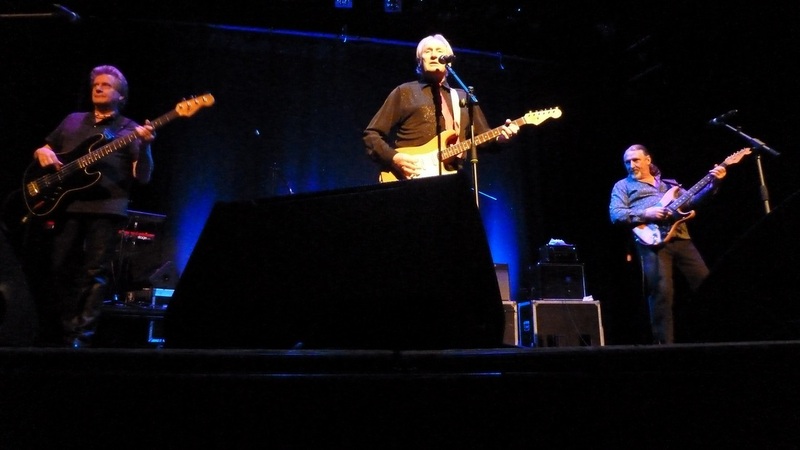 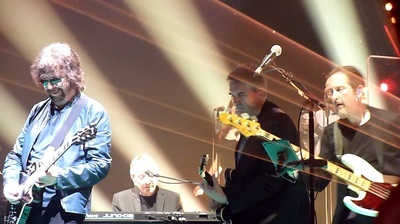 Great gig at the Palace Theatre, Redditch on Saturday night. 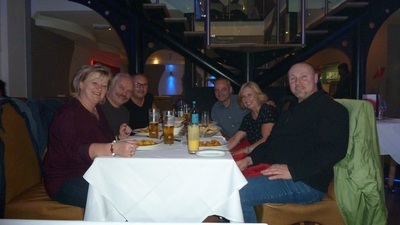 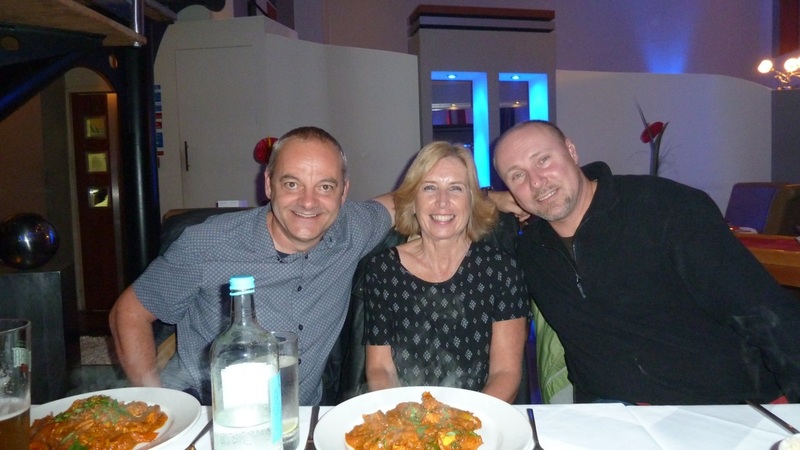 Had a lovely pre-gig curry at Rily's next door to the theatre with our friends Jeff Cooper, and Thomas, Conny and Mike who had travelled over from Germany for the gig.The support act Ricky Cool and the In Crowd were superb. 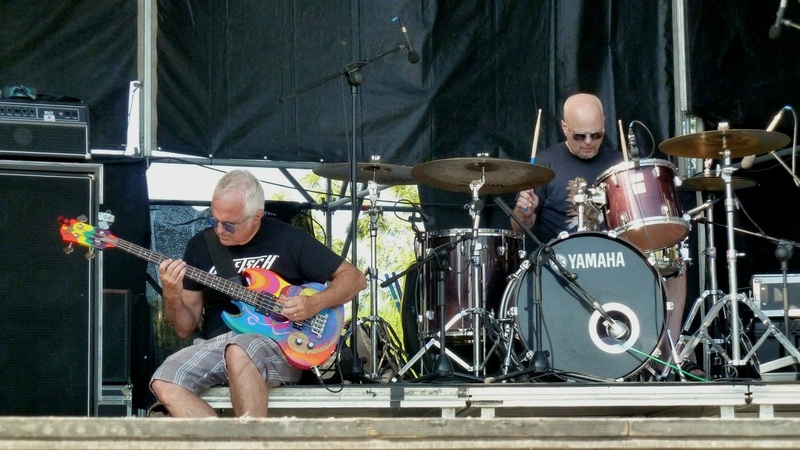 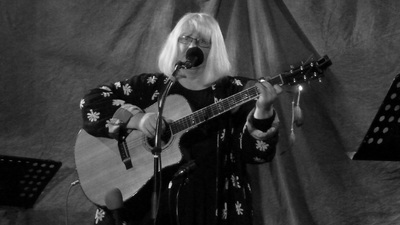 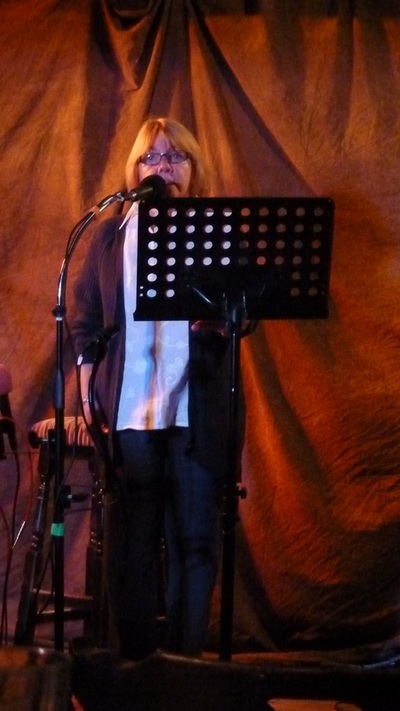 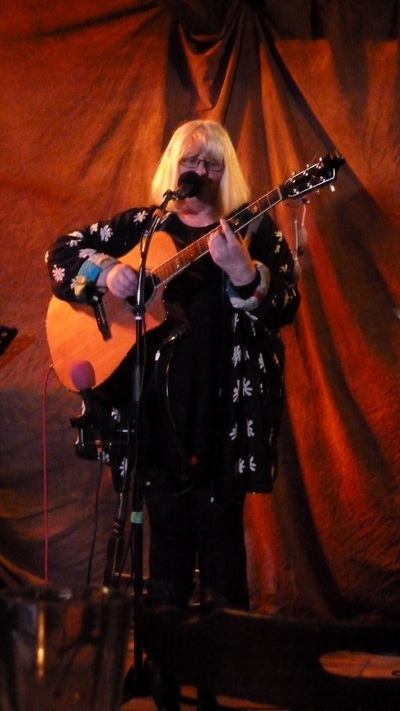 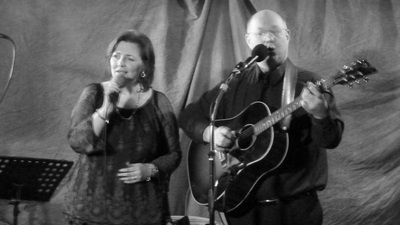 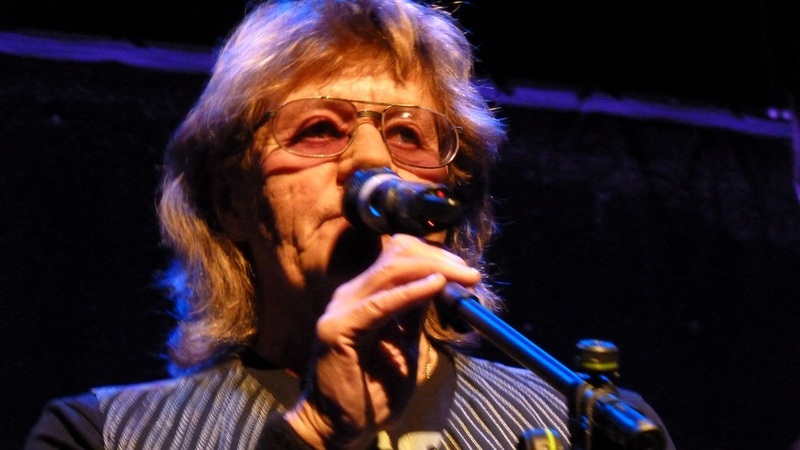 Bev and band took to the stage for a 90 minute set which covered a wide range of songs from Roy Orbison, The Move, Black Sabbath, Electric Light Orchestra and lots more. 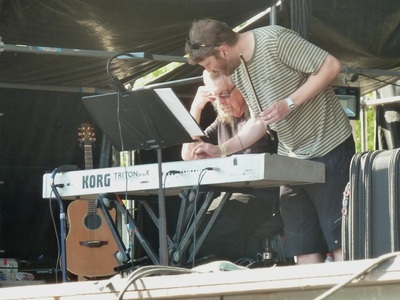 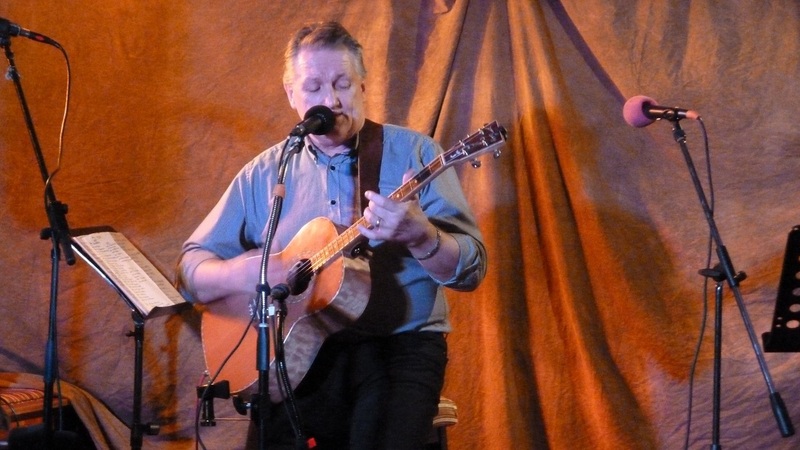 Geoff Turton provided great entertainment, often forgetting what song was next up, and had the audience in stitches with his jokes and stories. 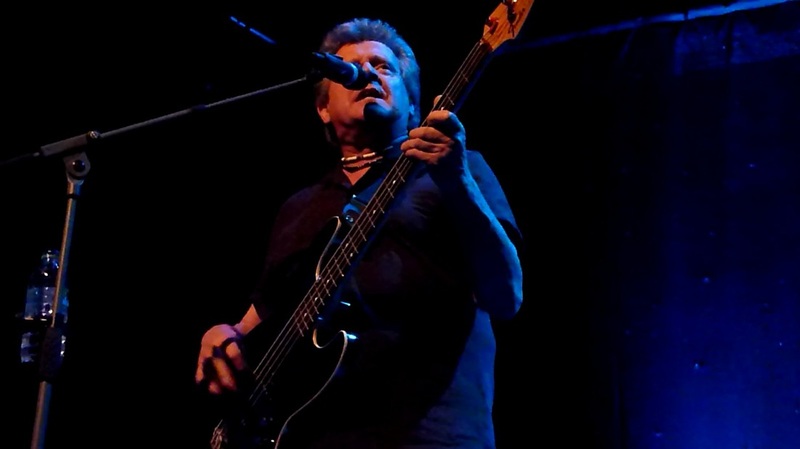 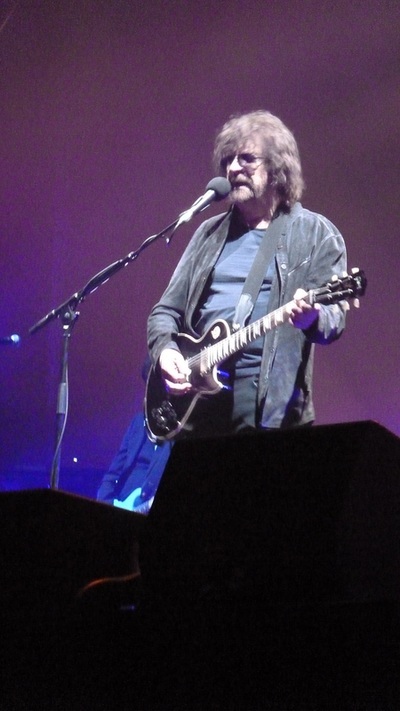 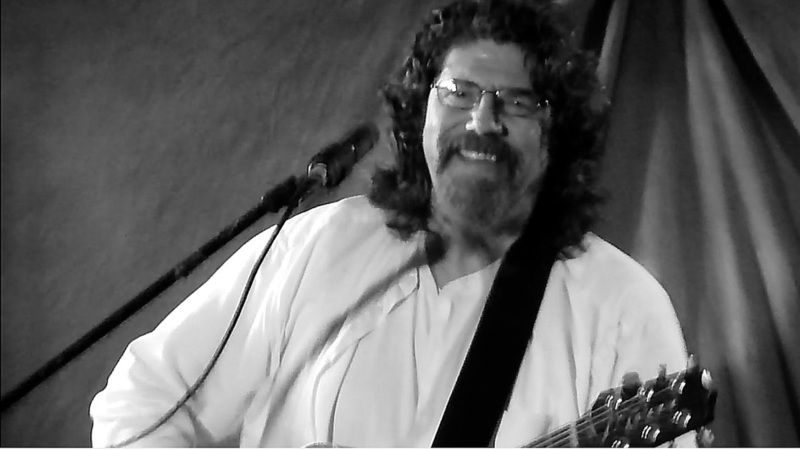 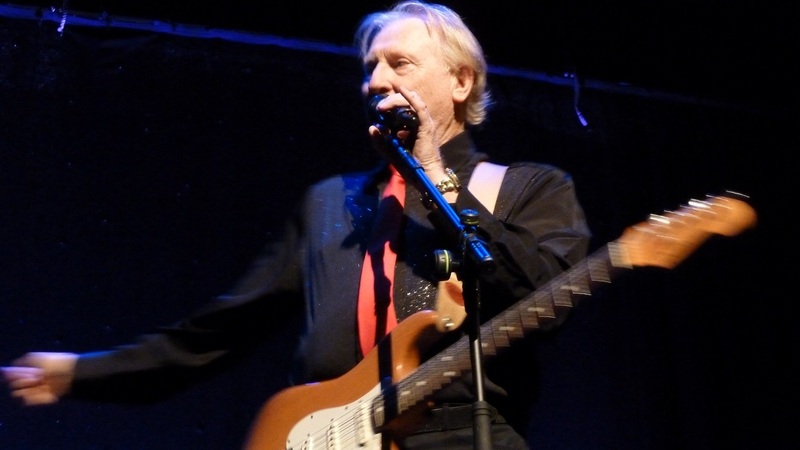 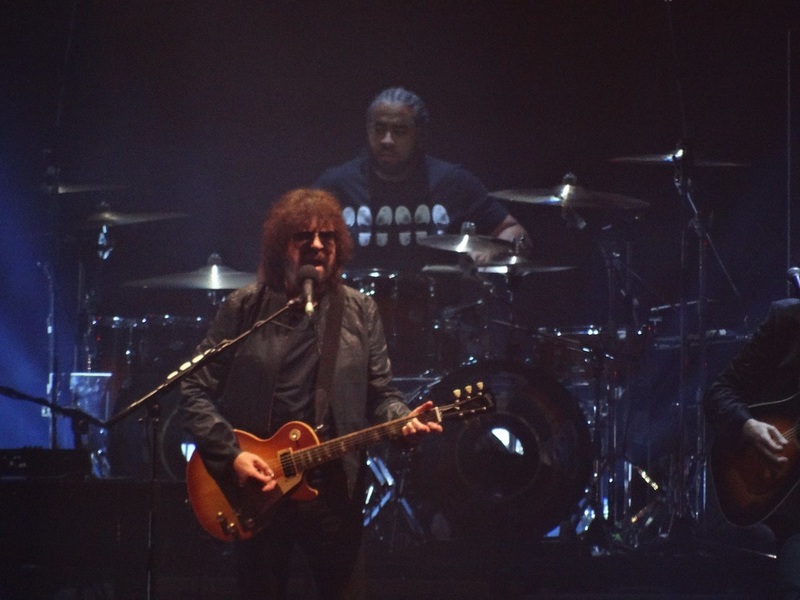 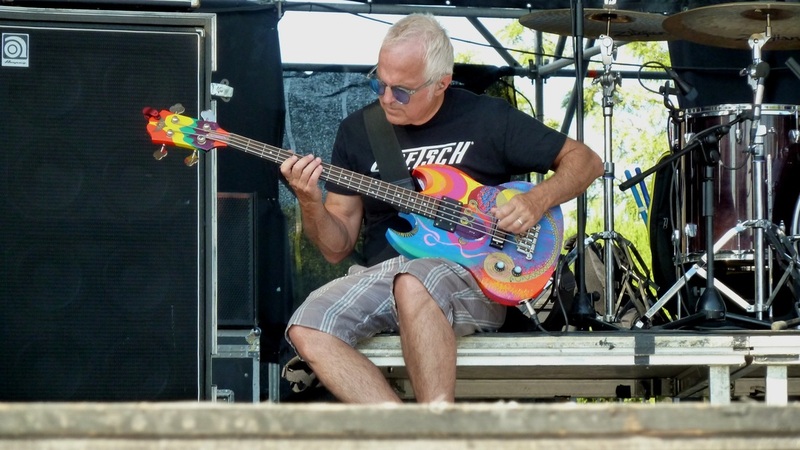 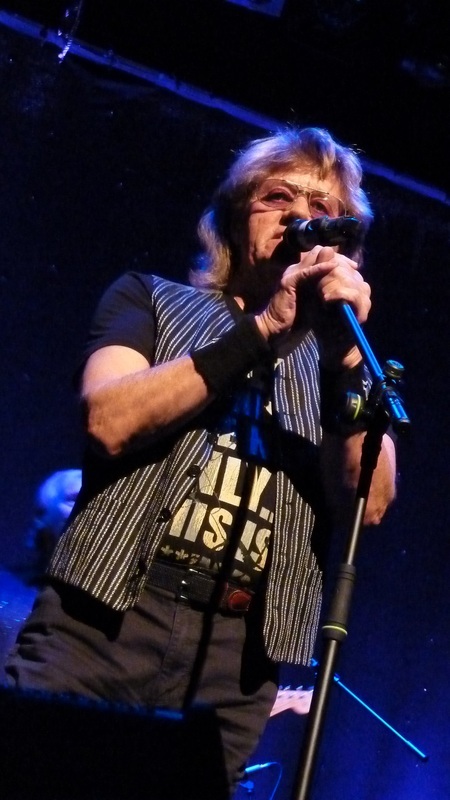 Bev also came down to the front a number of times to tell a few stories of his time travelling with The Move, with ELO and his time with Black Sabbath. 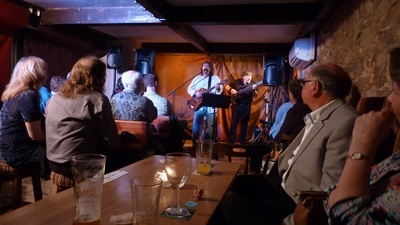 A wonderful evenings entertainment. 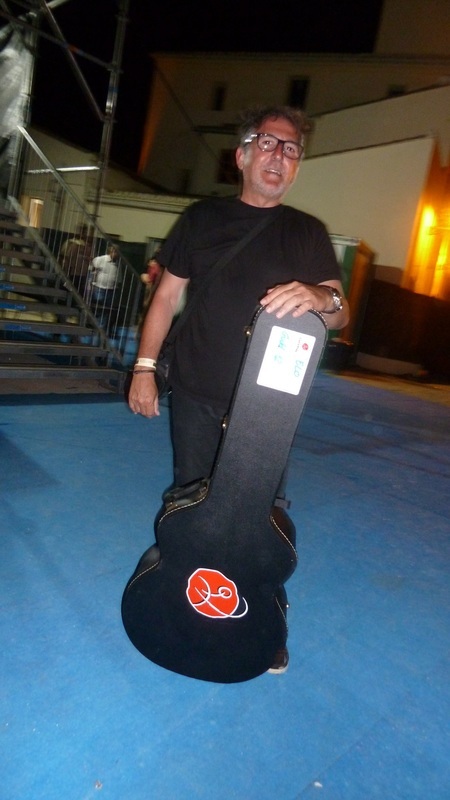 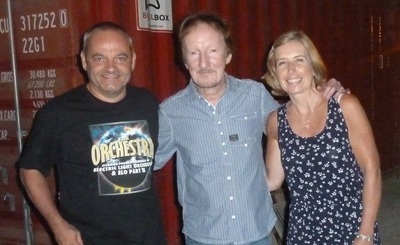 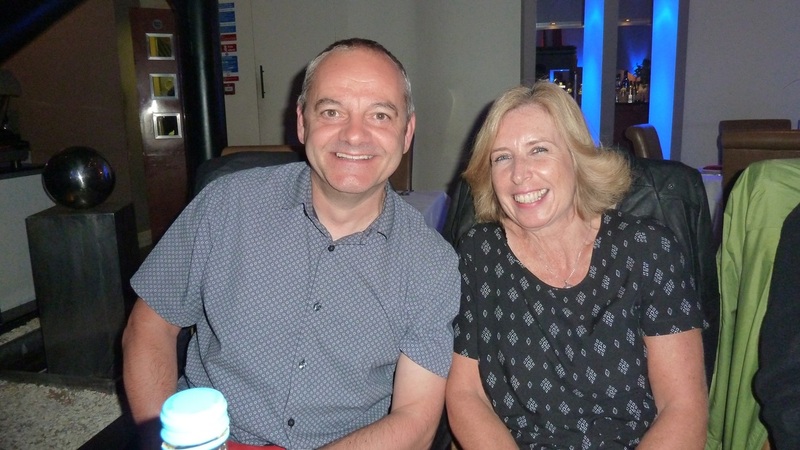 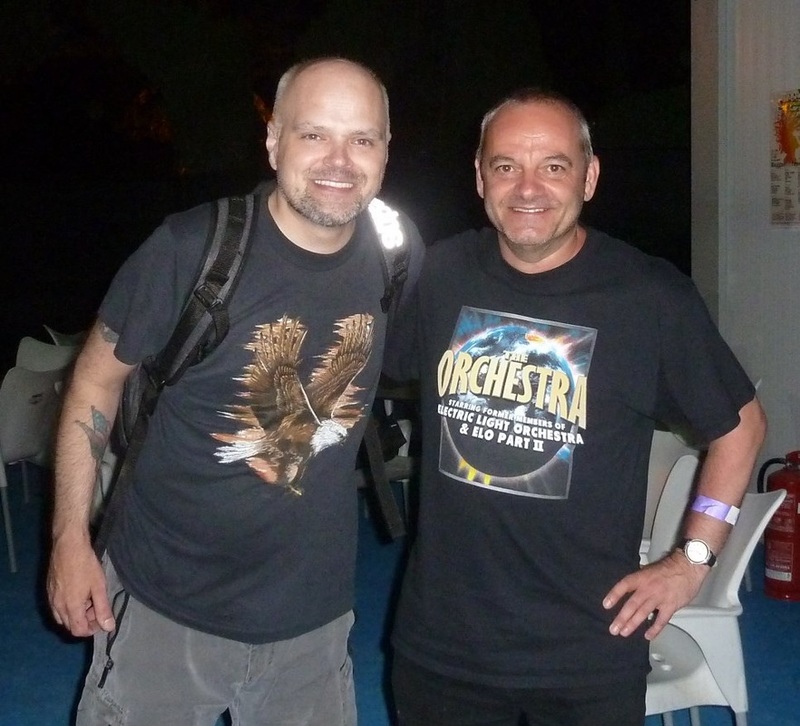 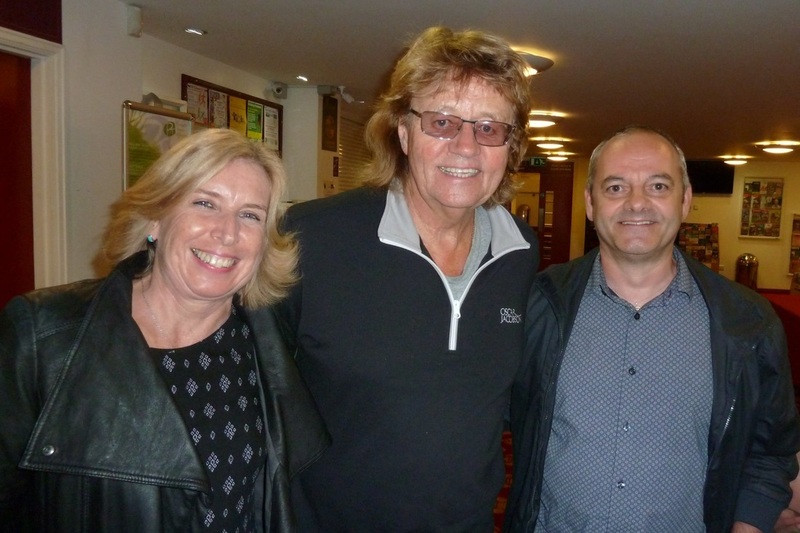 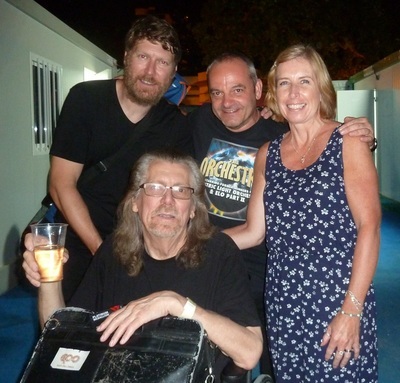 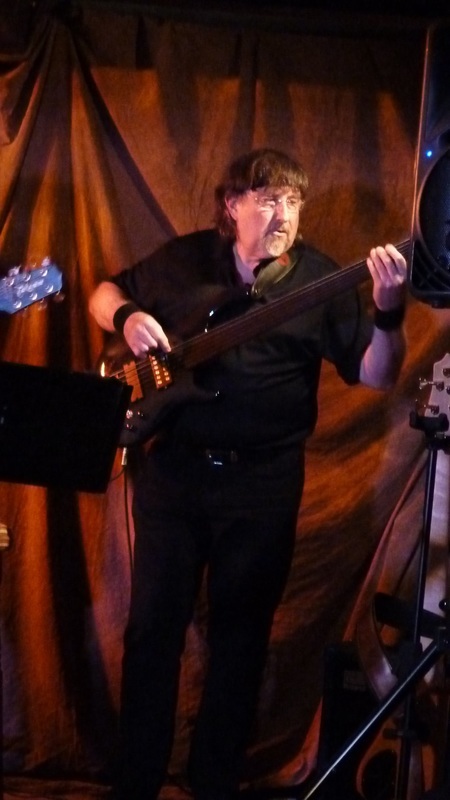 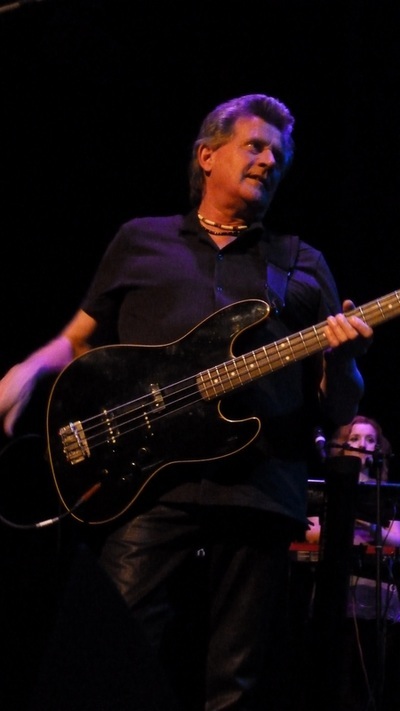 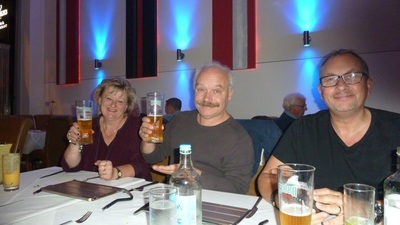 It was also nice to chat to Phil Tree and Bev Bevan after the show too. 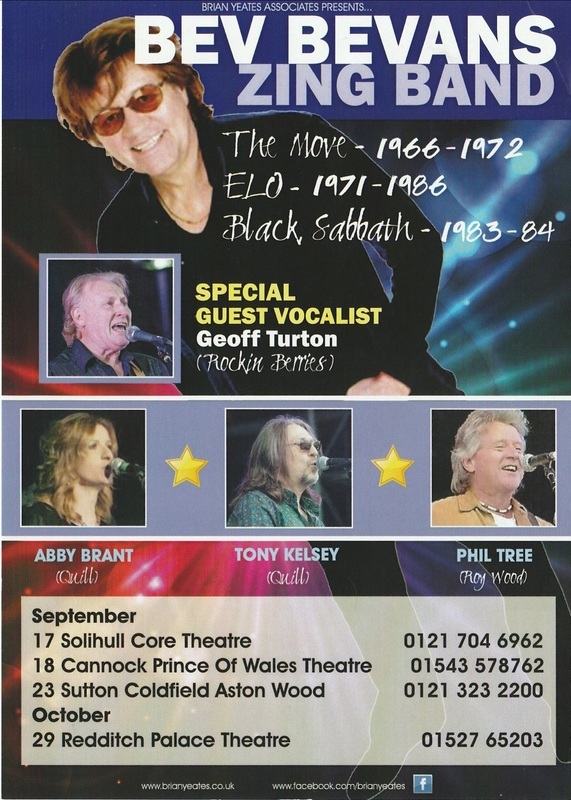 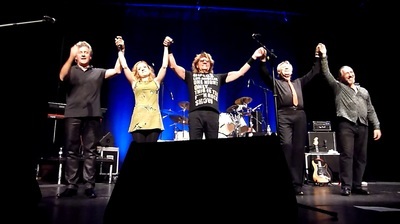 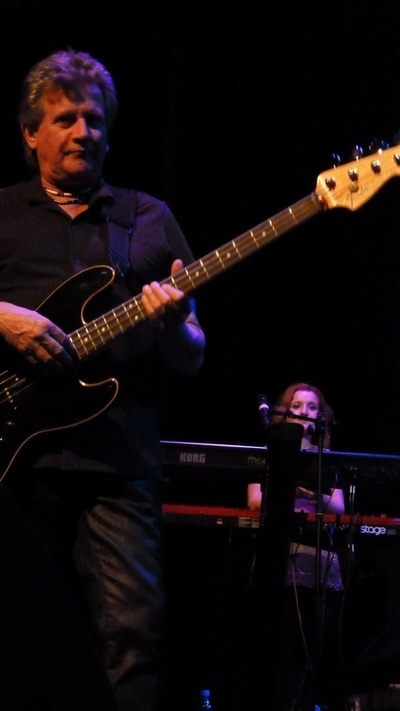 Bev Bevan, Phil Tree, Tony Kelsey, Abby Brant & Geoff Turton. 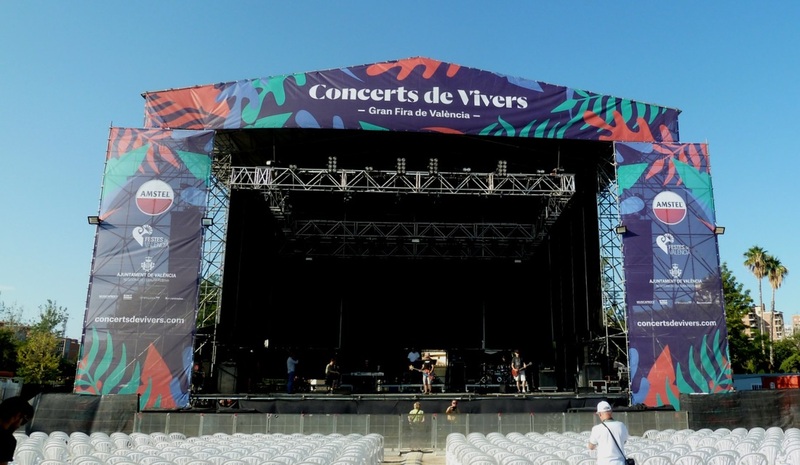 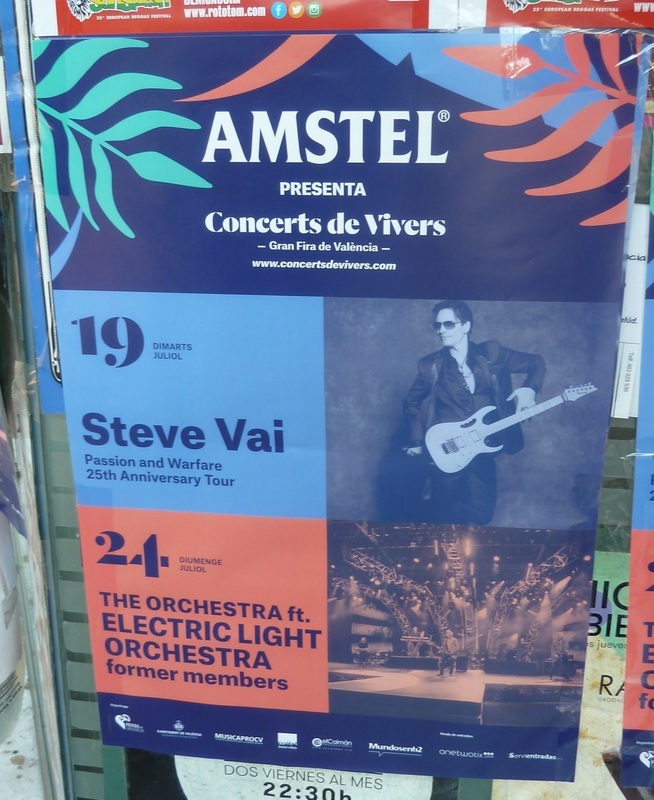 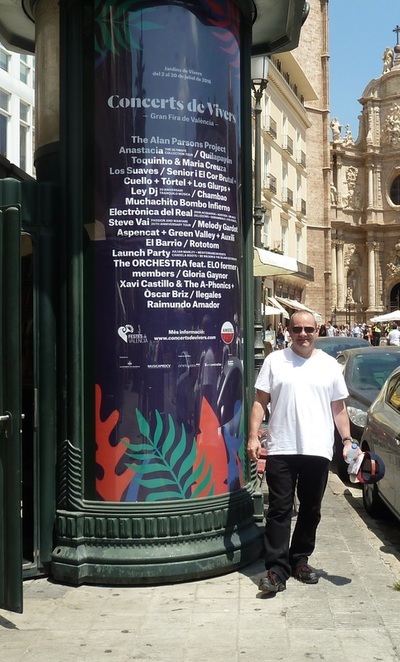 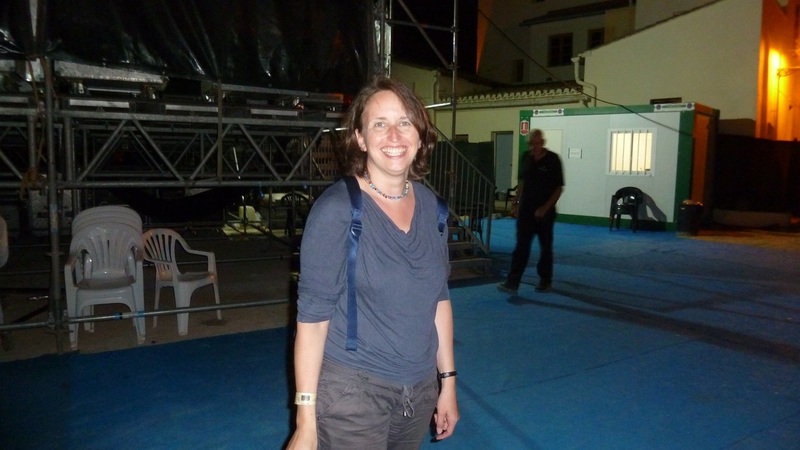 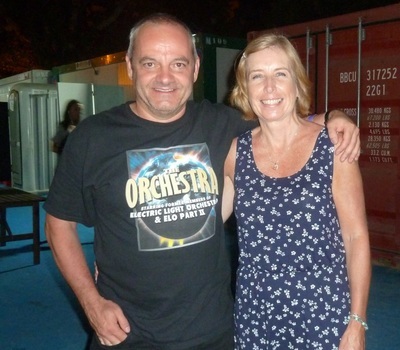 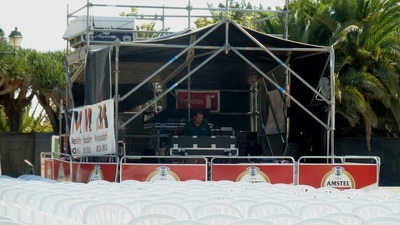 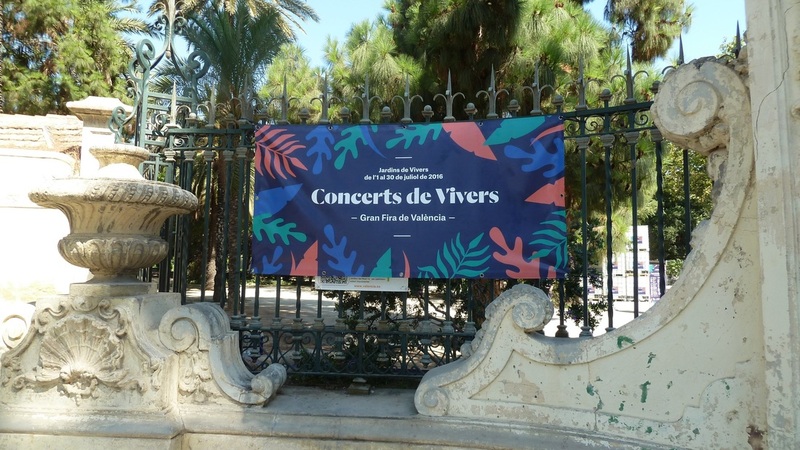 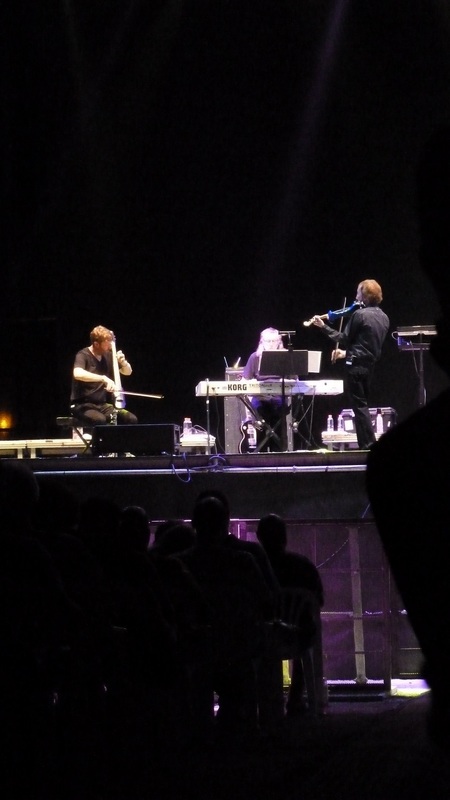 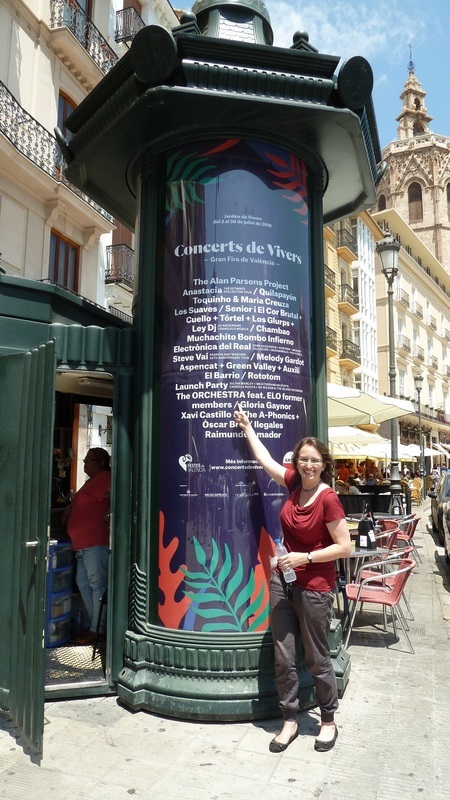 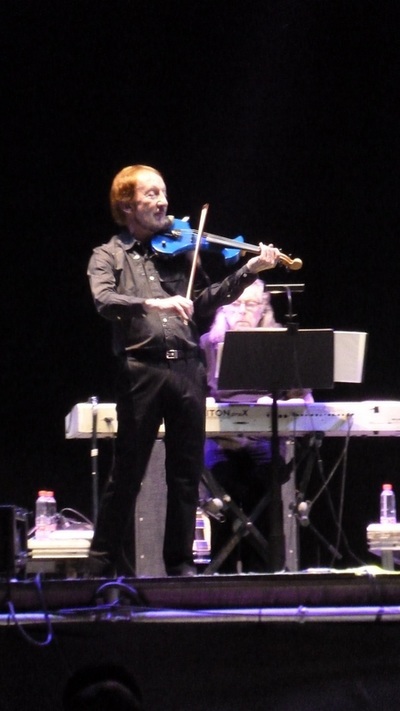 What a fantastic concert by The Orchestra at the Jardines De Real in Valencia, Spain on Sunday 24th July. We had such a wonderful time sightseeing this lovely city and meeting up with our friends Thomas, Conny and Ilka who had travelled from Germany for this gig. 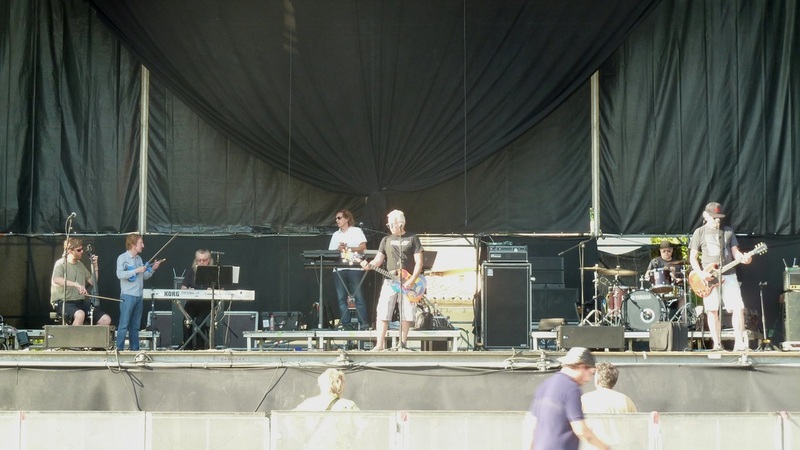 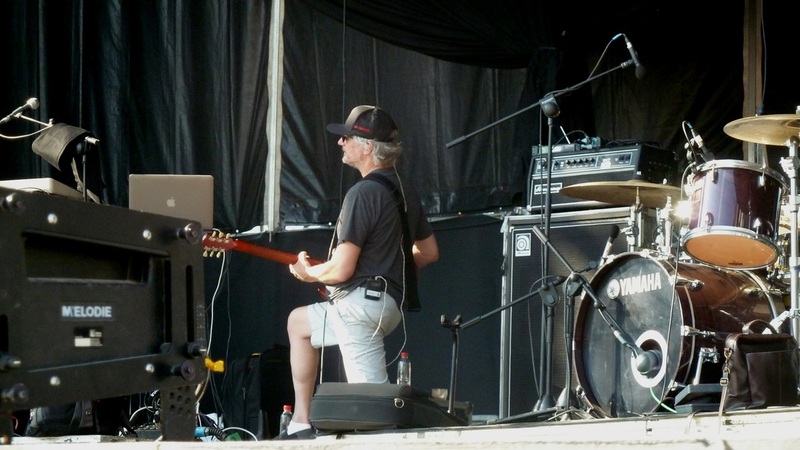 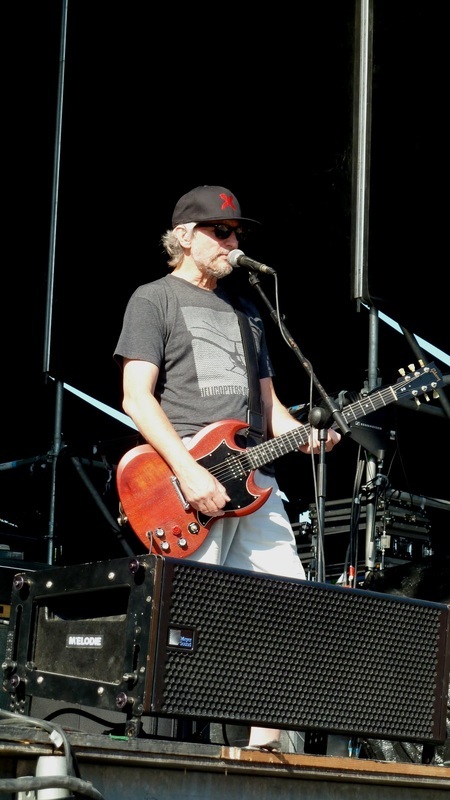 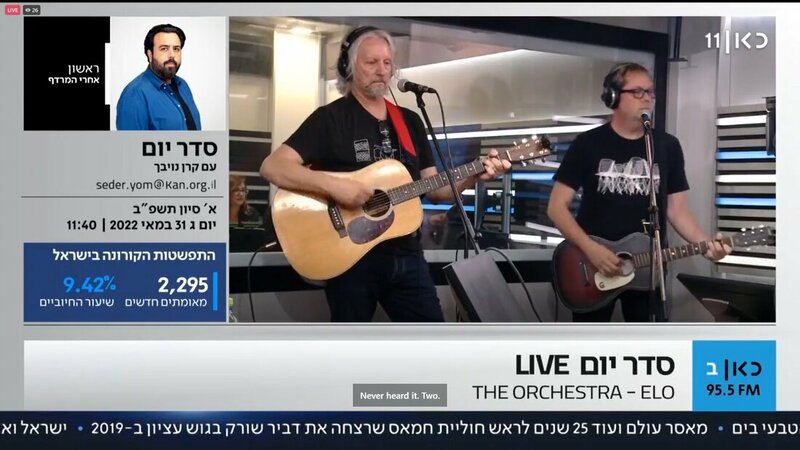 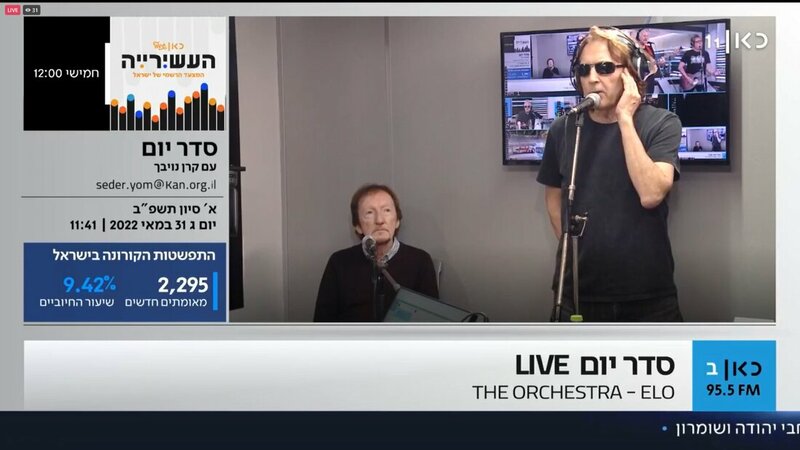 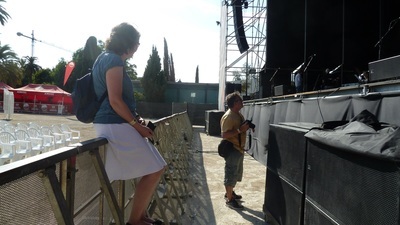 Thanks to the band for a allowing us to go backstage and view the afternoon soundcheck in blistering temperatures of over 36 degrees, and to chat with them after the gig. 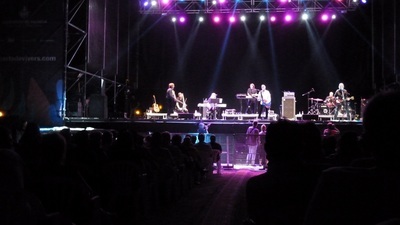 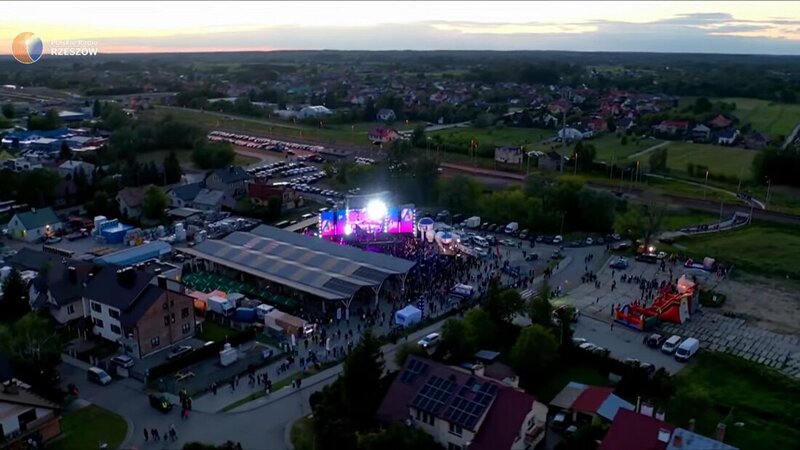 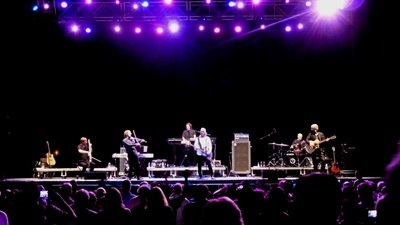 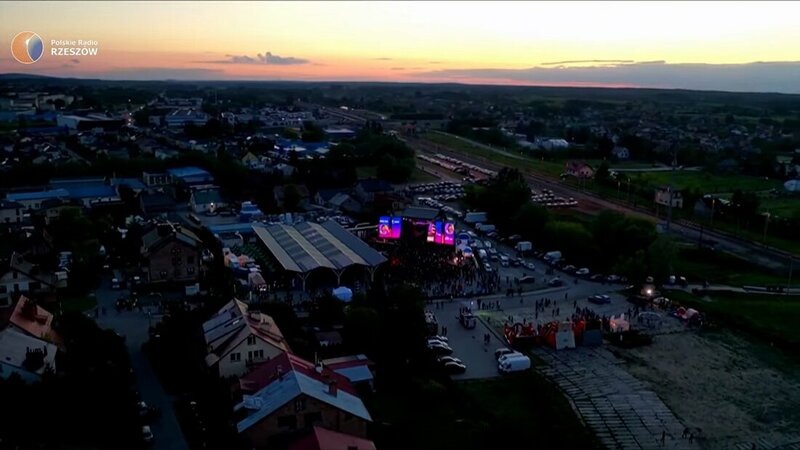 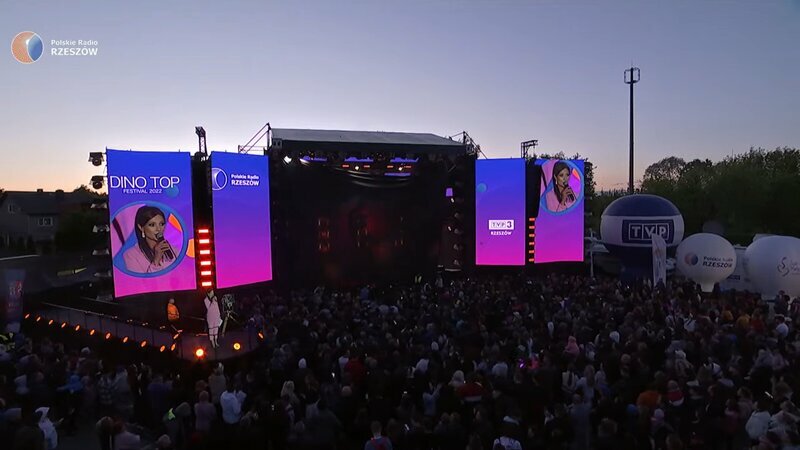 The gig started at about 10:15pm on a lovely warm, clear summer evening in front of around 1,000 fans who danced and sang along throughout the gig. 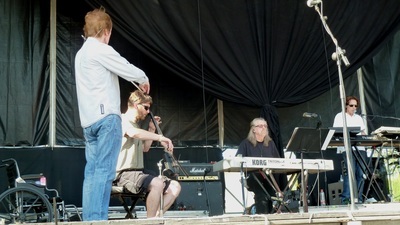 Mik Kaminski, Louis Clark, Louis Clark Jnr, Eric Troyer, Glen Burtnik, Gordon Townsend and Parthenon Huxley. 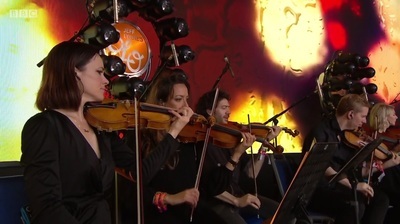 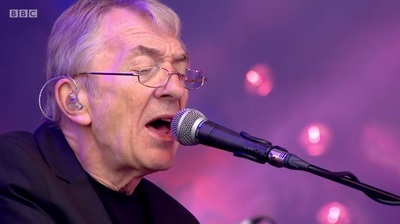 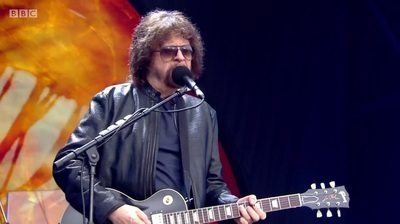 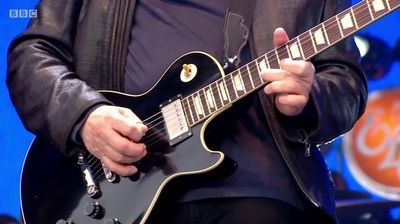 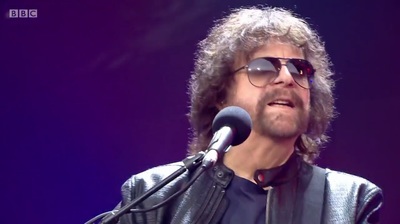 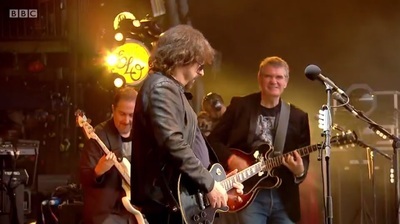 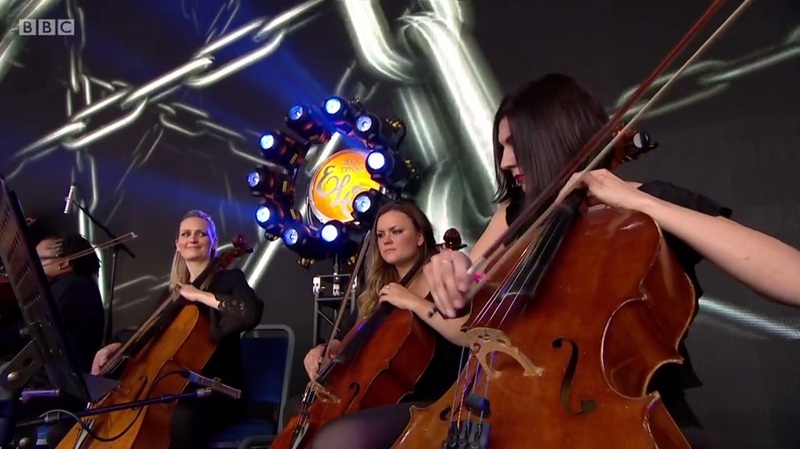 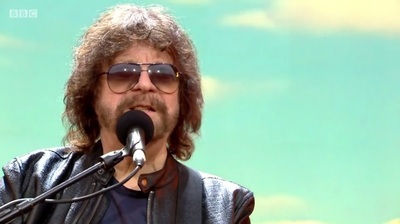 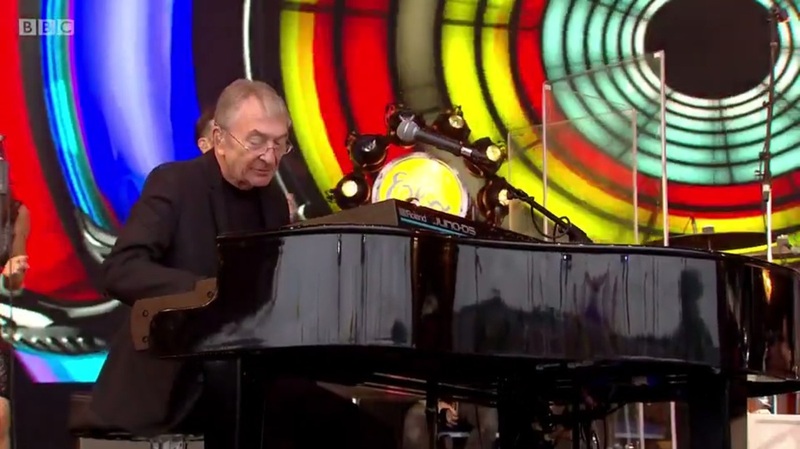 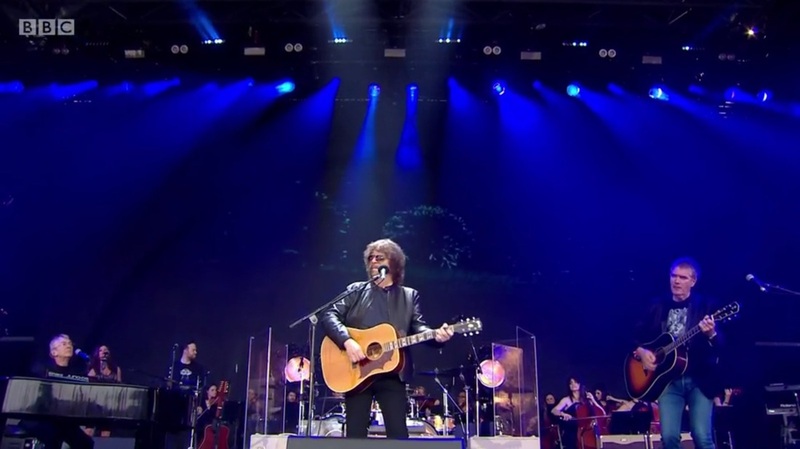 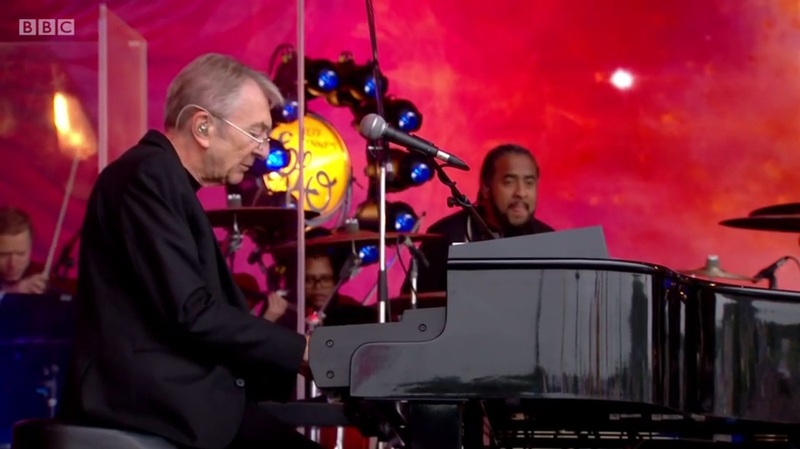 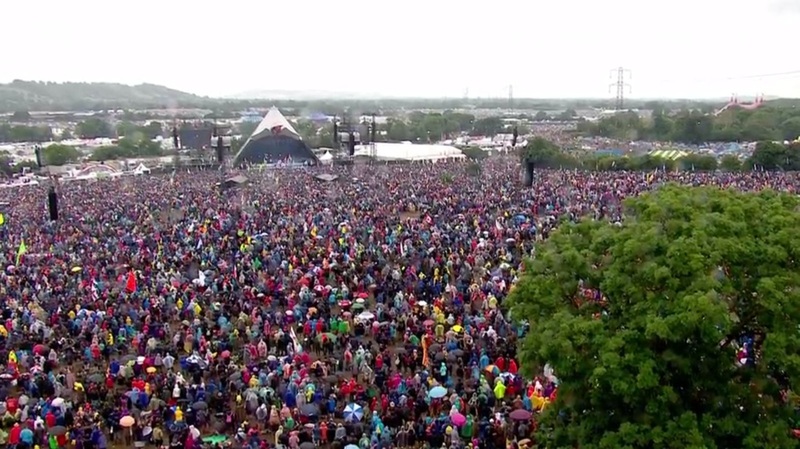 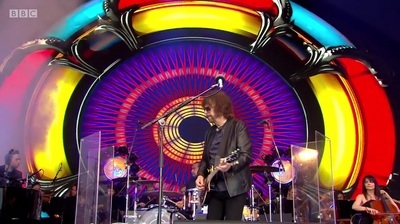 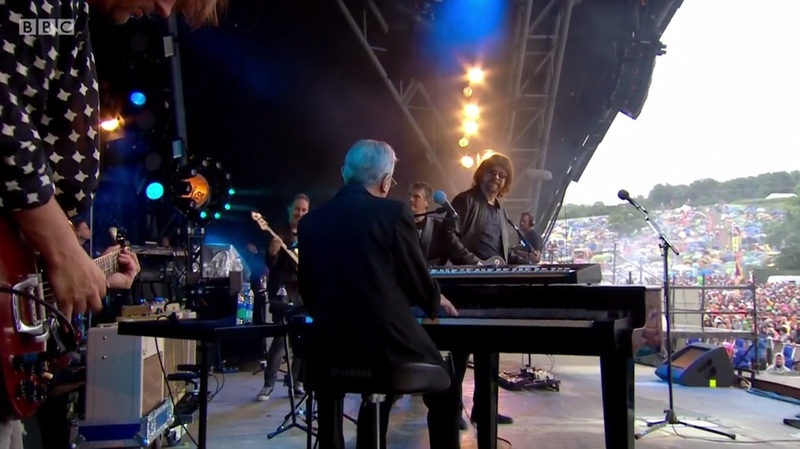 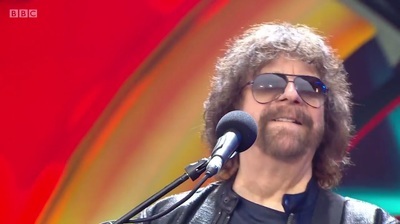 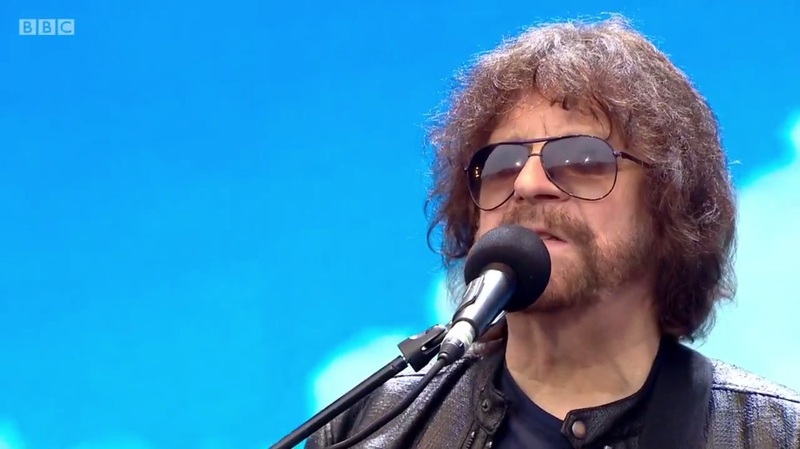 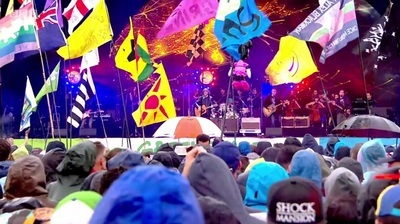 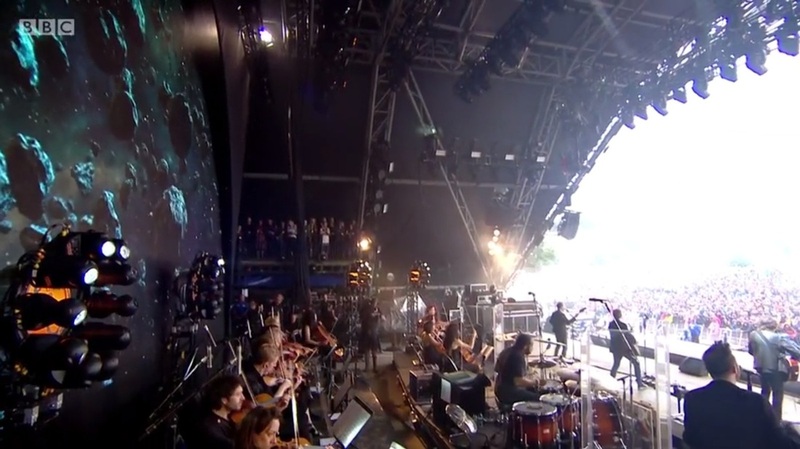 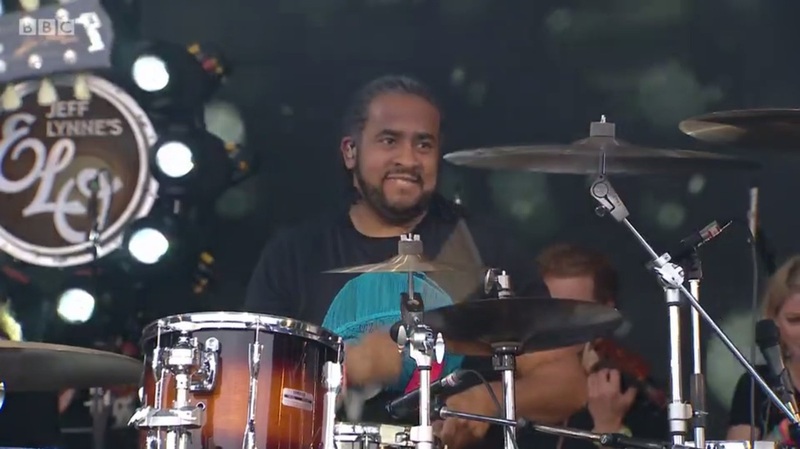 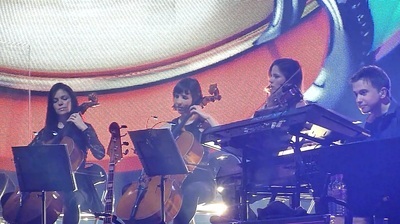 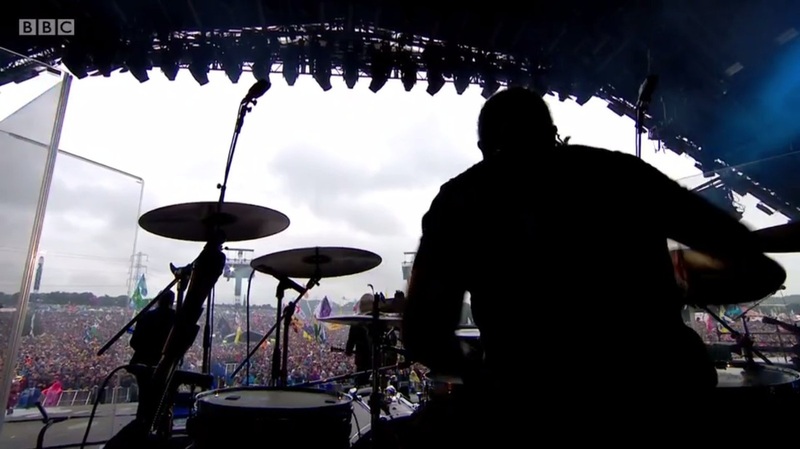 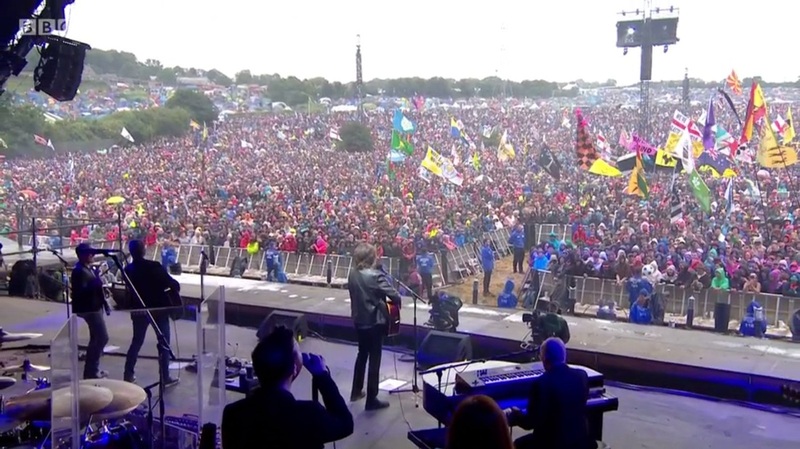 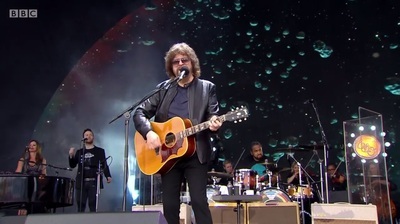 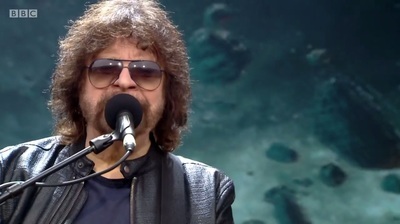 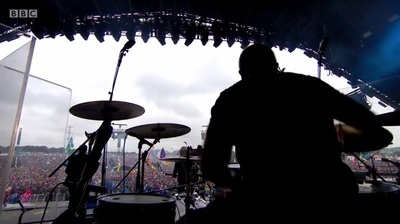 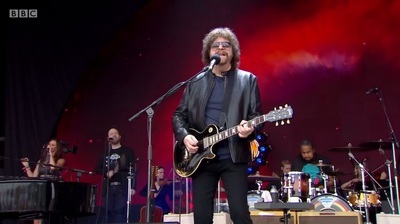 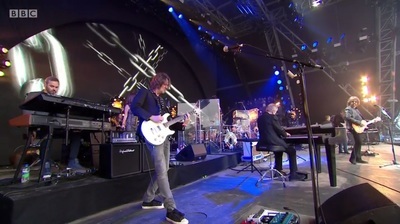 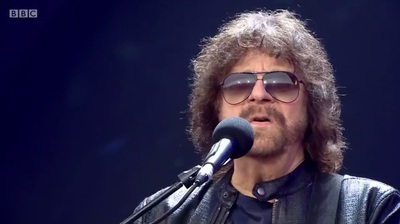 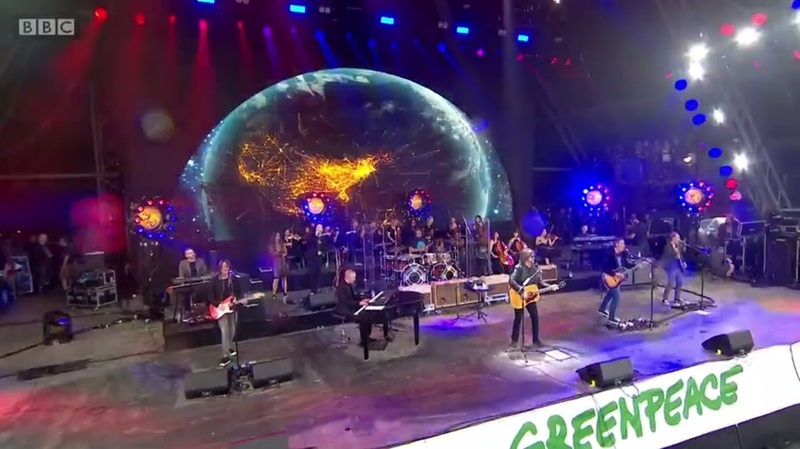 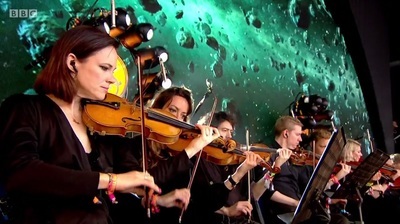 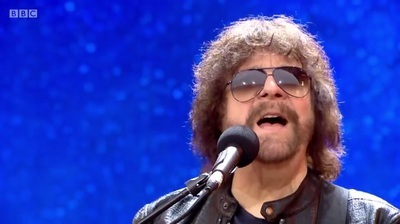 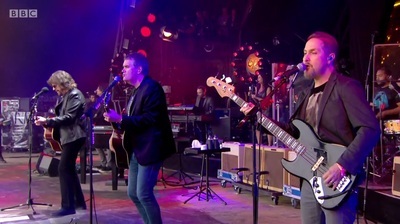 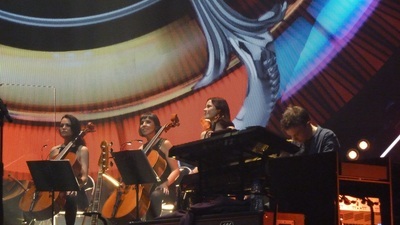 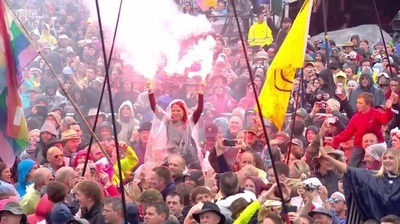 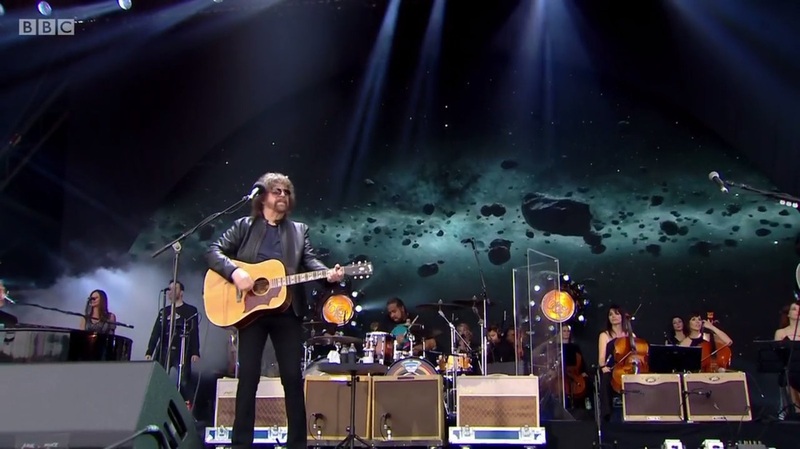 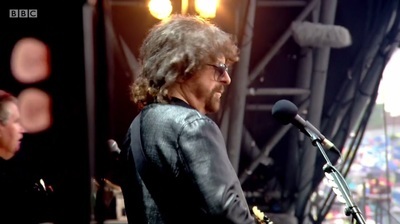 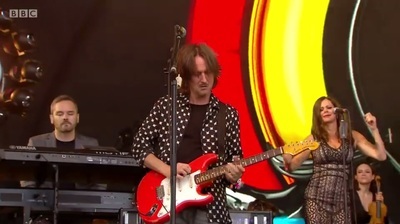 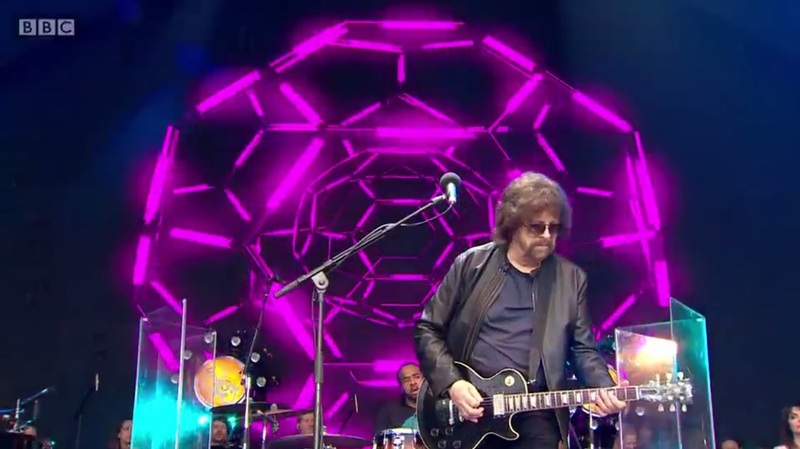 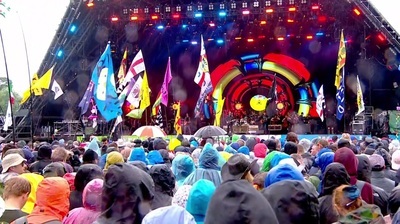 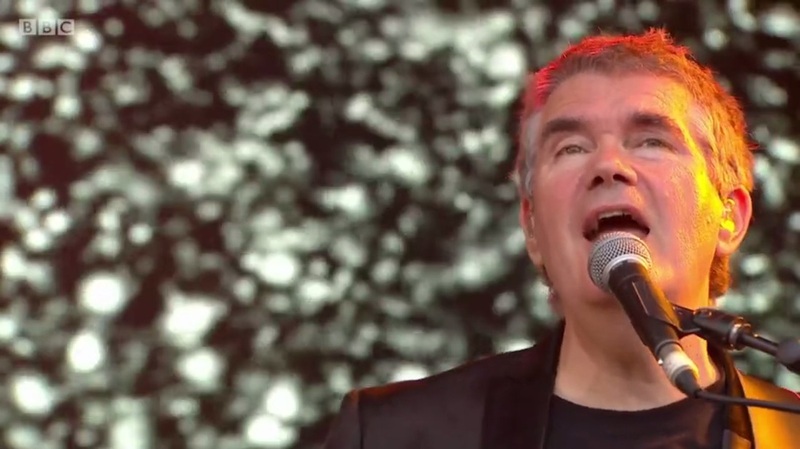 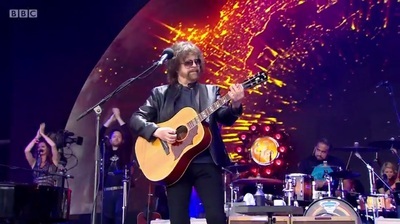 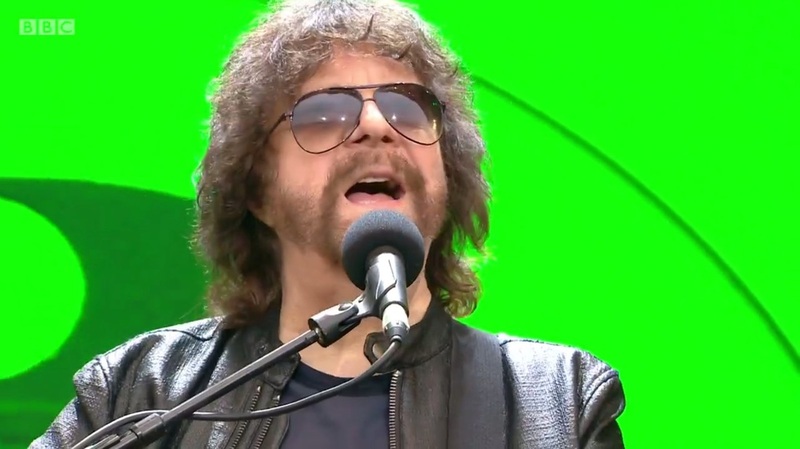 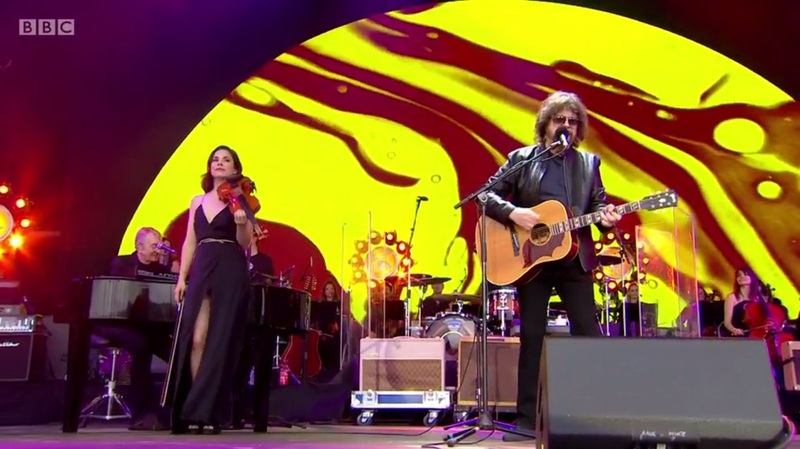 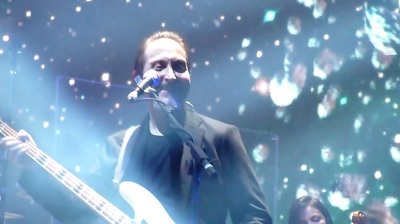 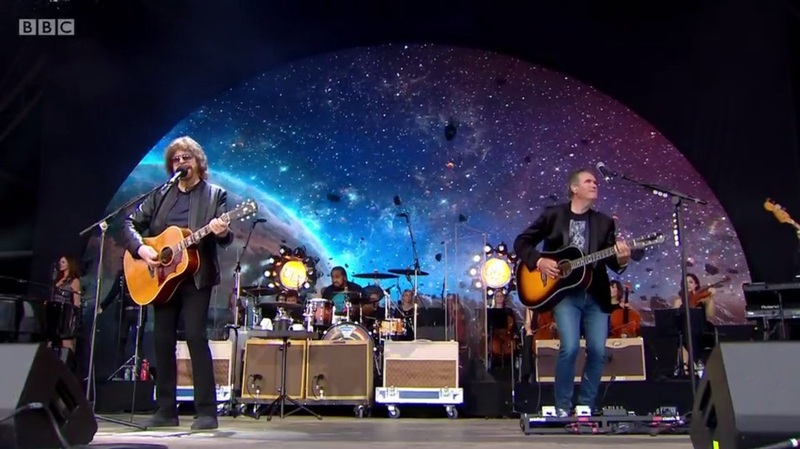 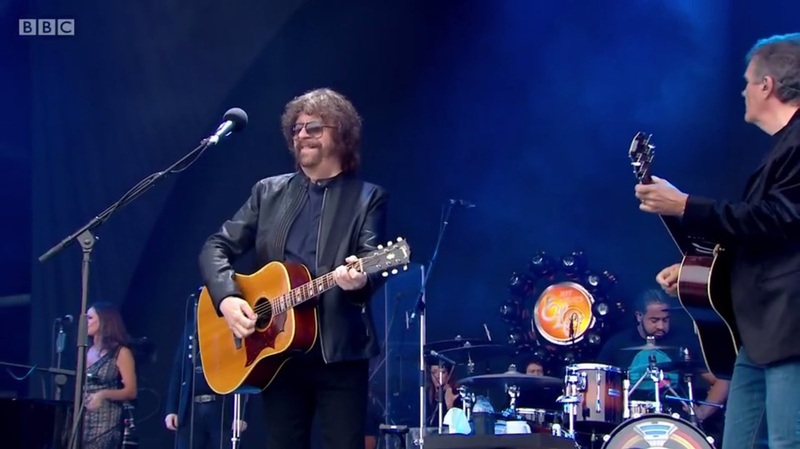 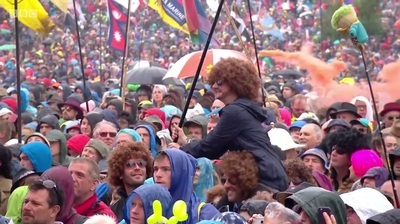 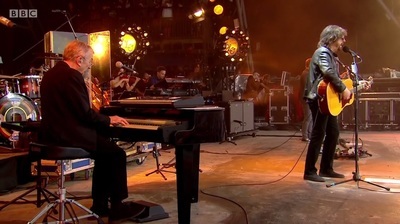 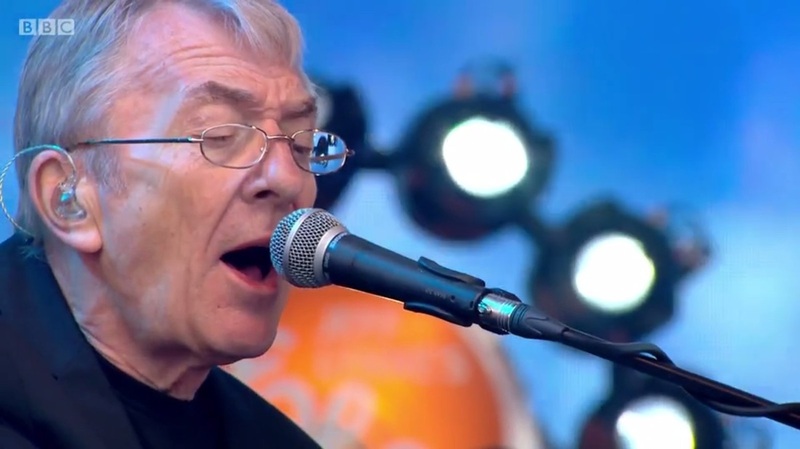 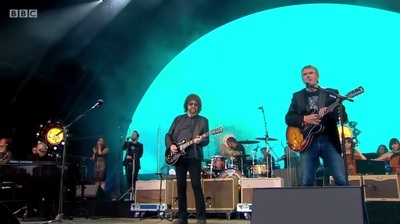 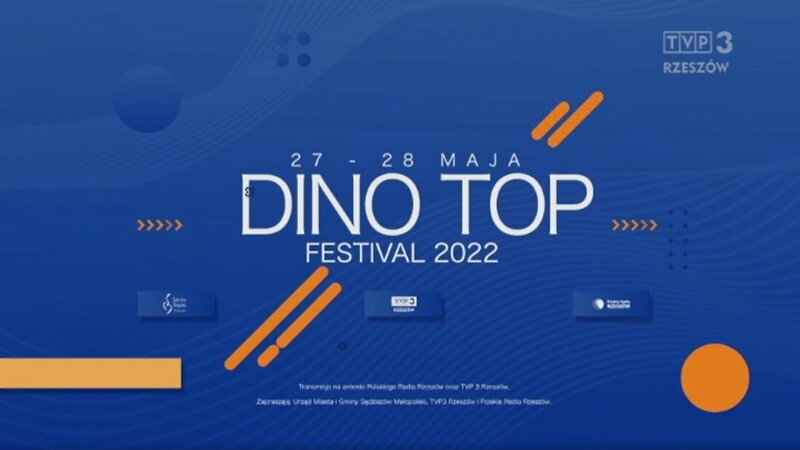 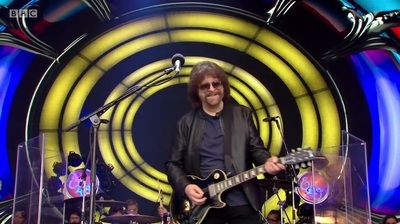 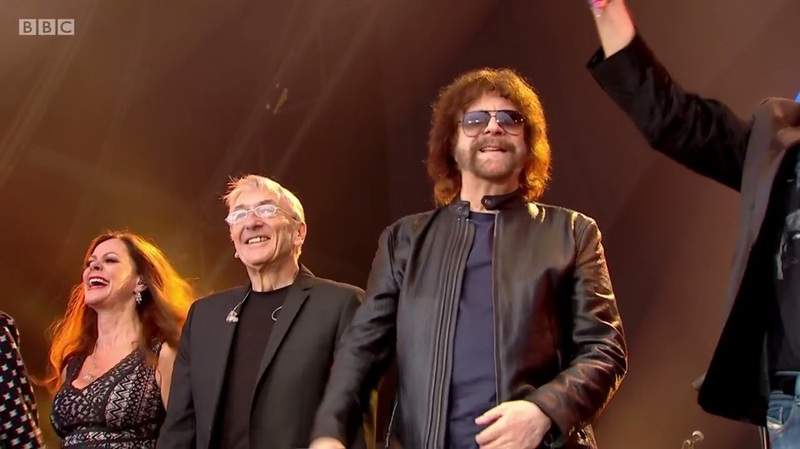 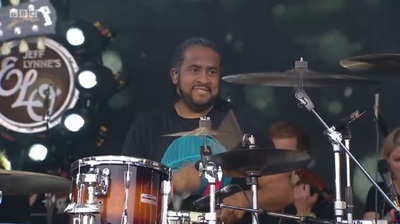 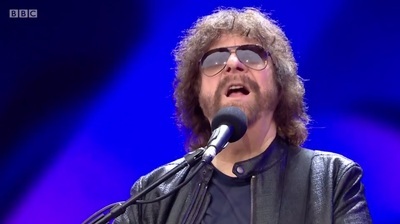 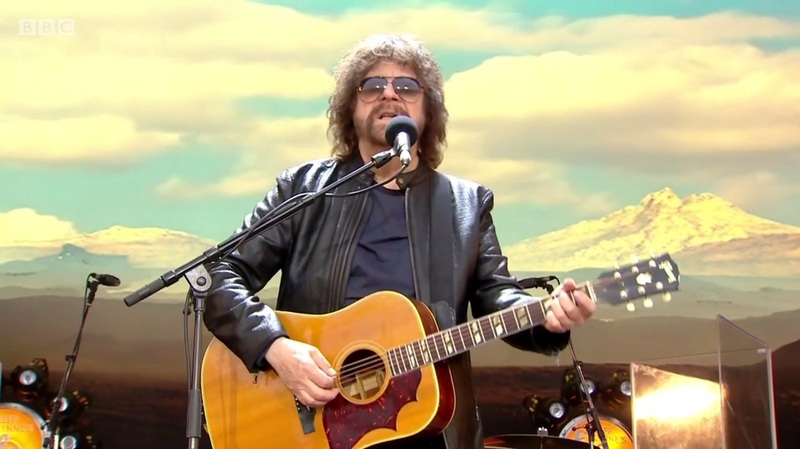 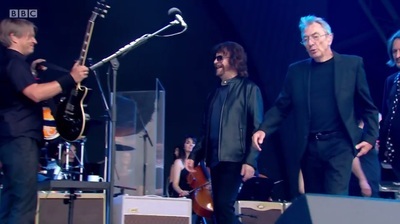 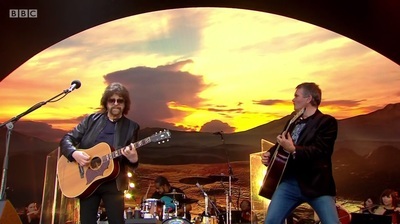 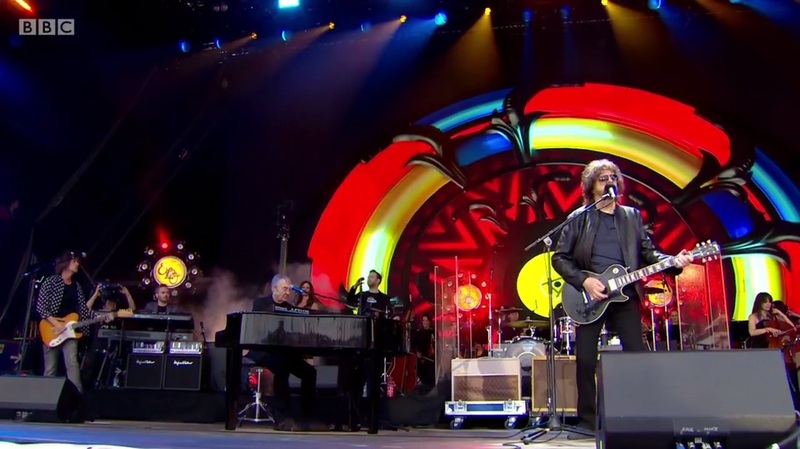 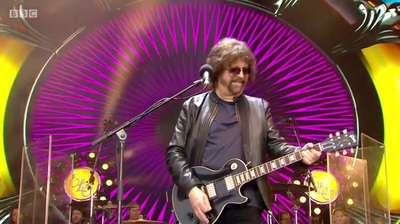 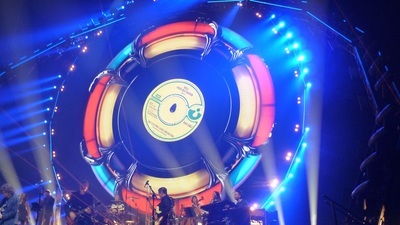 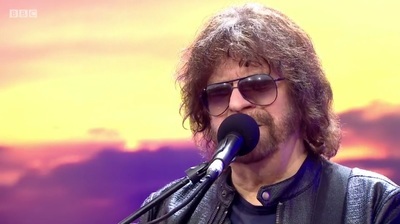 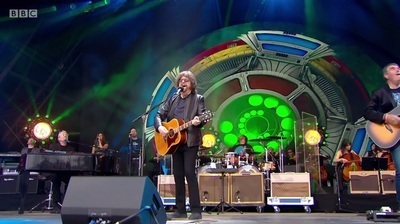 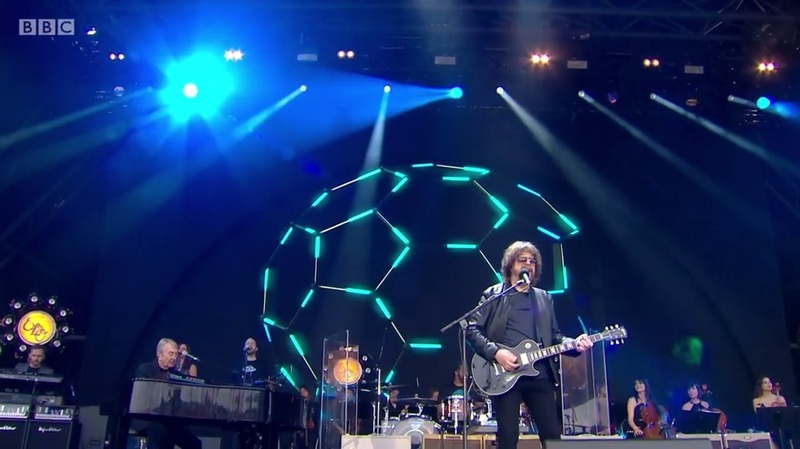 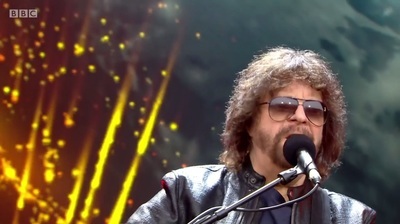 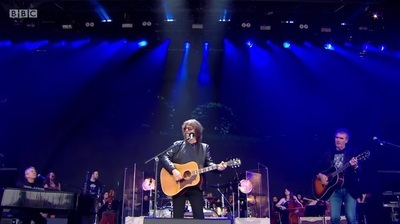 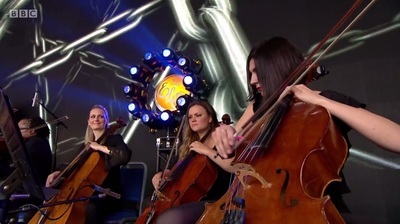 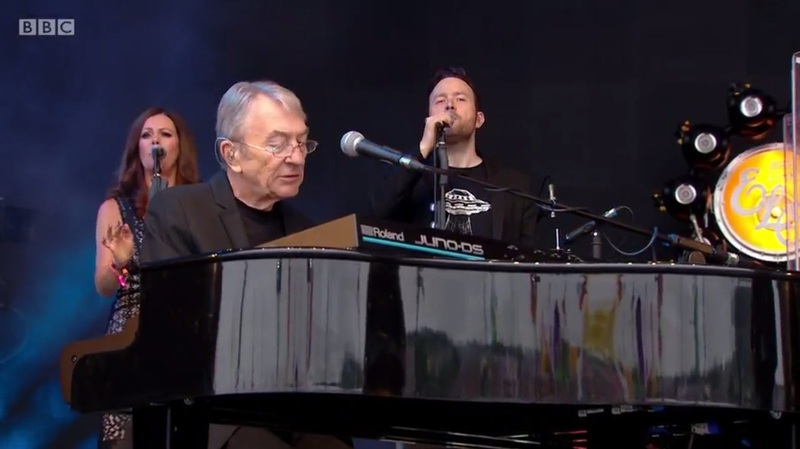 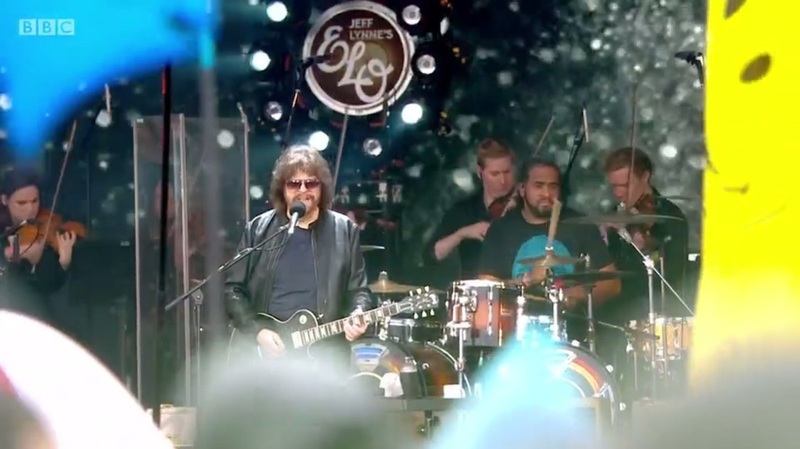 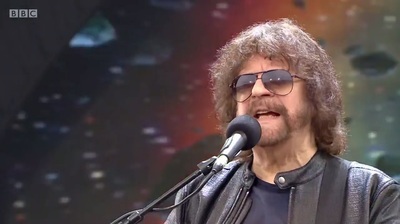 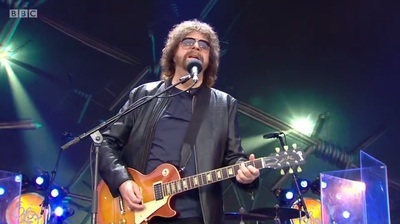 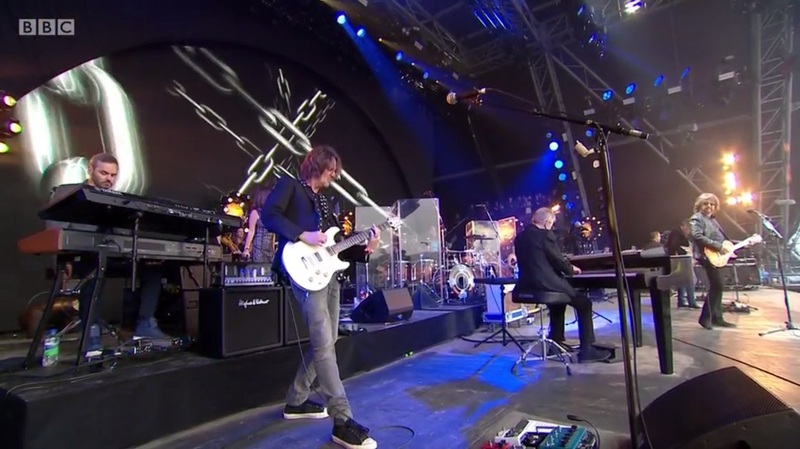 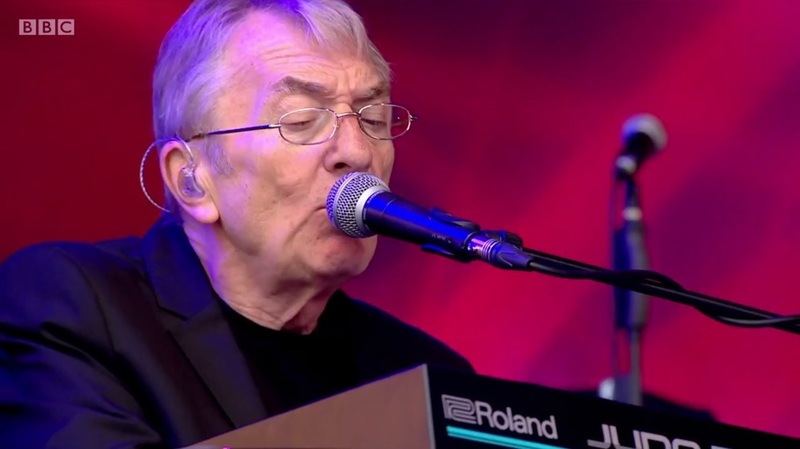 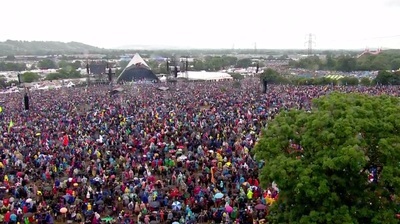 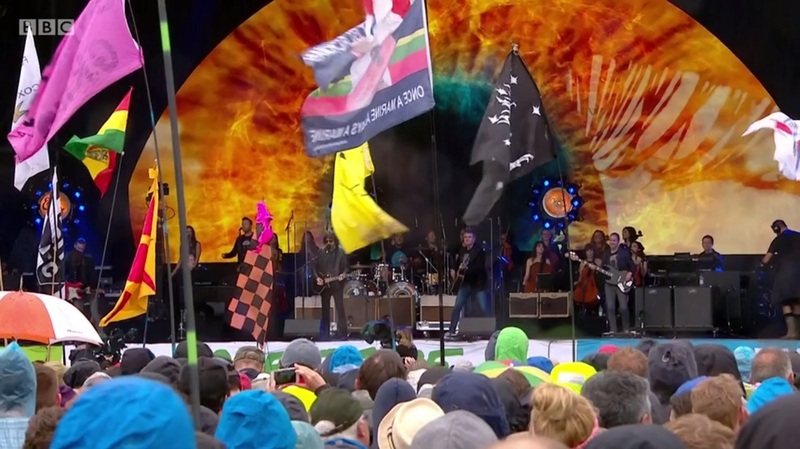 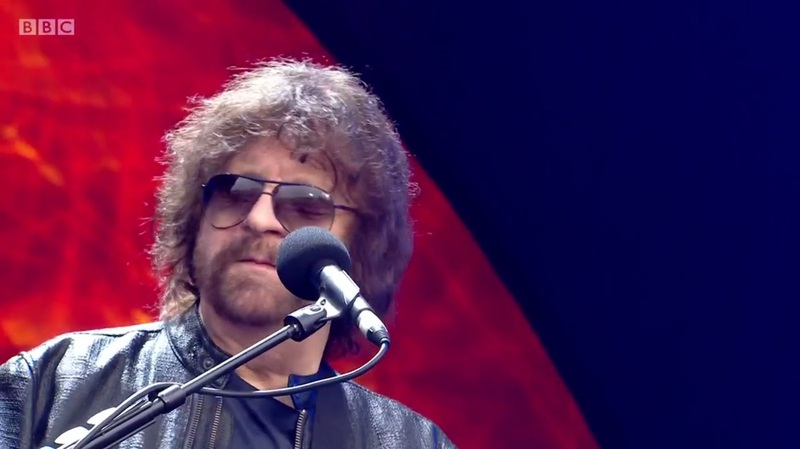 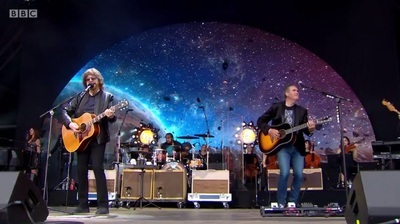 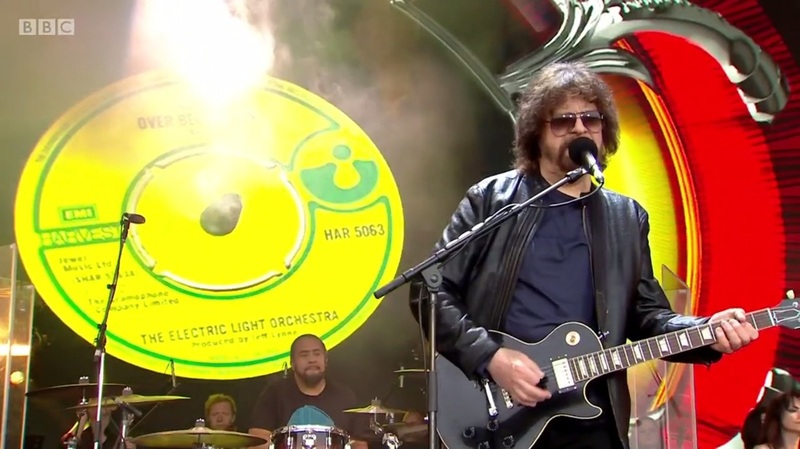 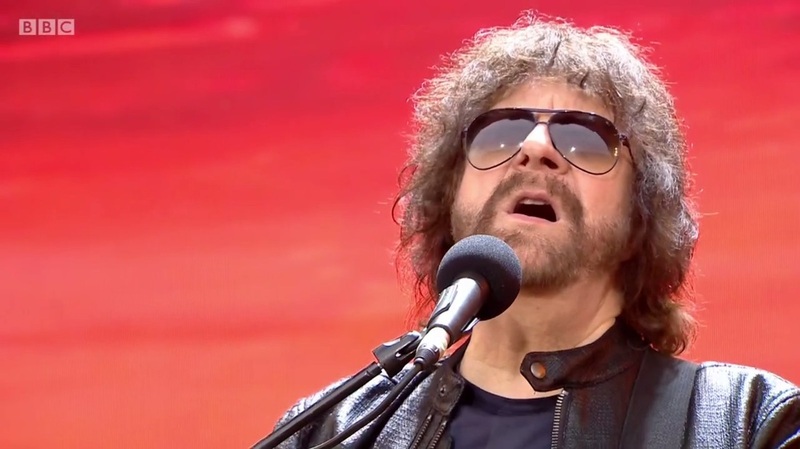 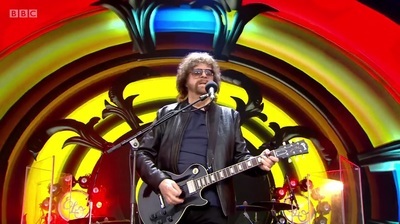 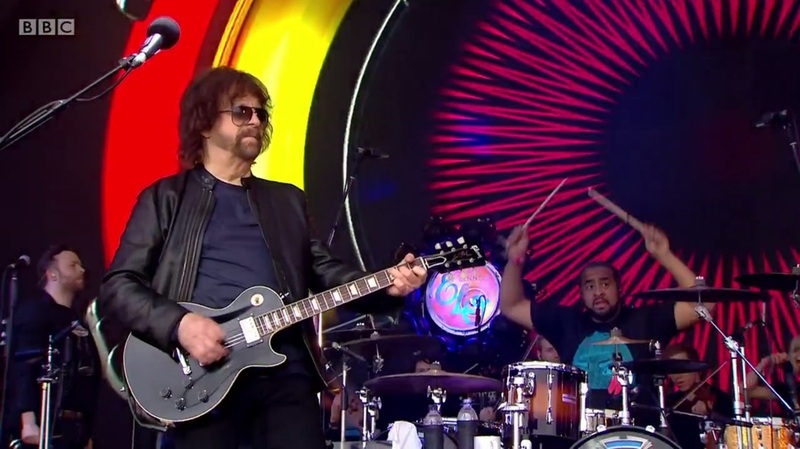 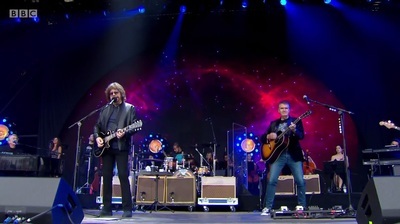 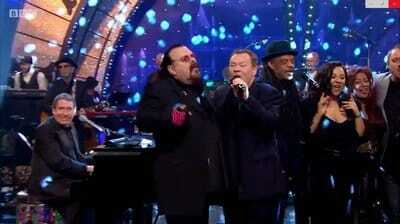 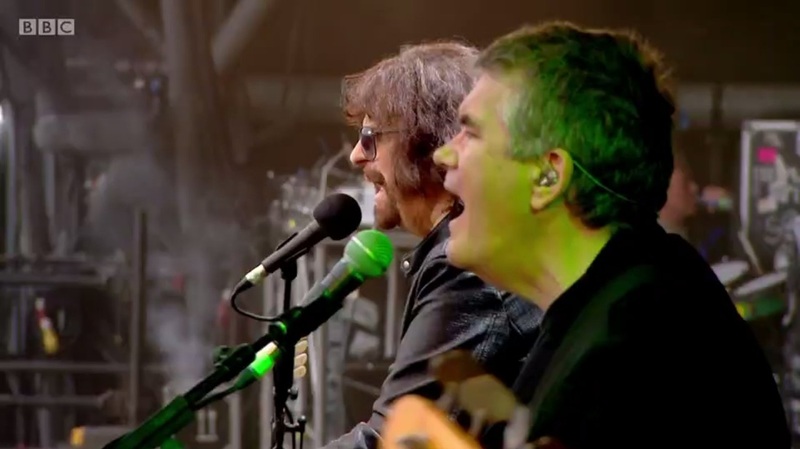 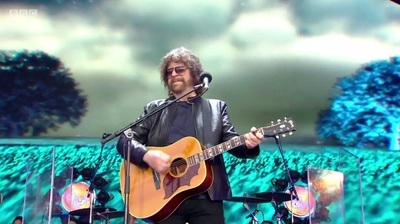 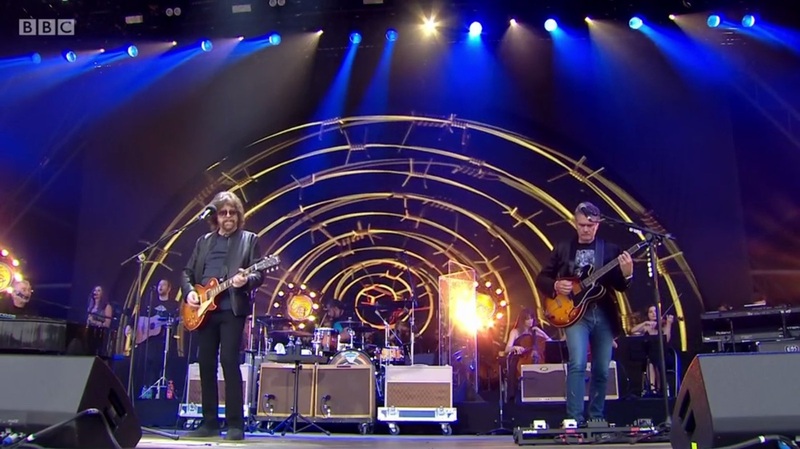 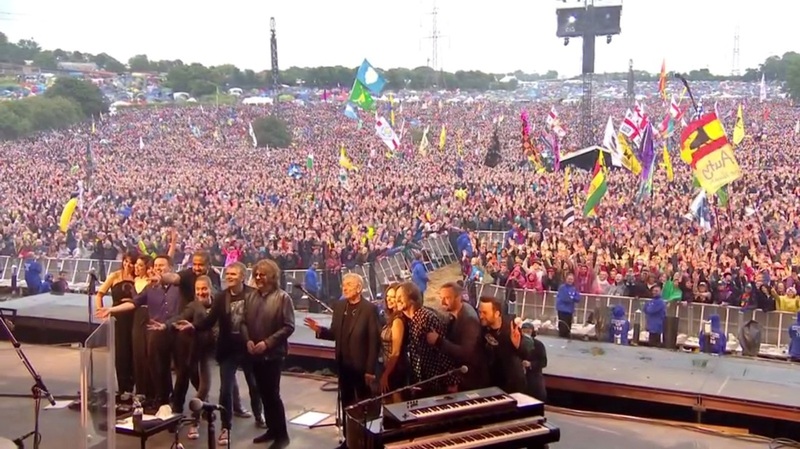 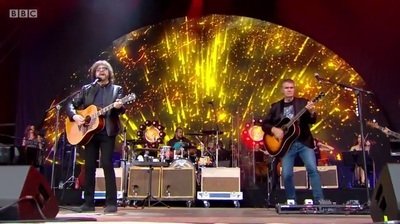 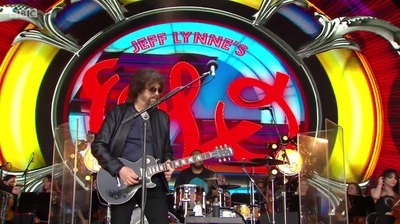 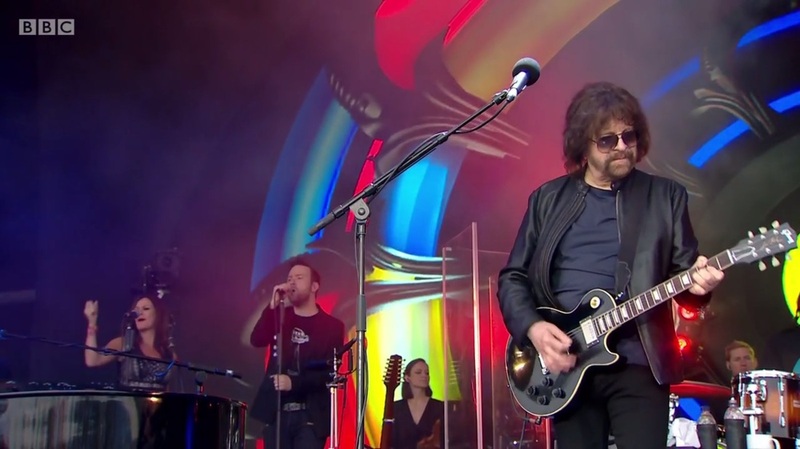 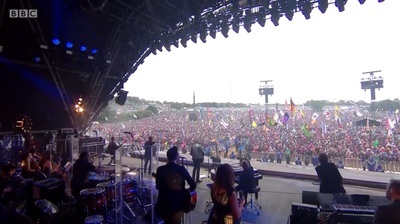 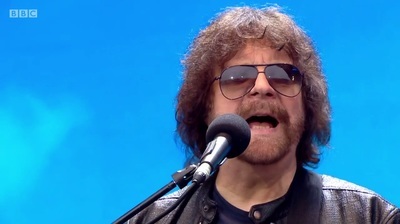 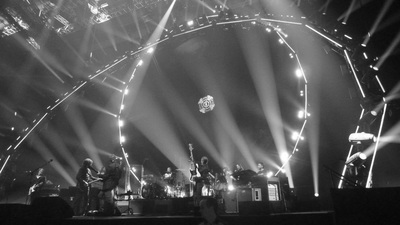 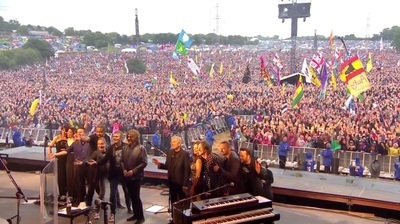 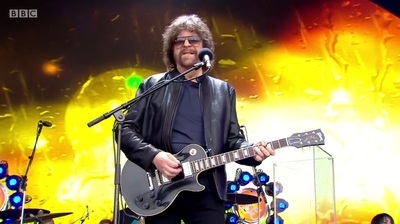 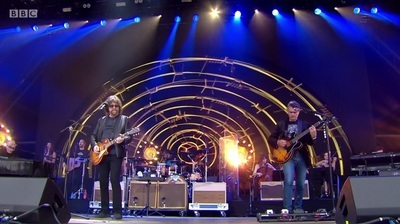 ​All screen shots taken from the live BBC television coverage of this fantastic live performance. 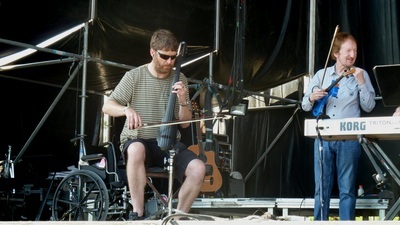 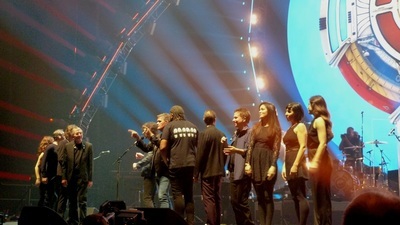 ​All photos (c) David Thompson. 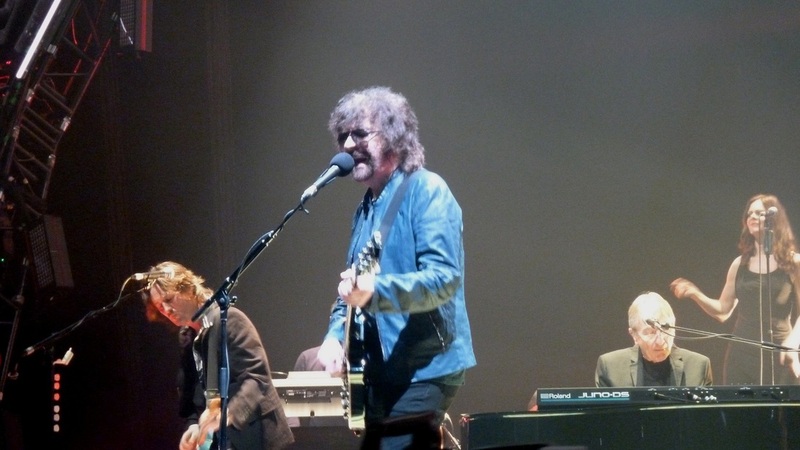 Another fantastic concert by Jeff and the band tonight in Newcastle. 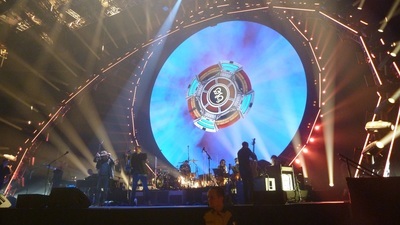 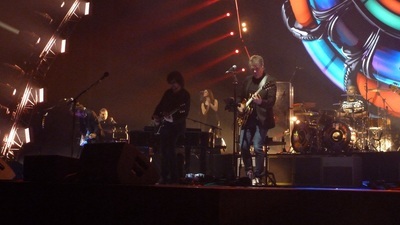 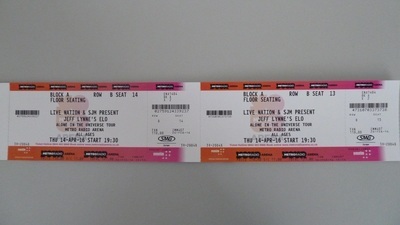 We were seated on the second row close to the stage similar place to last weeks gig in Liverpool. 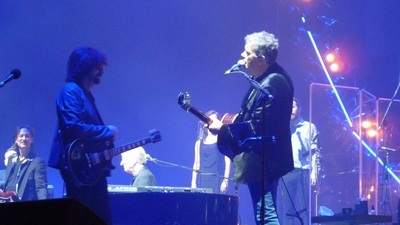 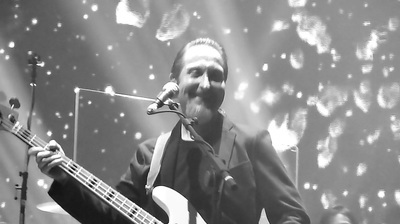 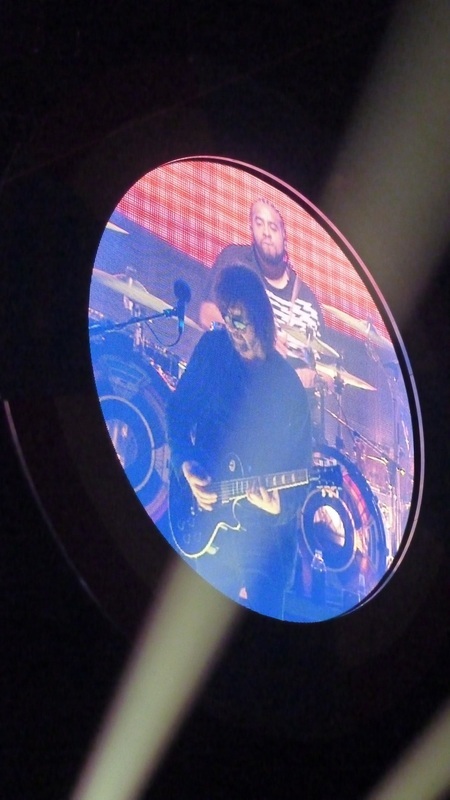 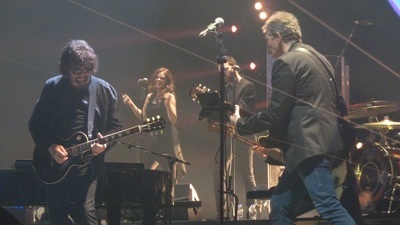 I noticed that there was much more interaction between the band members on stage tonight, and Jeff was in fine voice too. 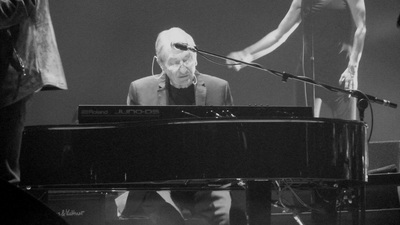 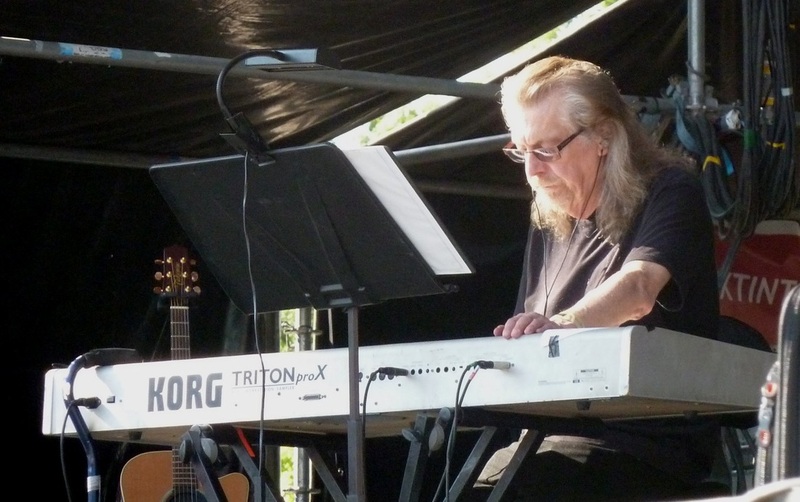 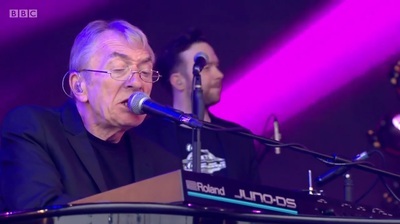 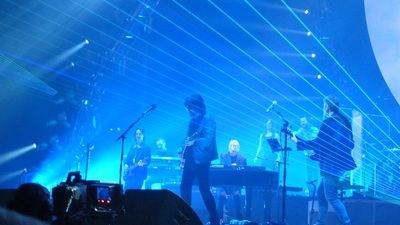 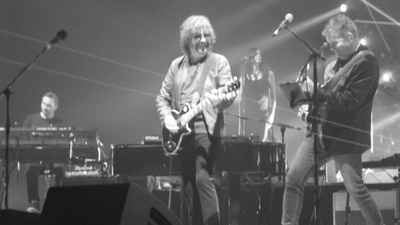 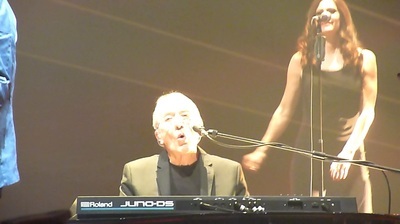 Richard Tandy on keyboards. 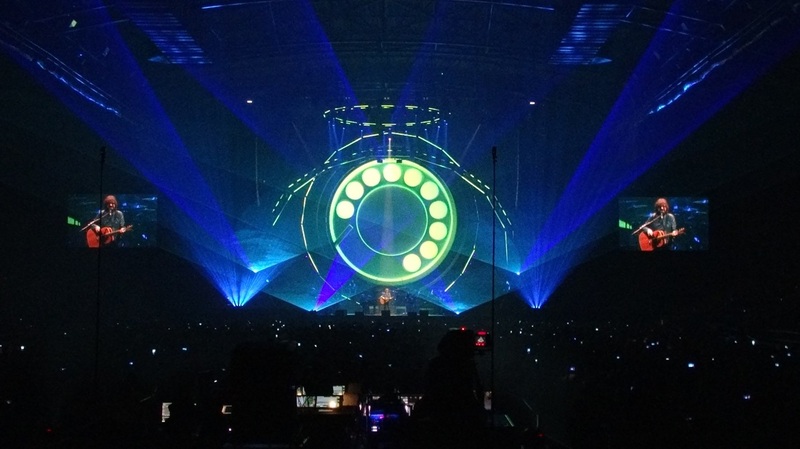 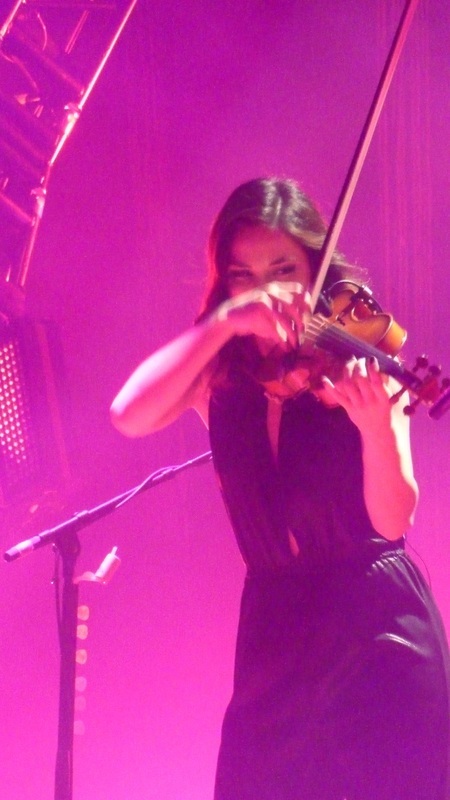 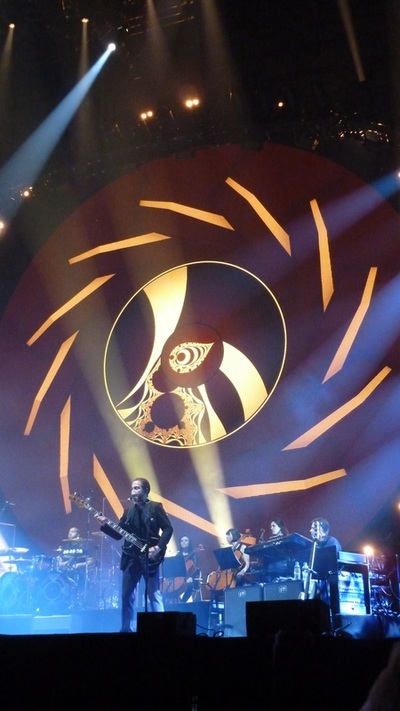 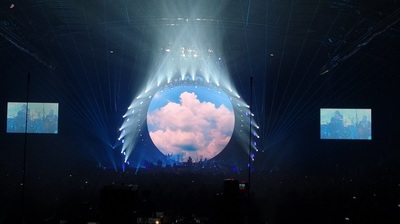 The set list was almost the same as last week with just one change, the addition of 10538 Overture. 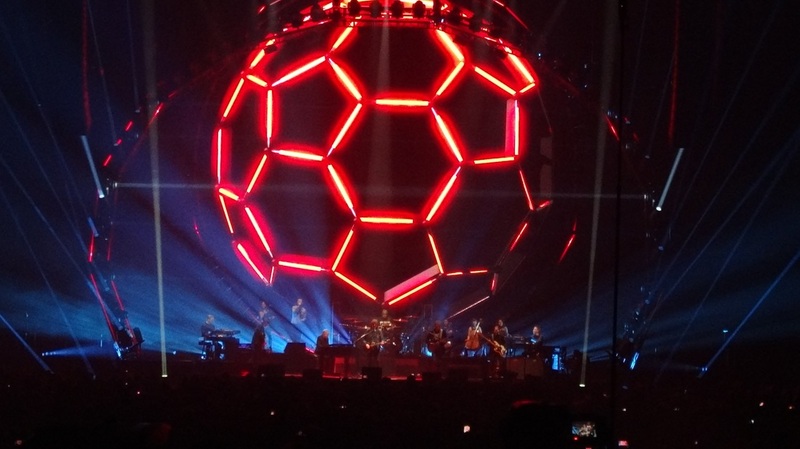 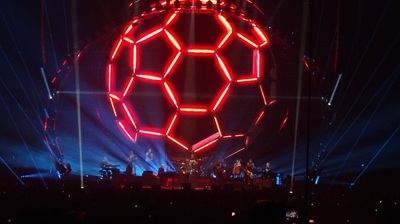 Another sell-out gig with over 10,000 there singing, clapping and dancing all through the 90 minute set. It was great to meet up with David, Tom and Graeme for pre-show drinks in Newcastle city centre. 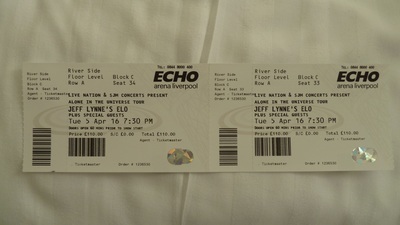 What a great few days spent in Liverpool, wandering around the city, docks and even a trip on the Mersey Ferry. 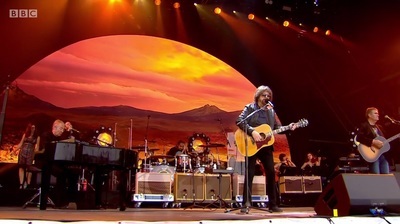 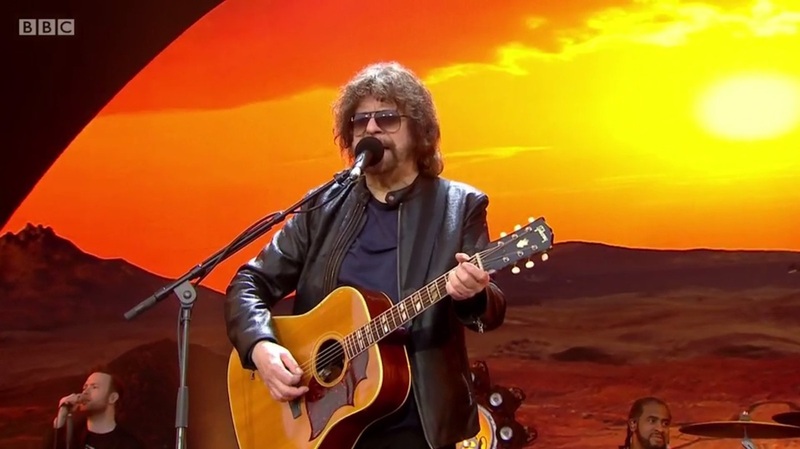 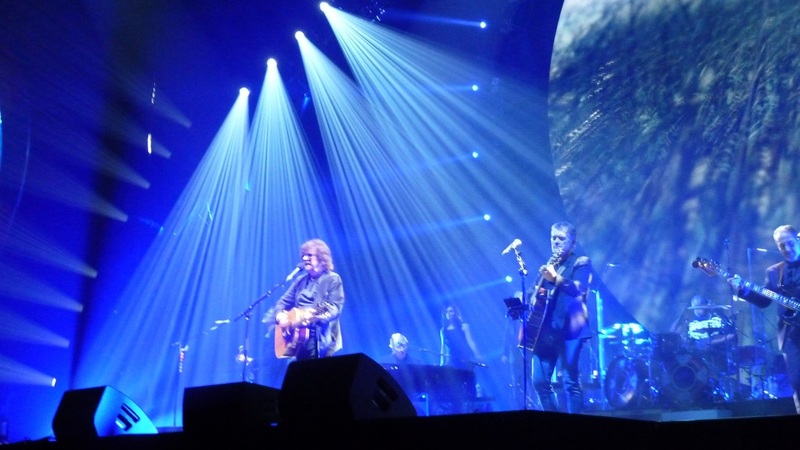 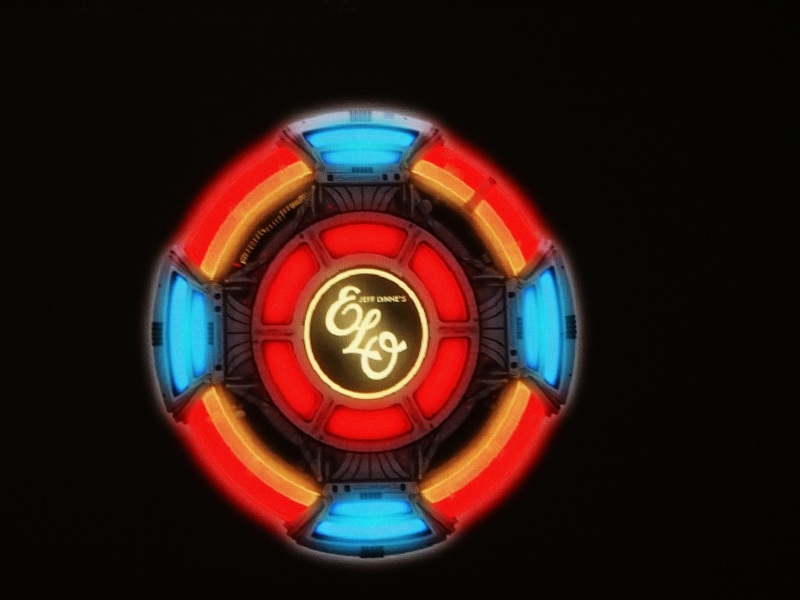 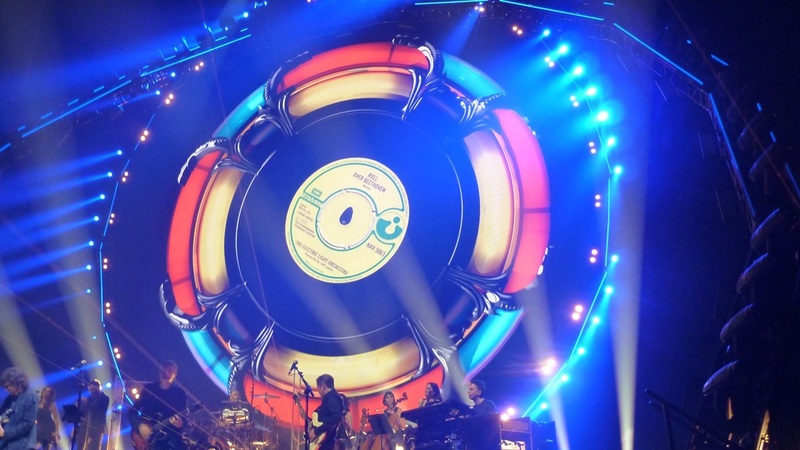 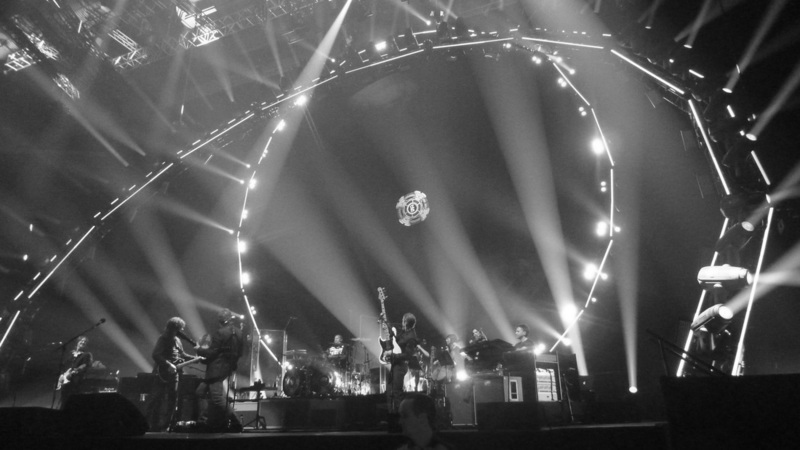 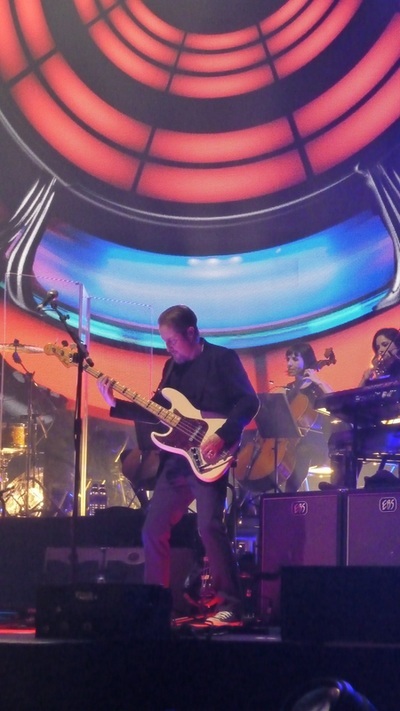 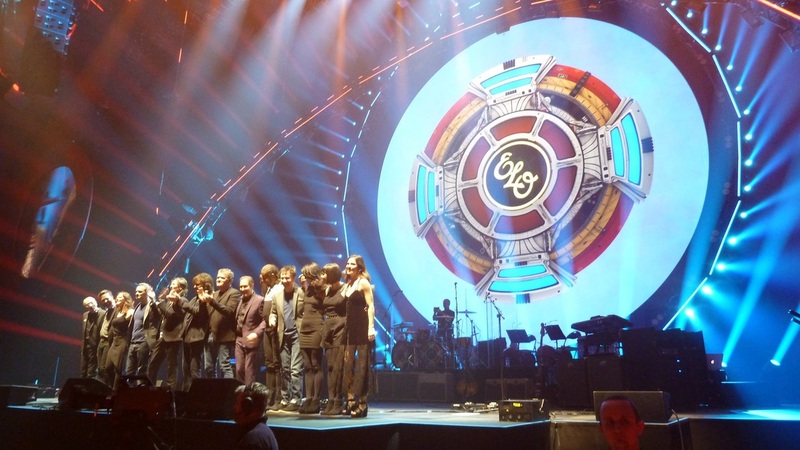 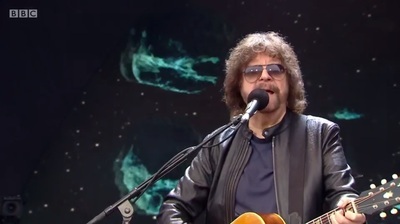 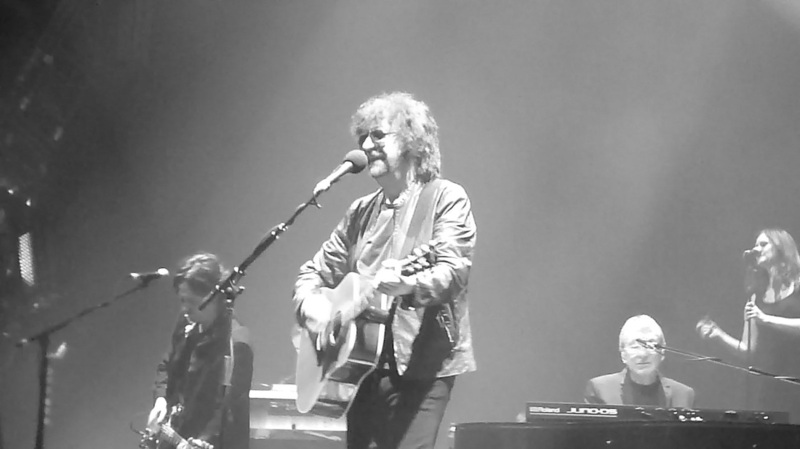 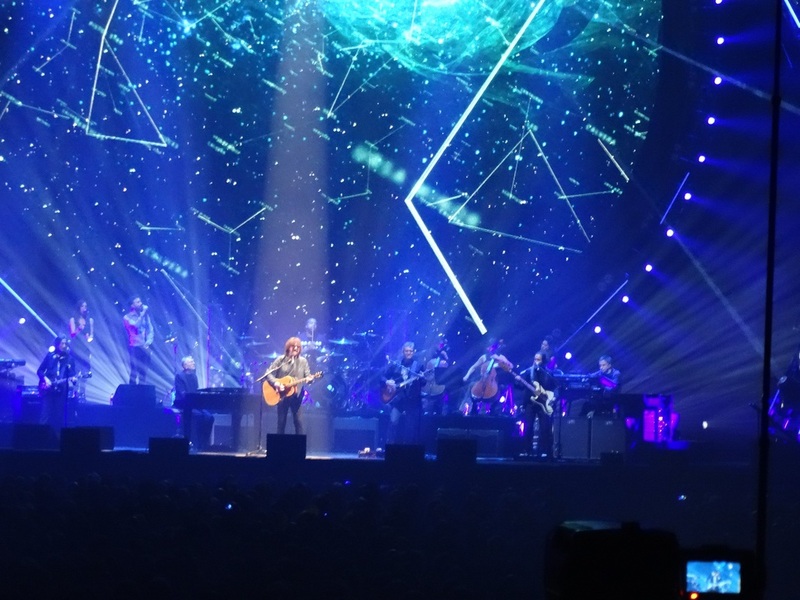 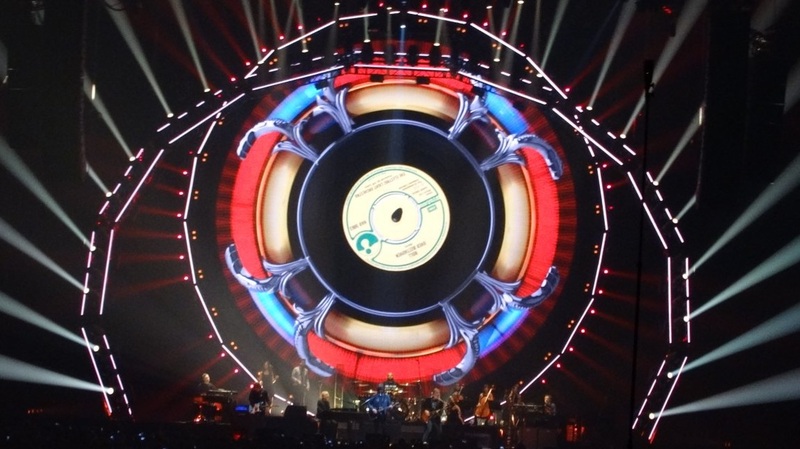 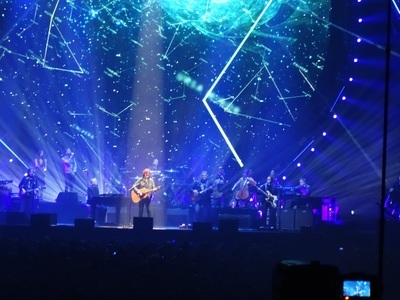 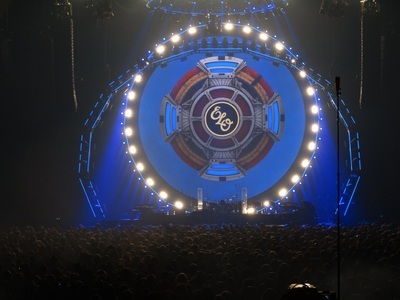 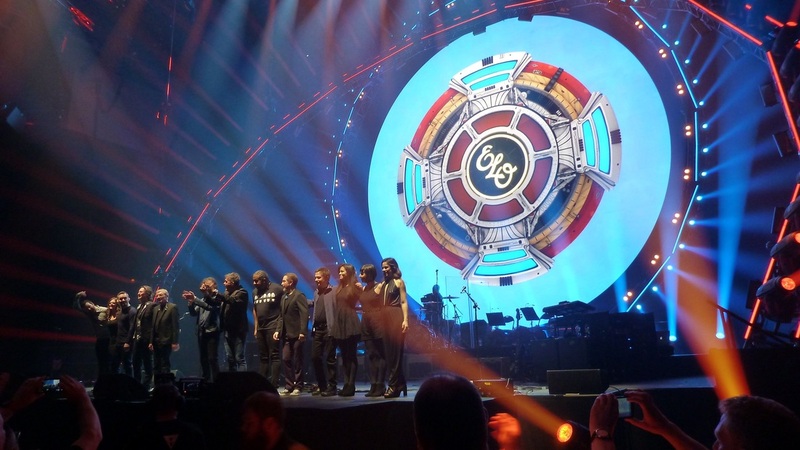 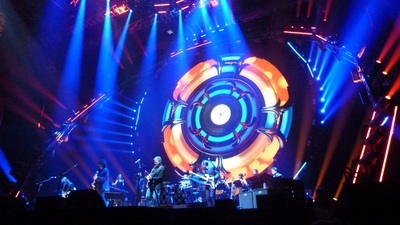 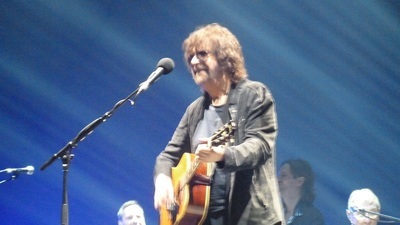 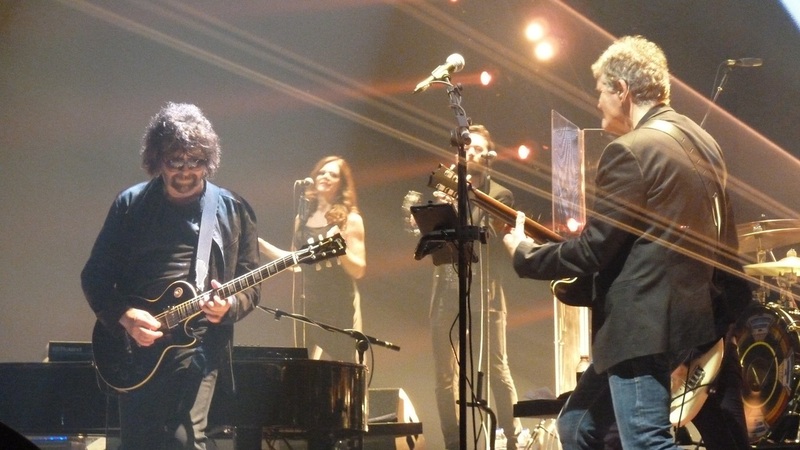 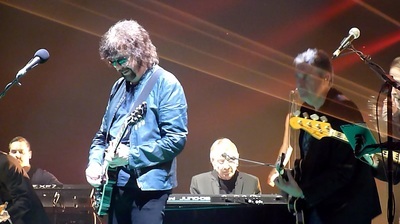 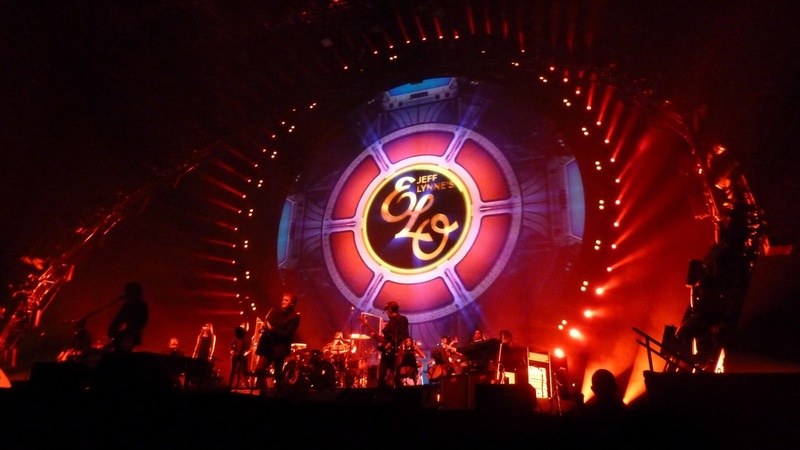 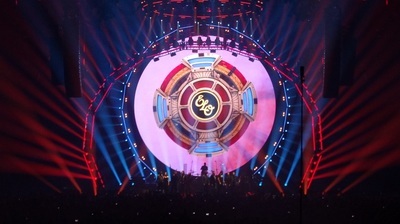 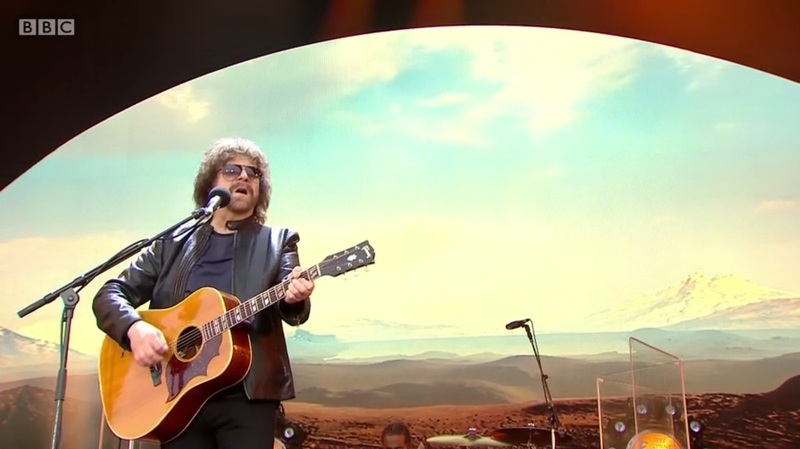 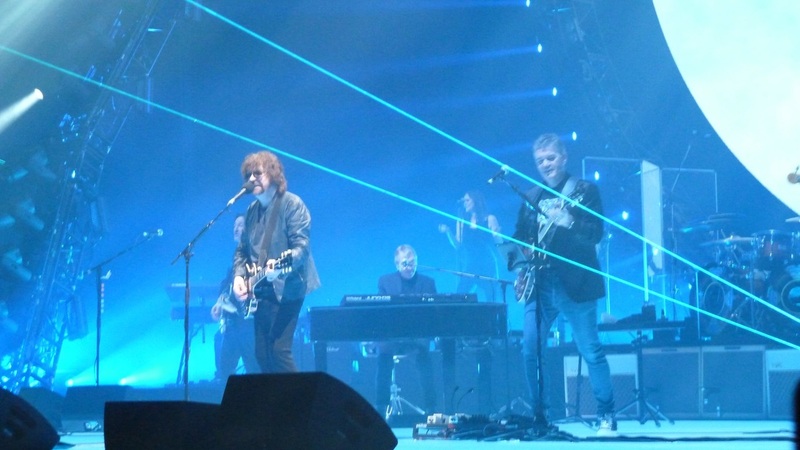 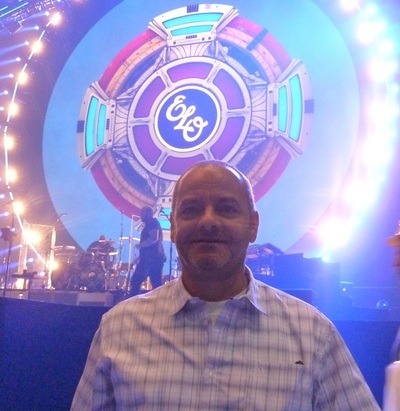 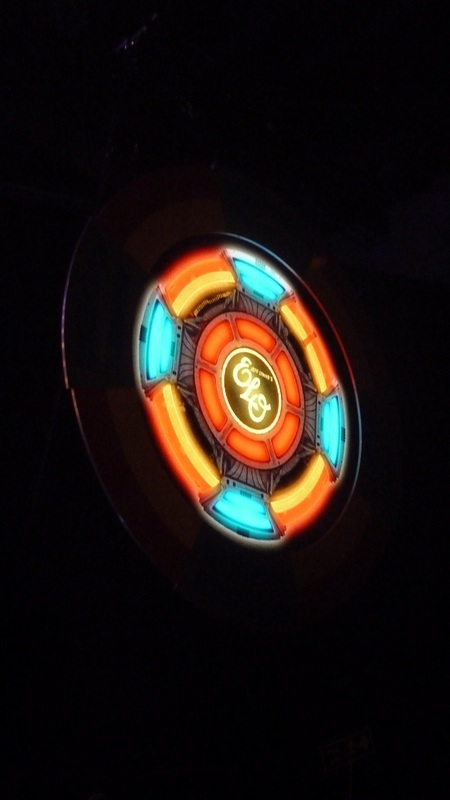 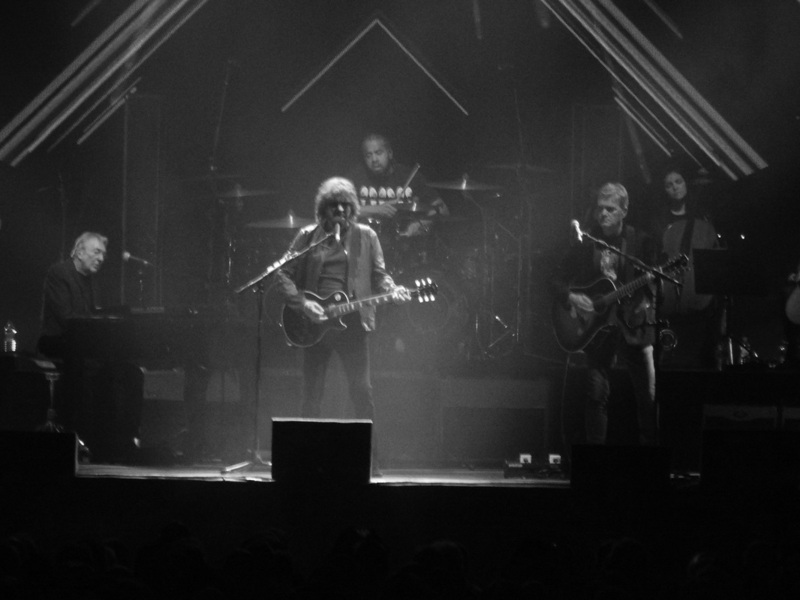 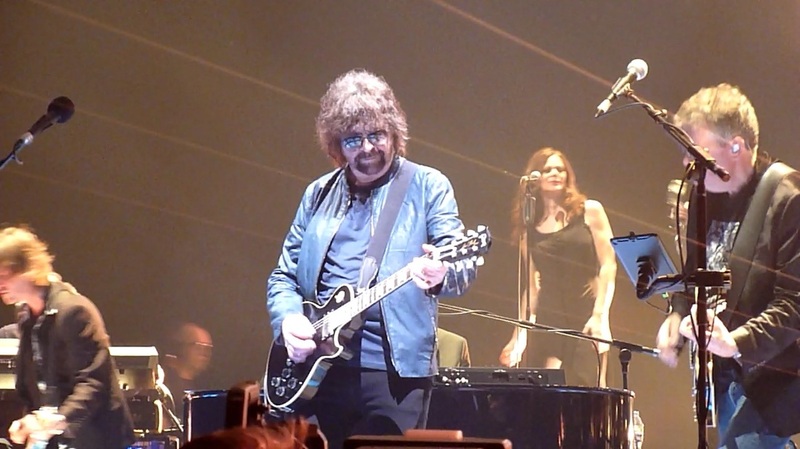 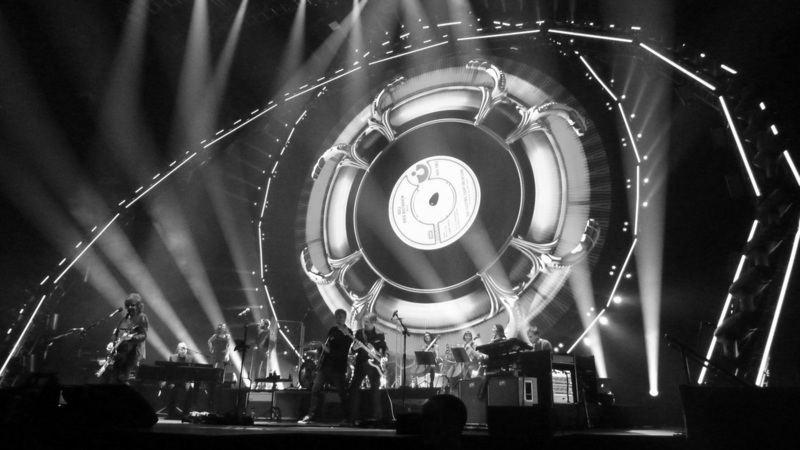 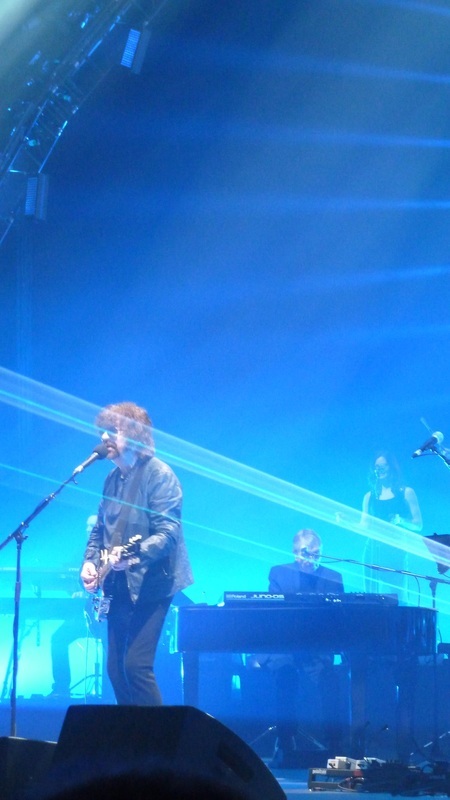 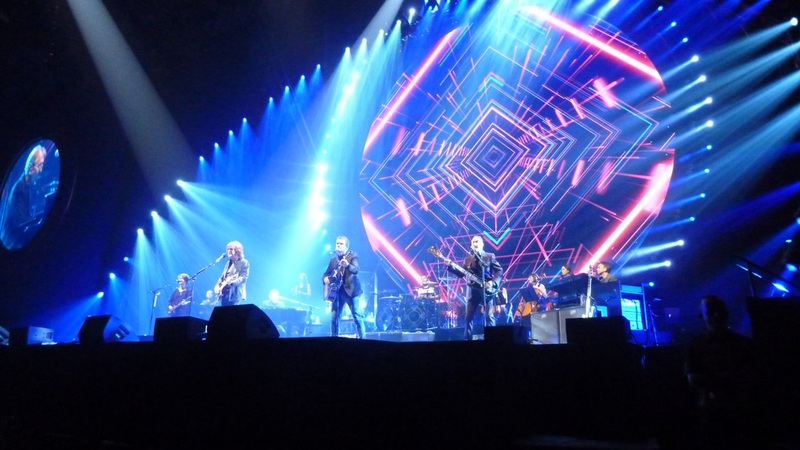 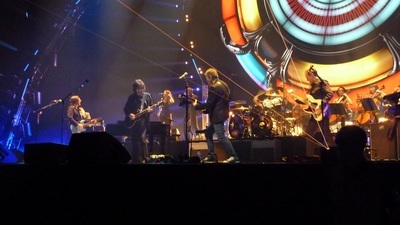 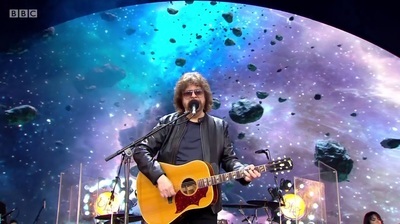 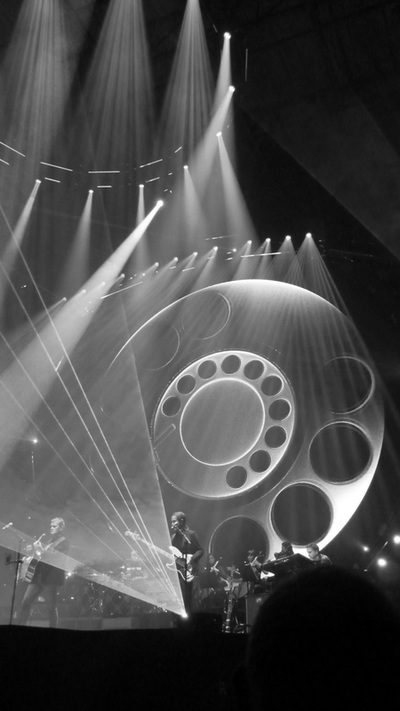 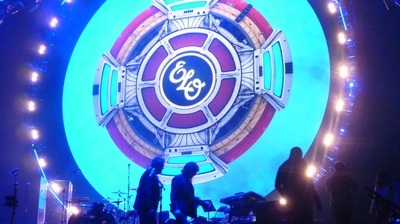 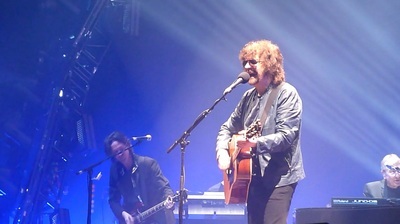 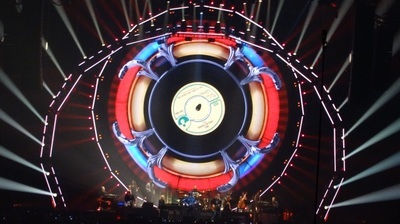 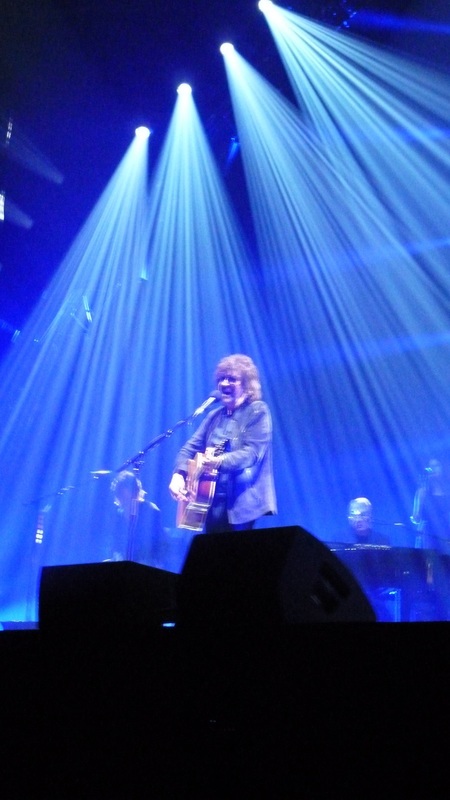 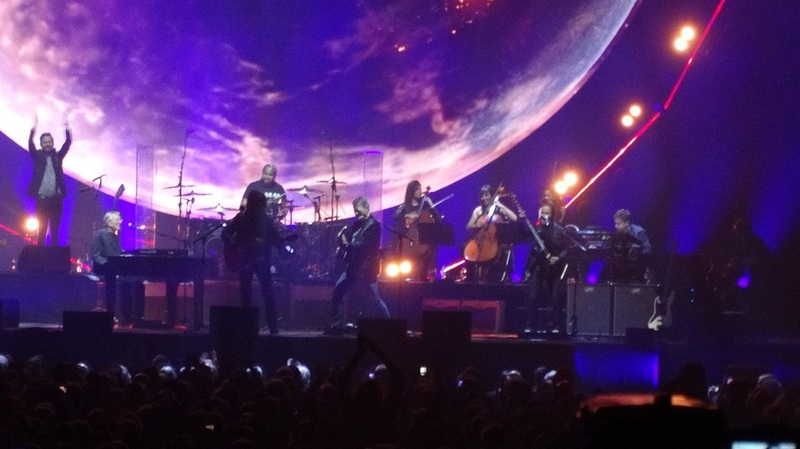 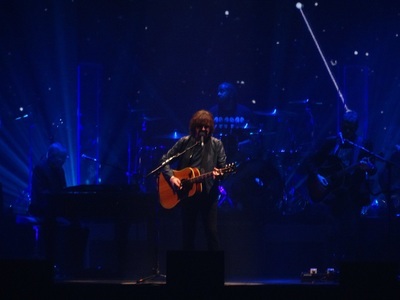 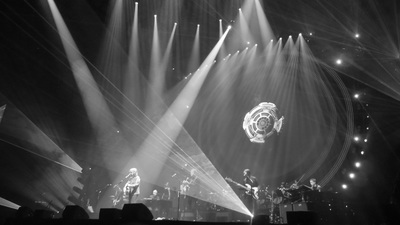 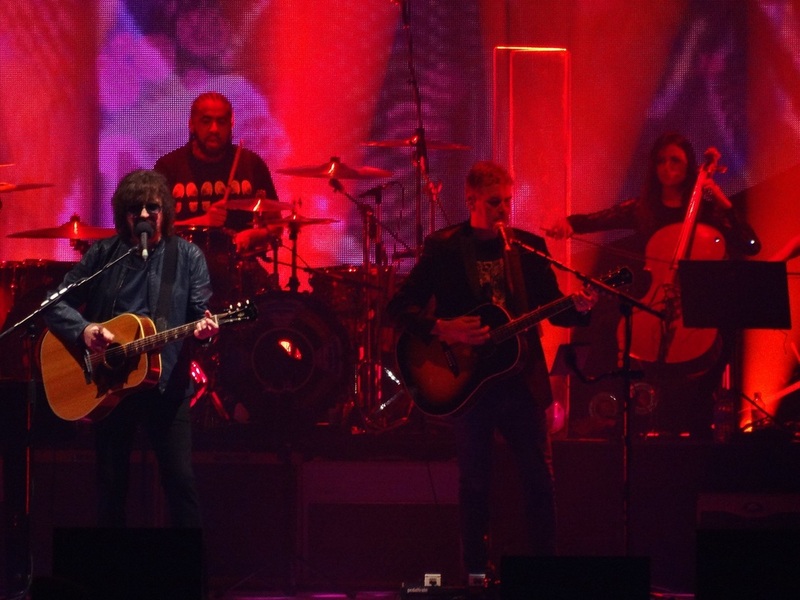 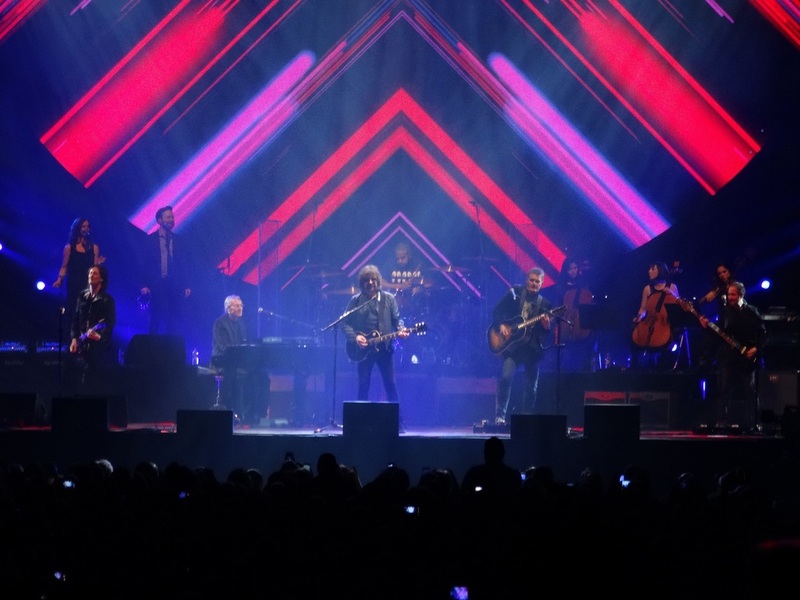 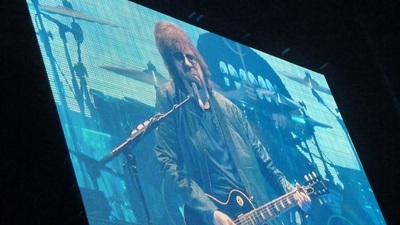 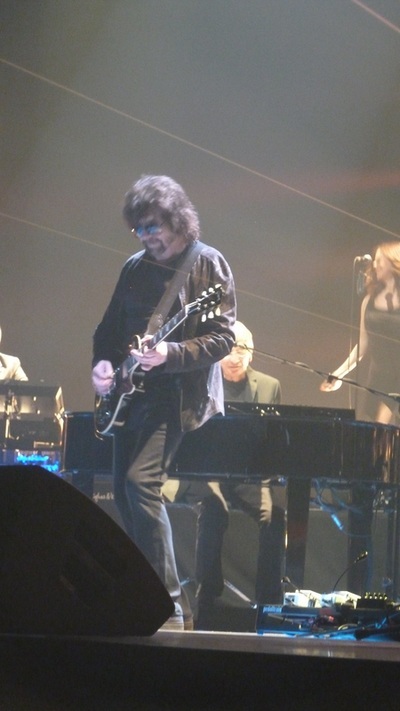 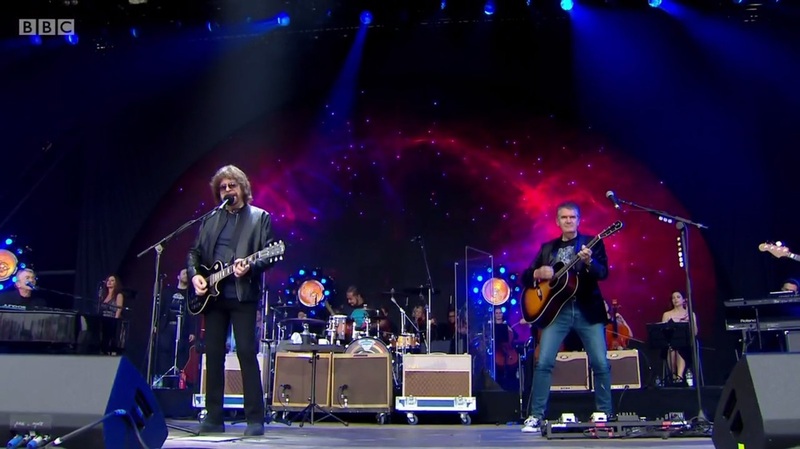 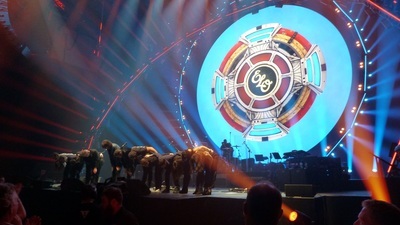 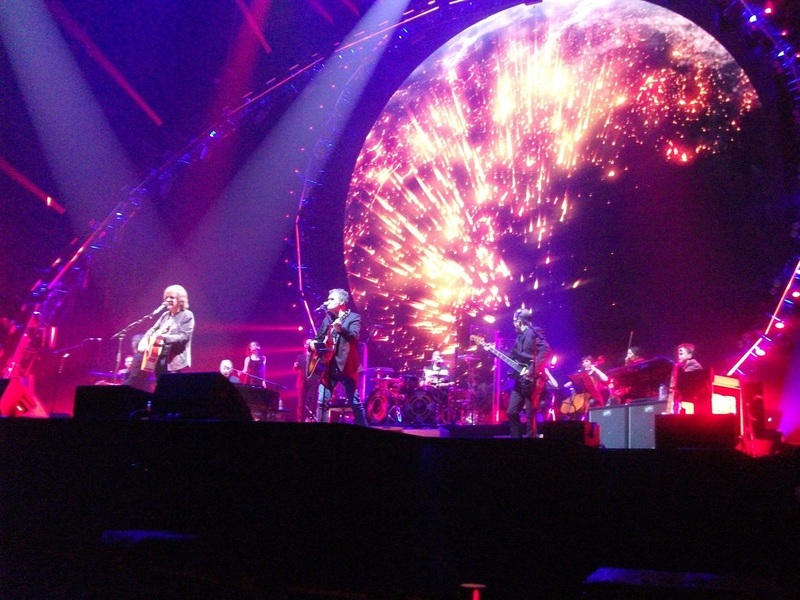 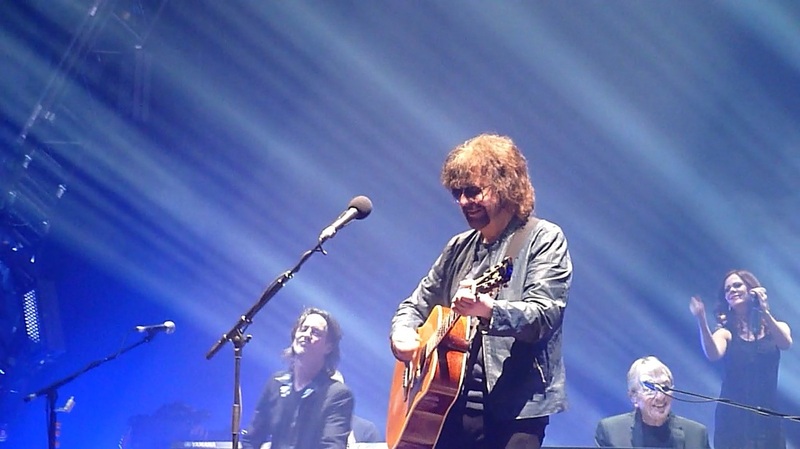 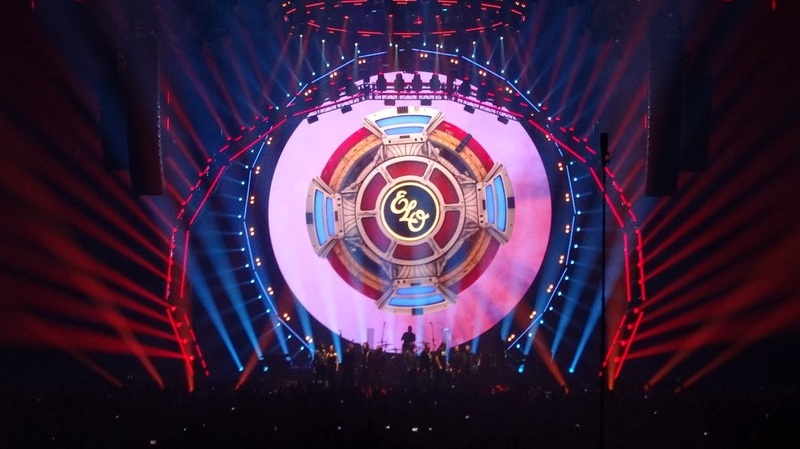 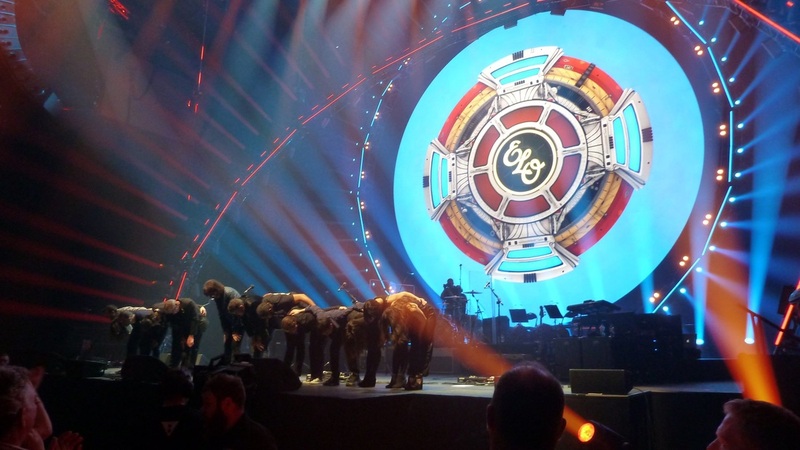 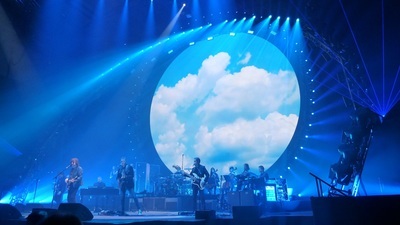 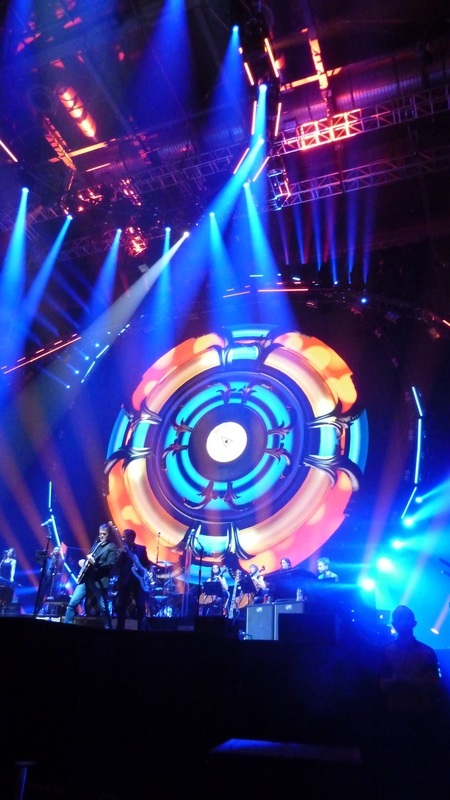 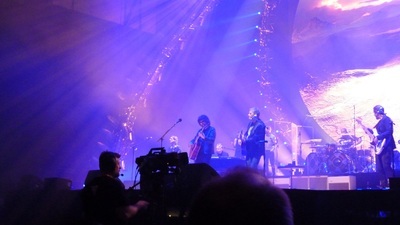 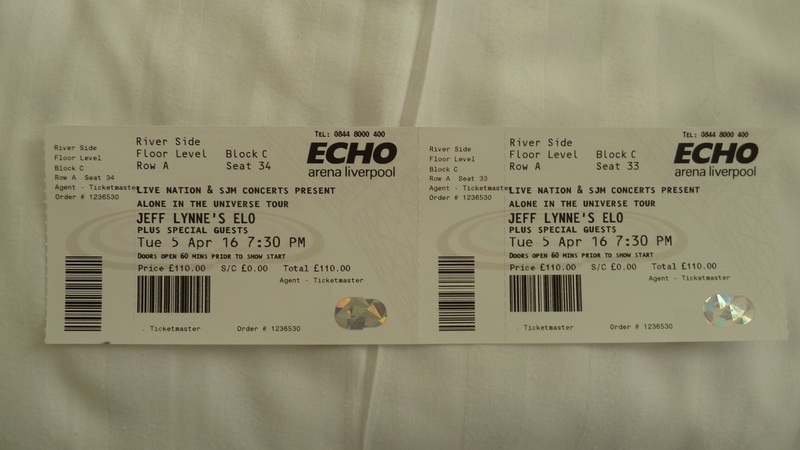 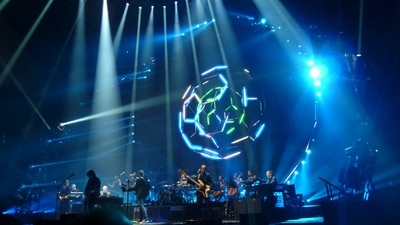 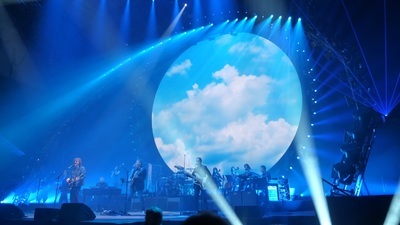 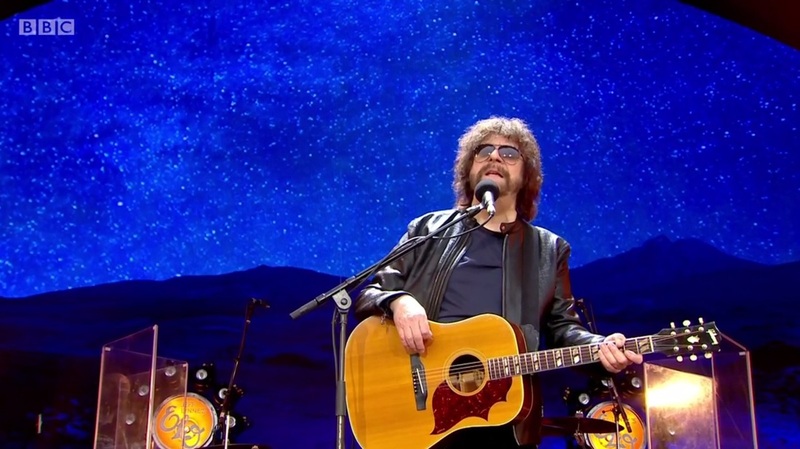 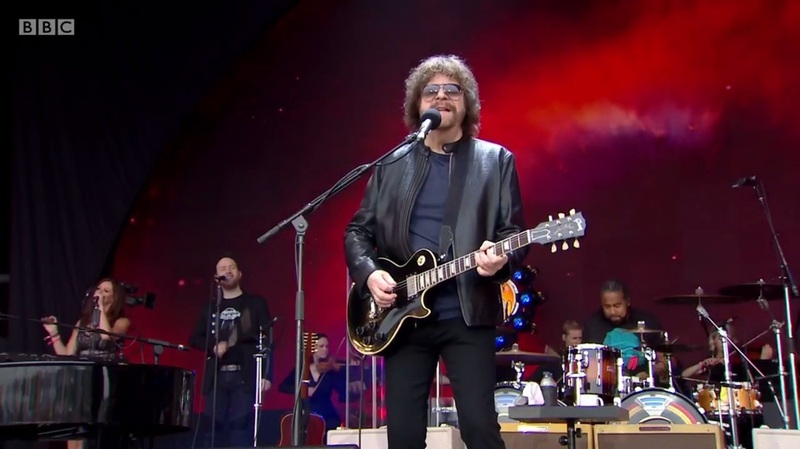 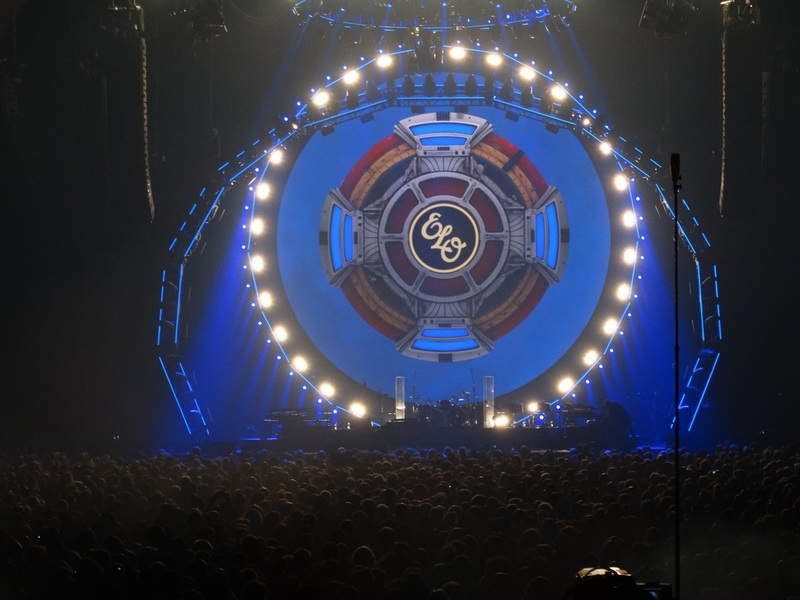 Tonight we had front row tickets to see Jeff Lynne's ELO at the opening night of their U.K. & European tour at the Echo Arena. 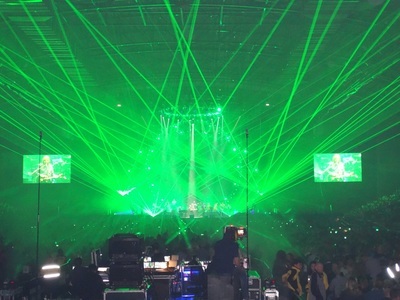 It looked like all 9000 plus seats were sold. 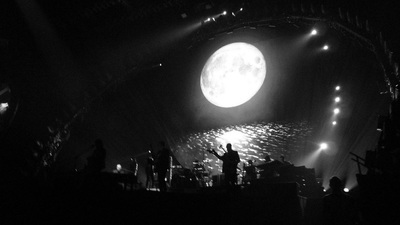 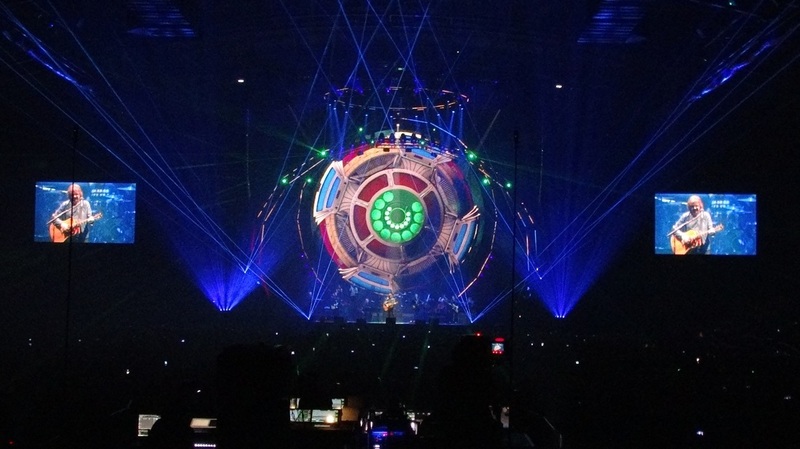 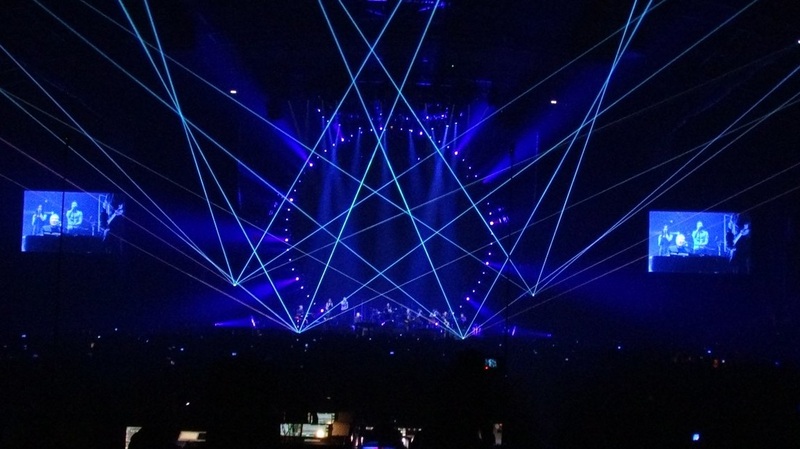 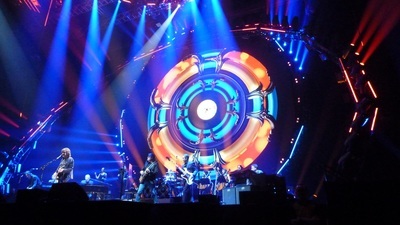 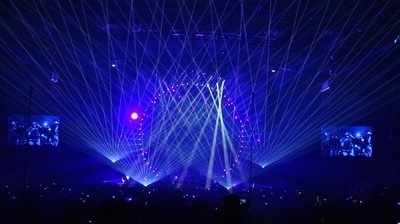 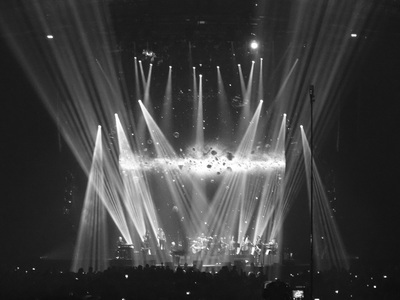 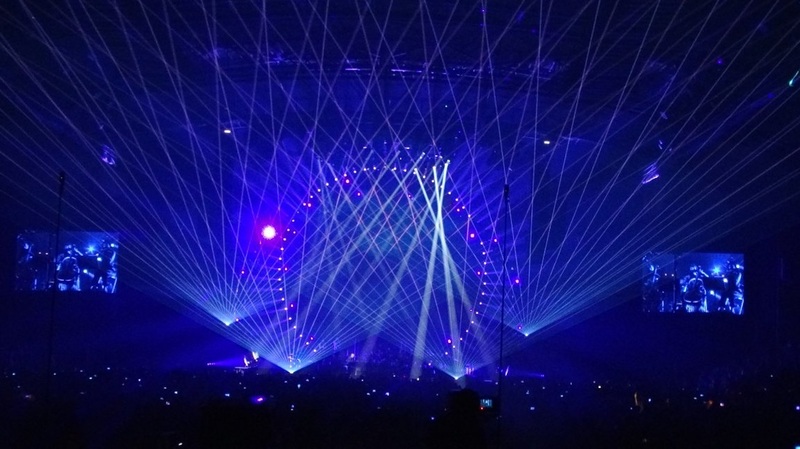 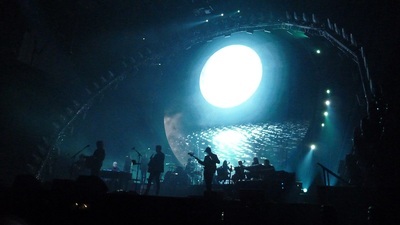 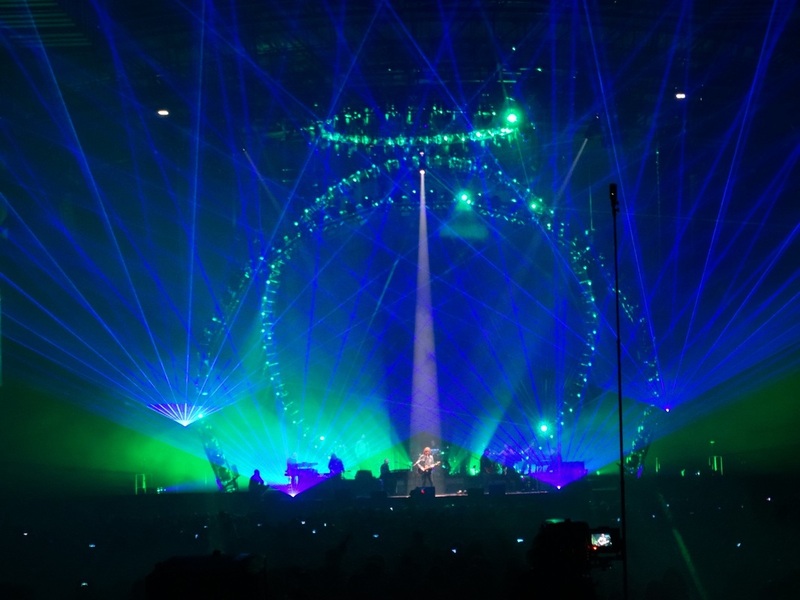 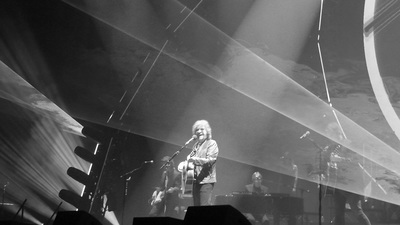 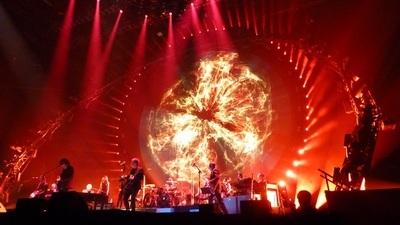 Great light show and a very tight professional show by the band. 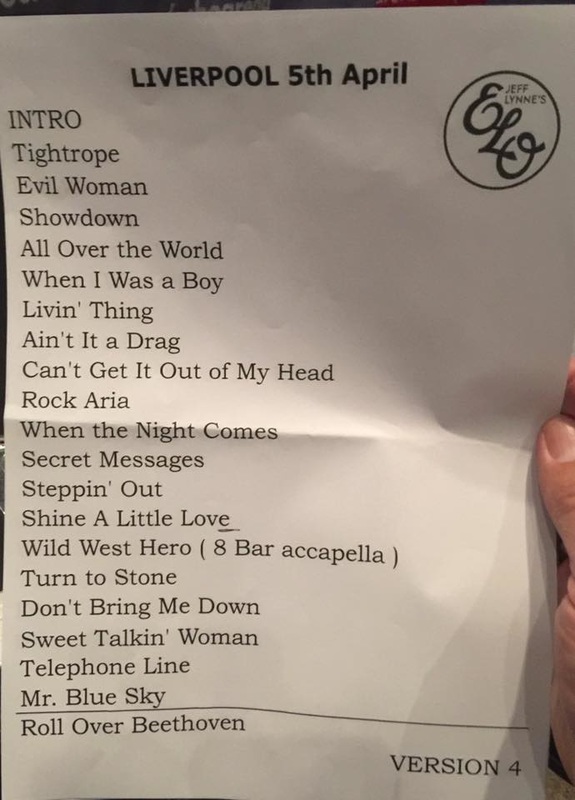 My personal faves were Secret Messages and Evil Woman. 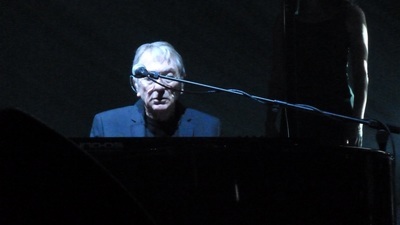 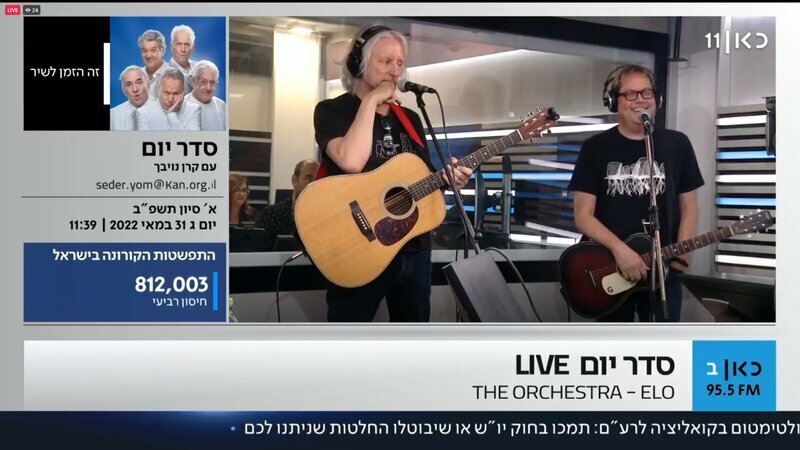 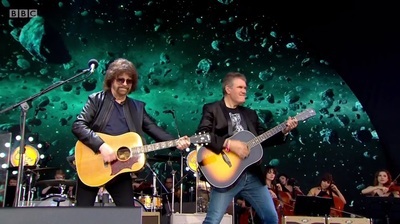 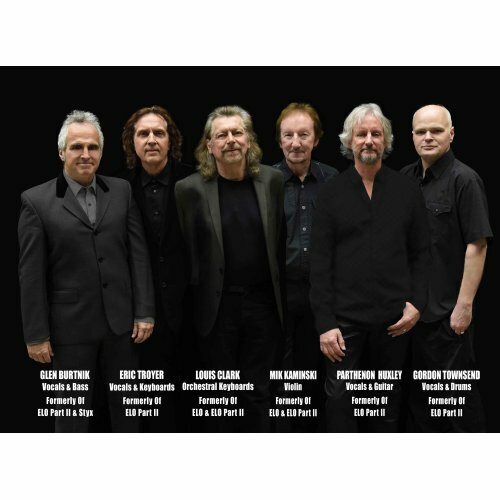 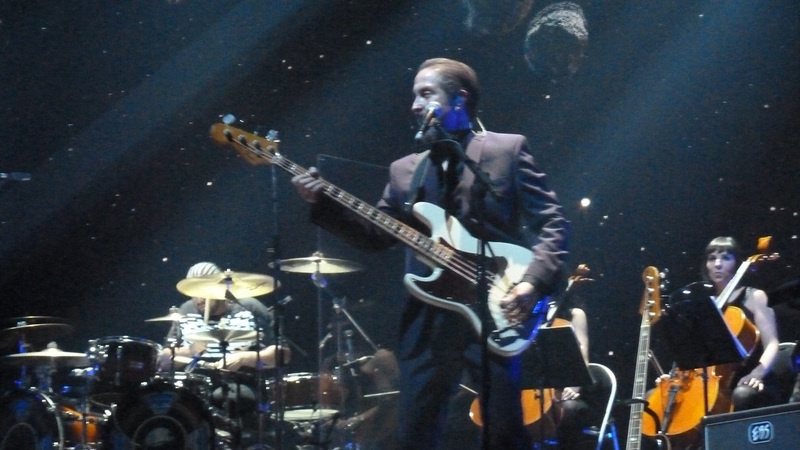 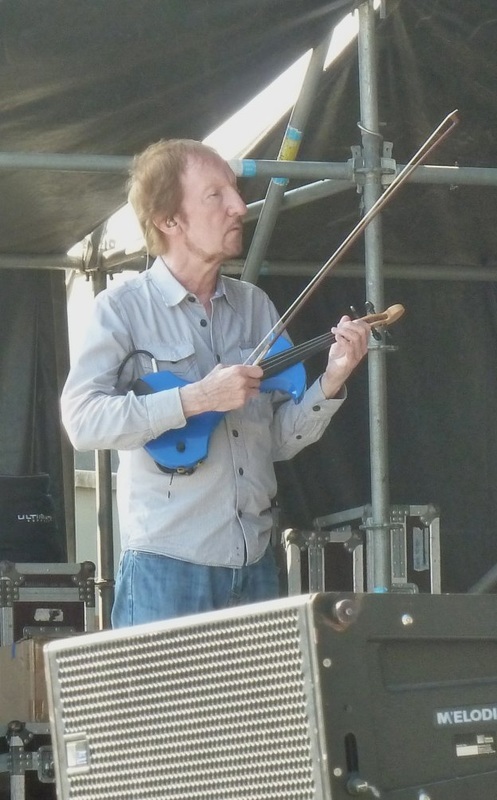 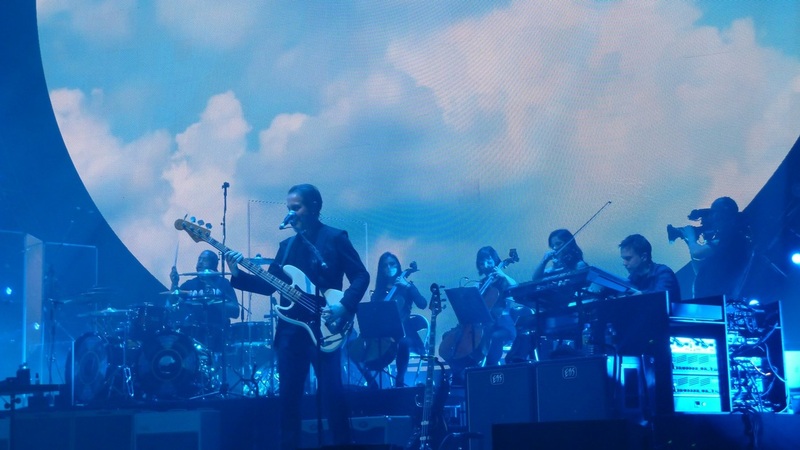 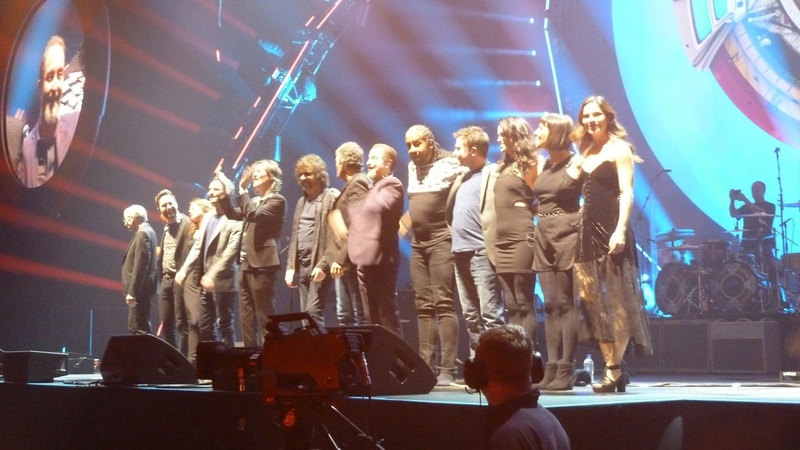 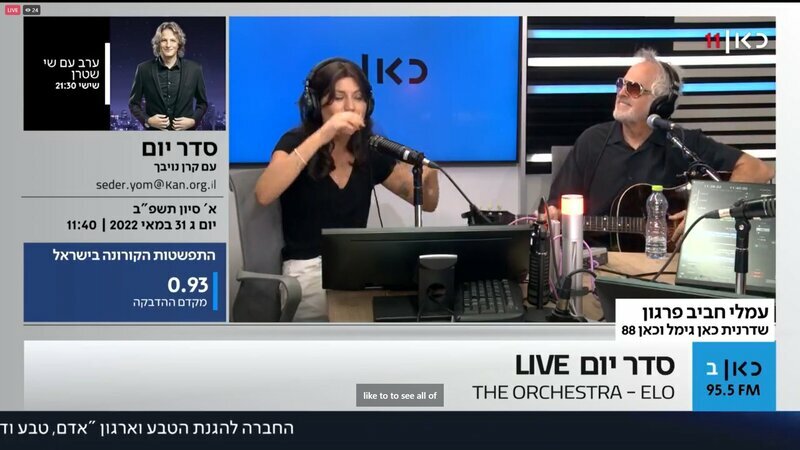 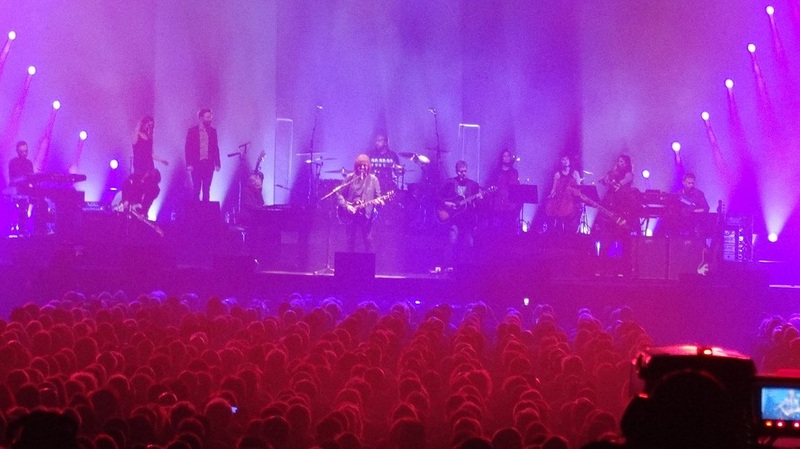 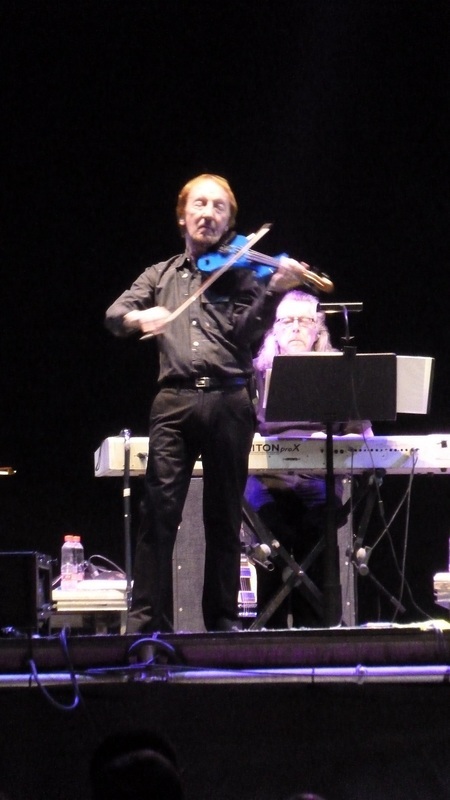 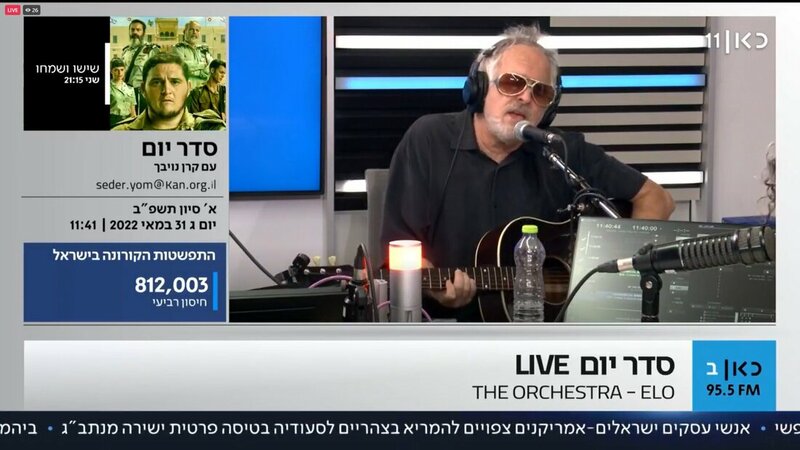 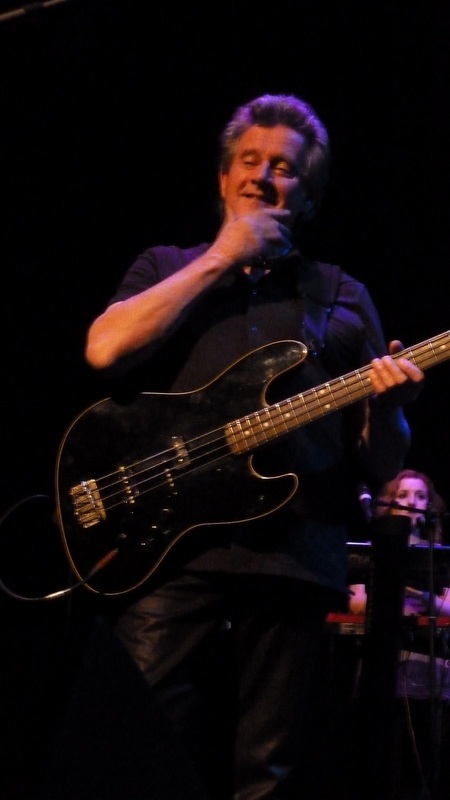 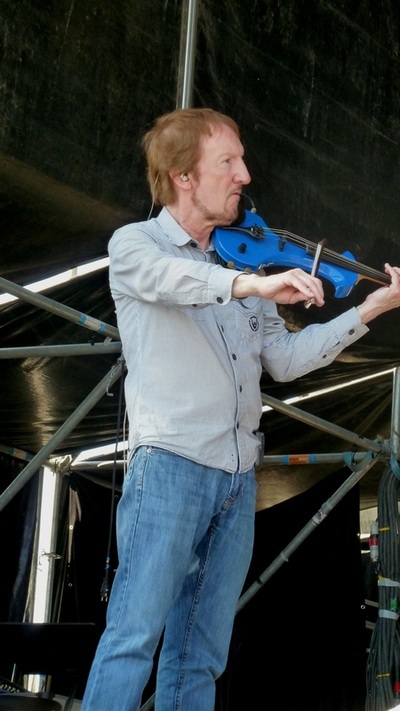 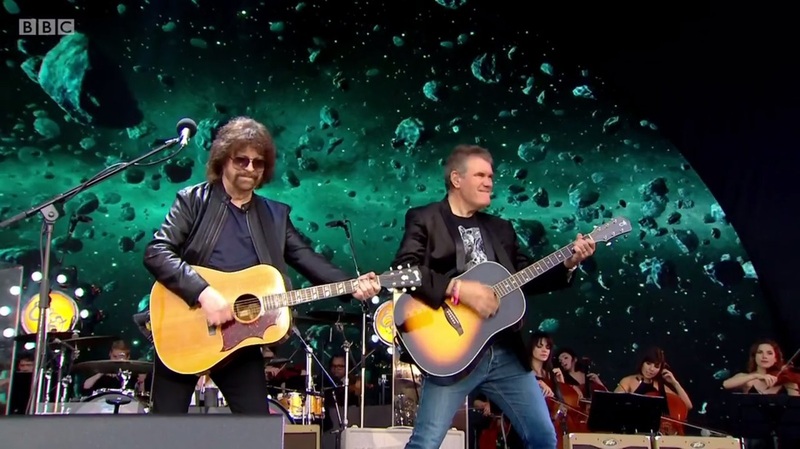 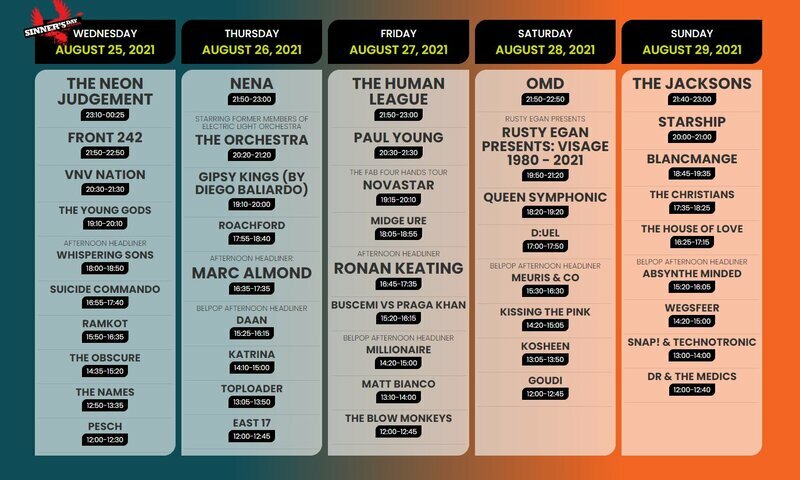 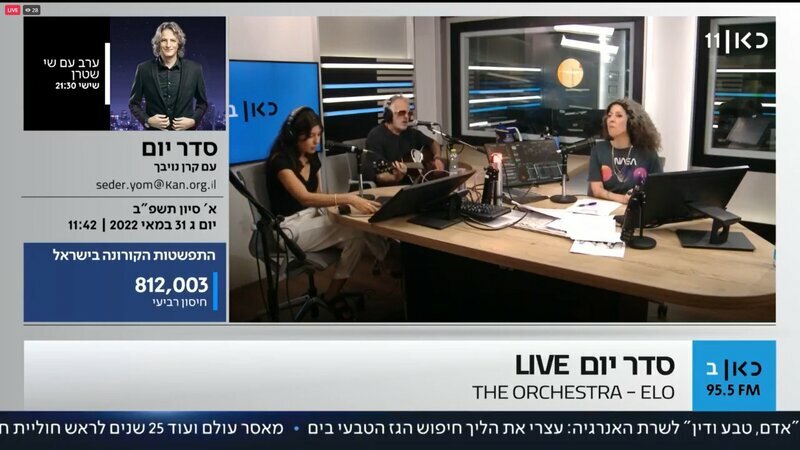 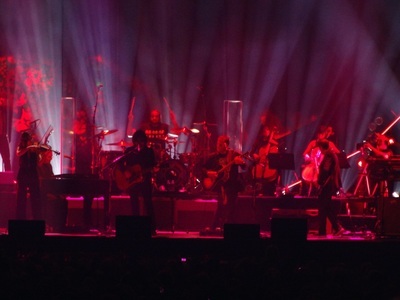 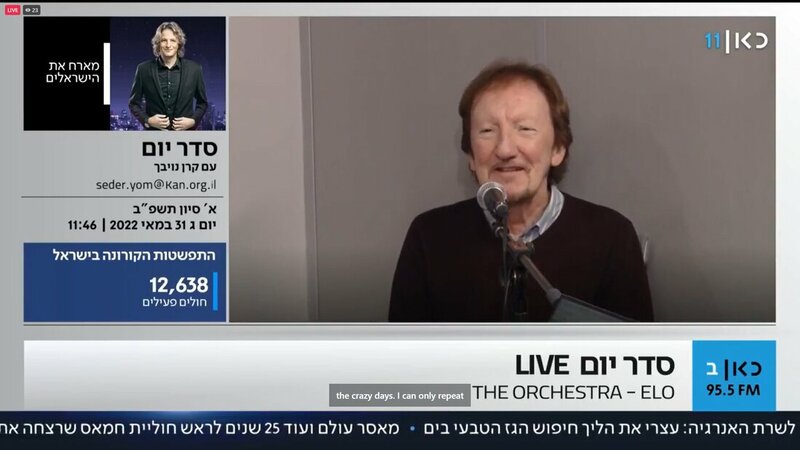 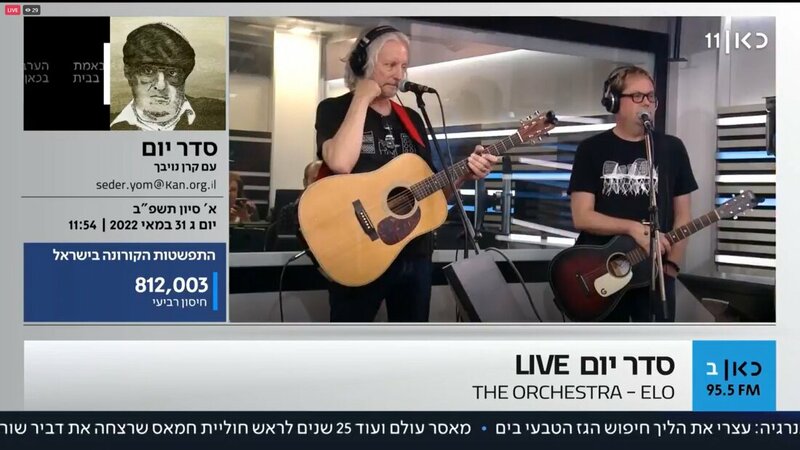 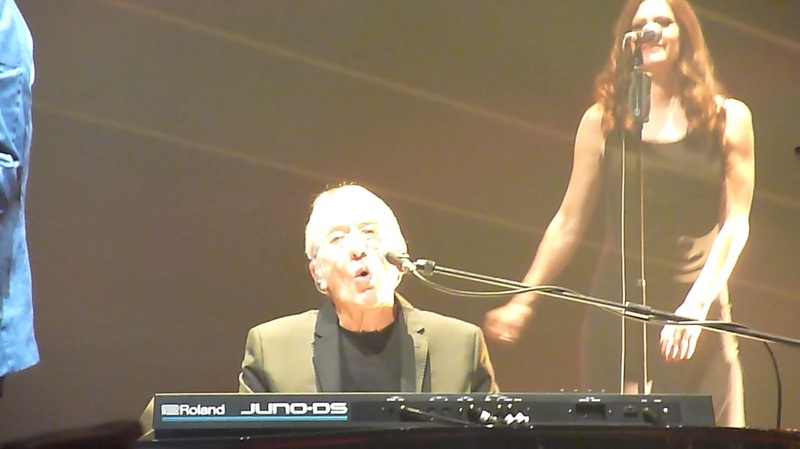 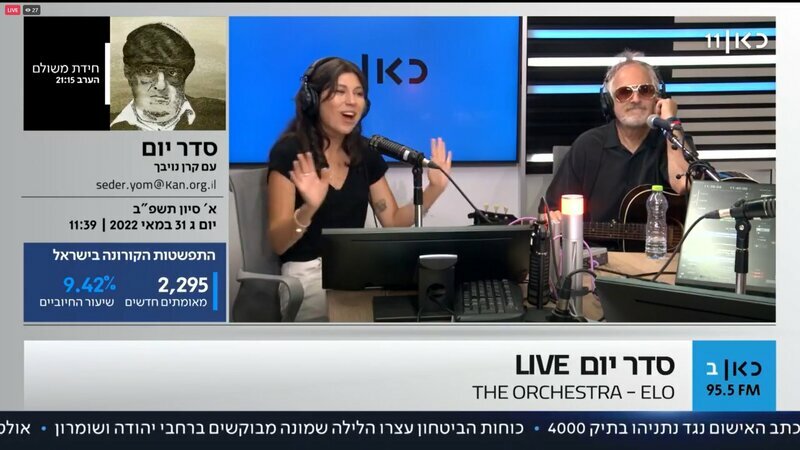 But I personally struggled listening to Wild West Hero and Rockaria without hearing the late Kelly Groucutt's vocals as he sang these particular songs so well with Orkestra, ELO Part 2 and The Orchestra (ft Former ELO & ELO Part 2 Members) - just my own personal feelings. 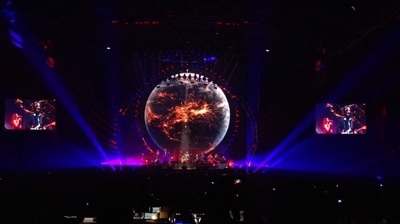 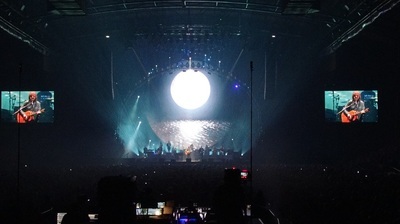 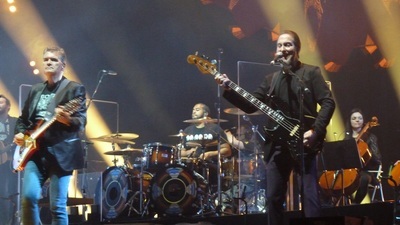 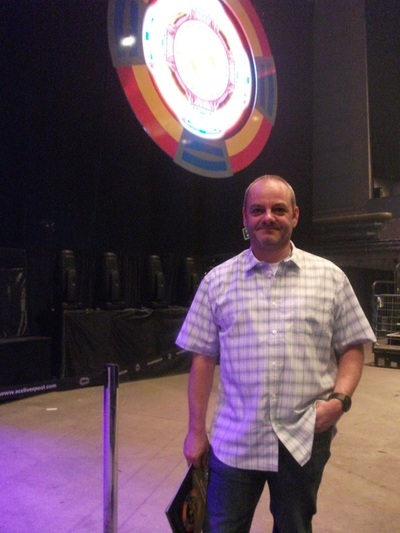 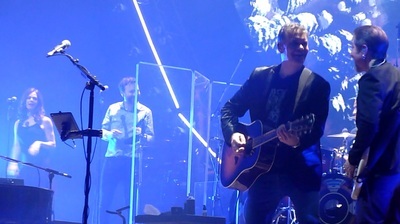 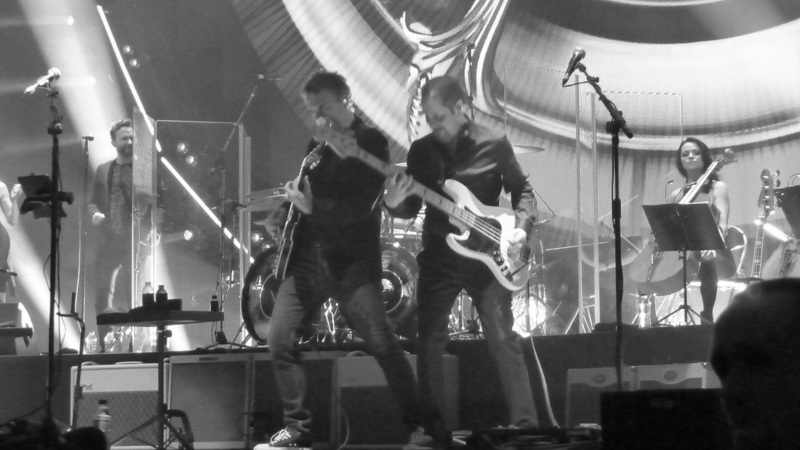 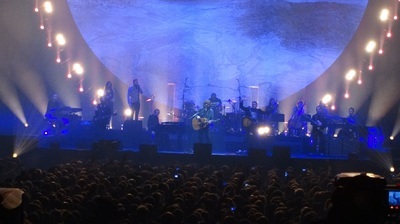 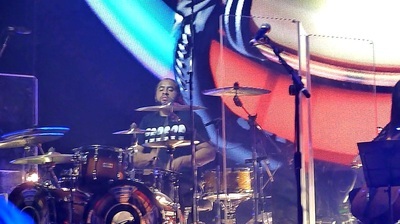 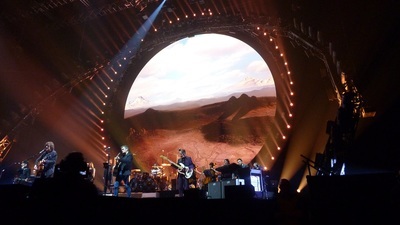 Really enjoyed the show though, and look forward to seeing the show again next week at Newcastle Metro Arena. 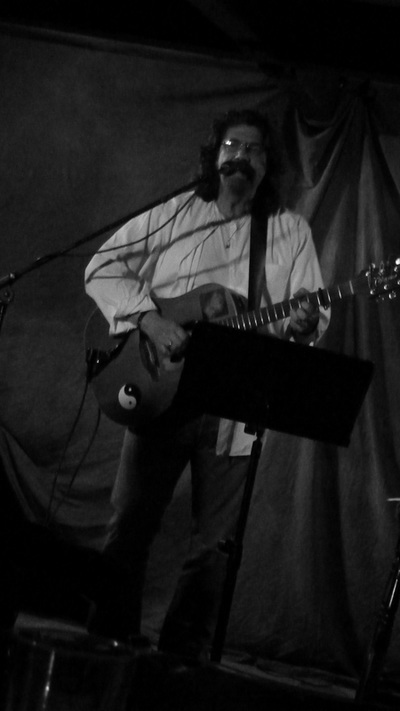 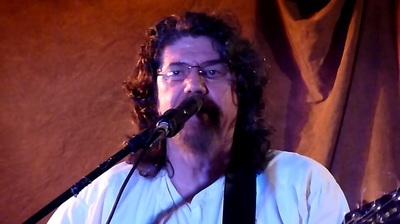 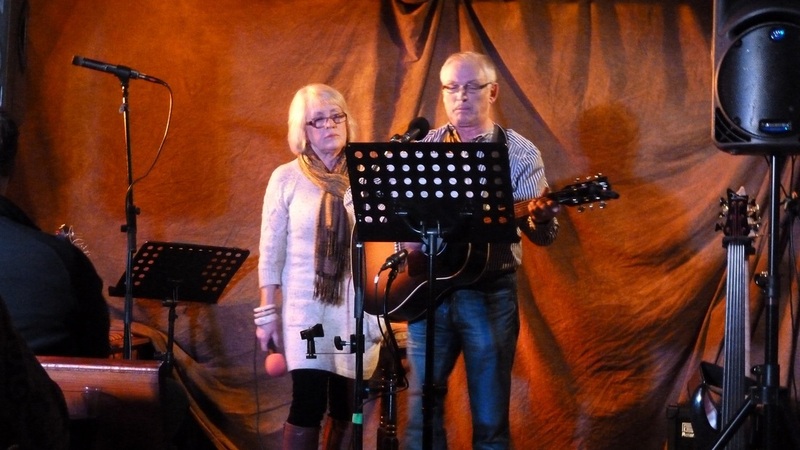 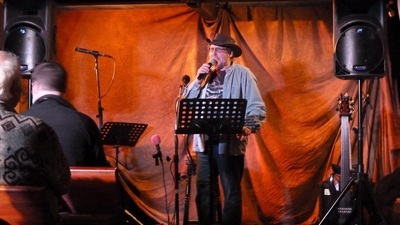 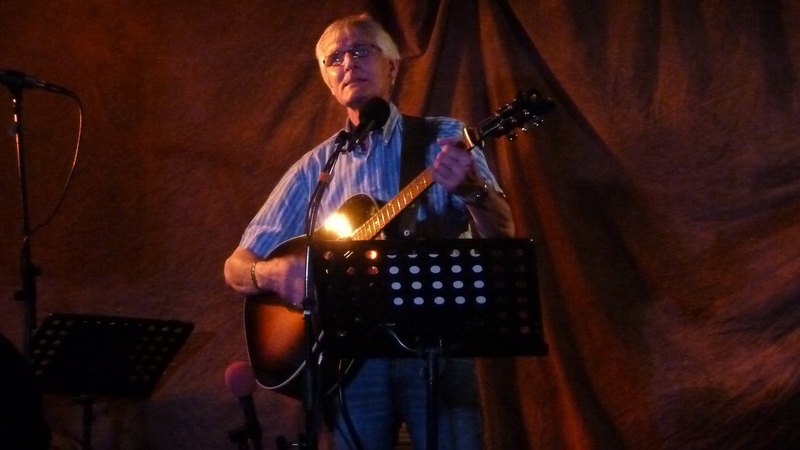 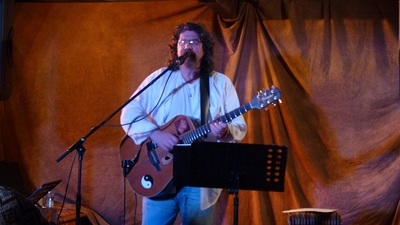 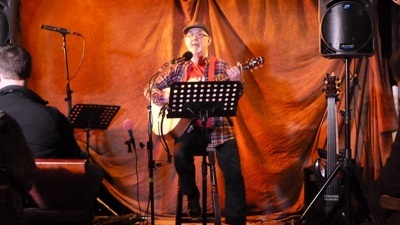 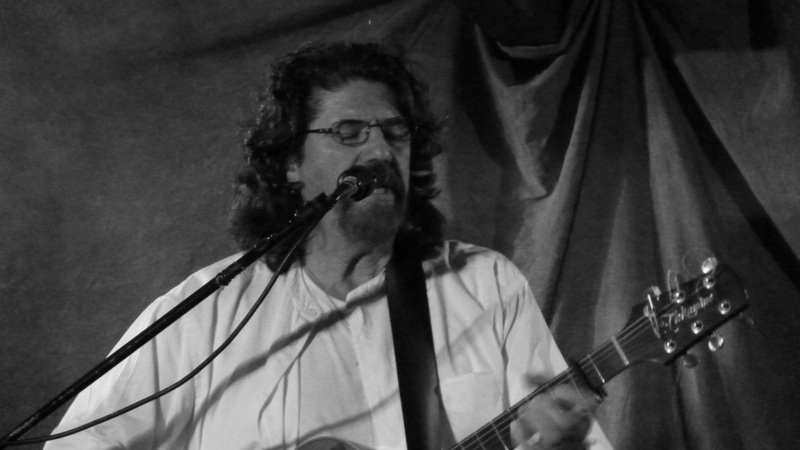 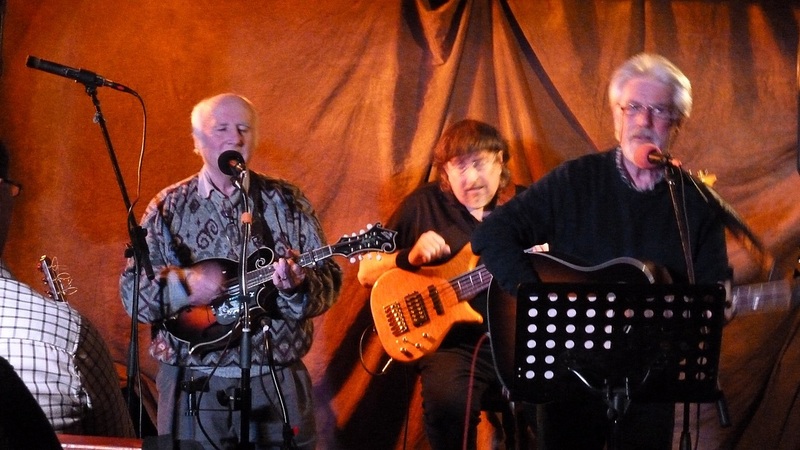 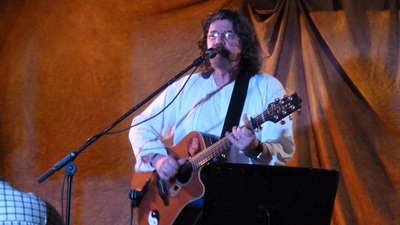 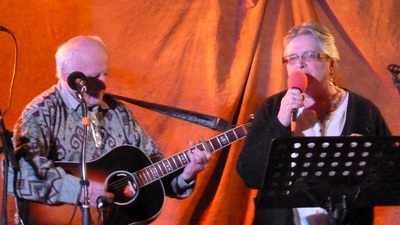 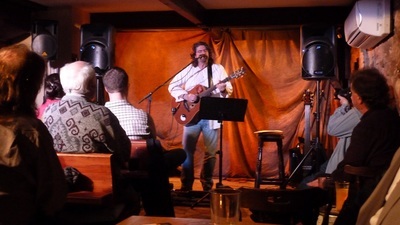 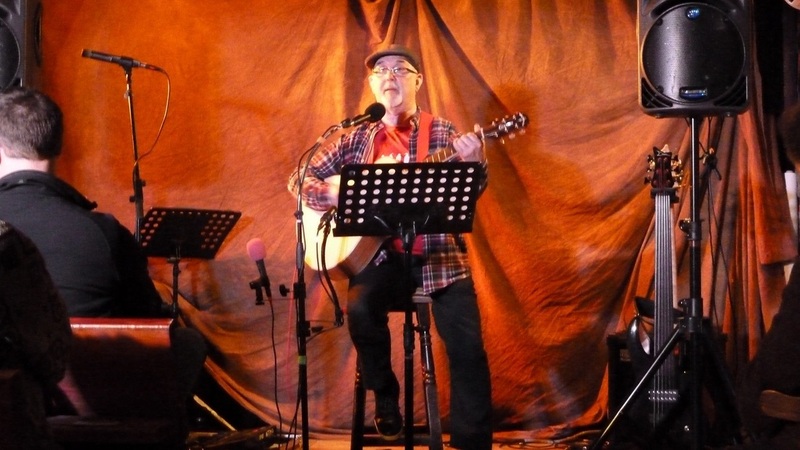 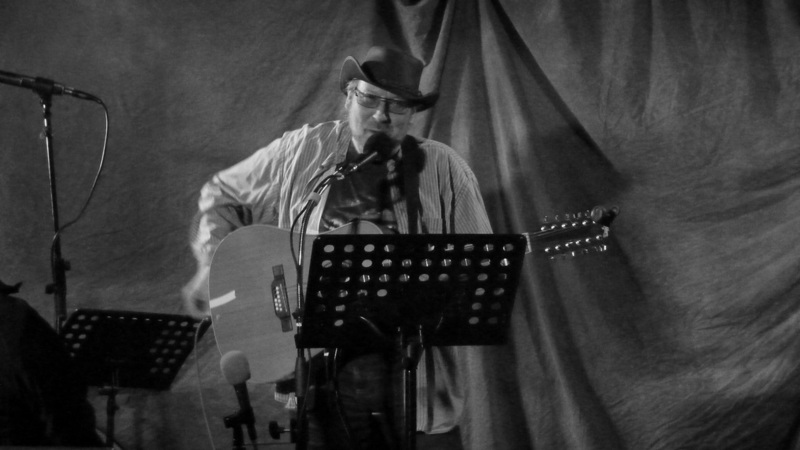 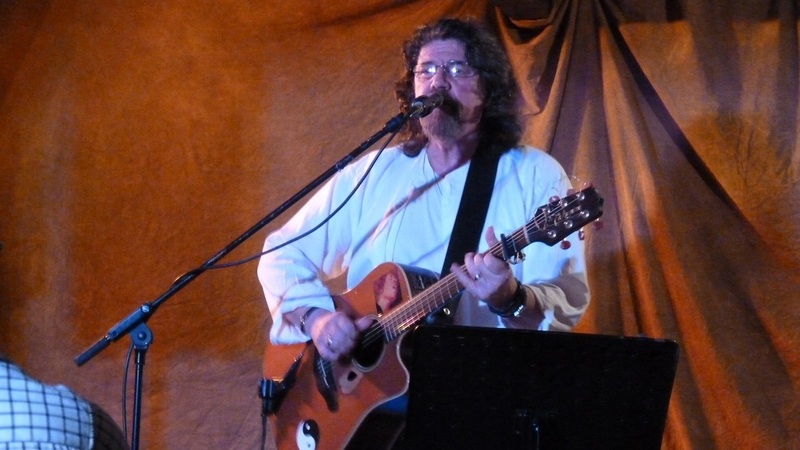 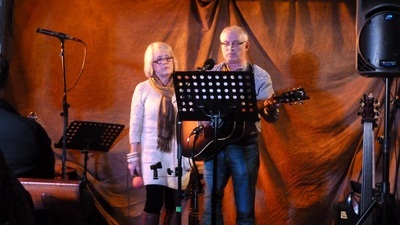 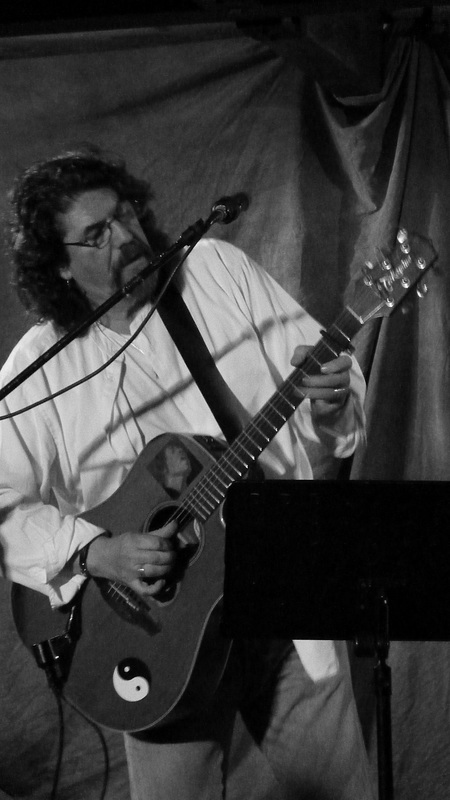 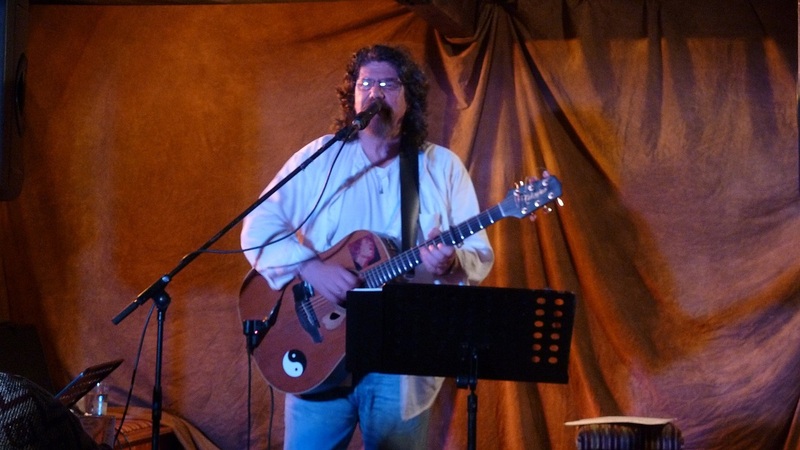 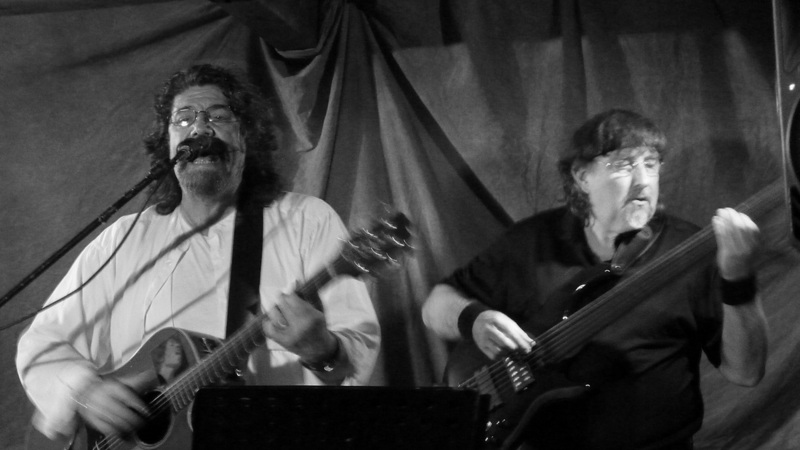 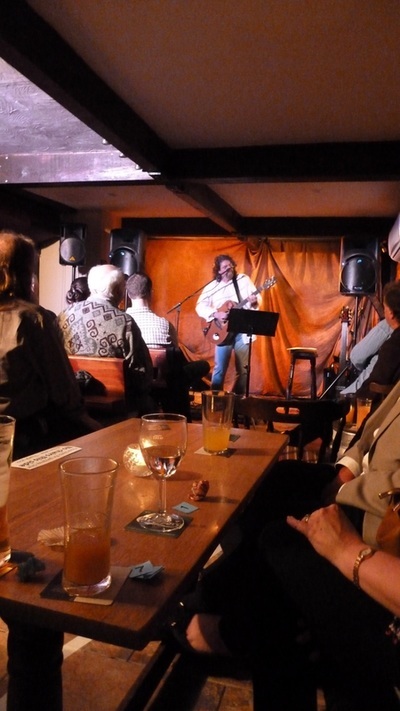 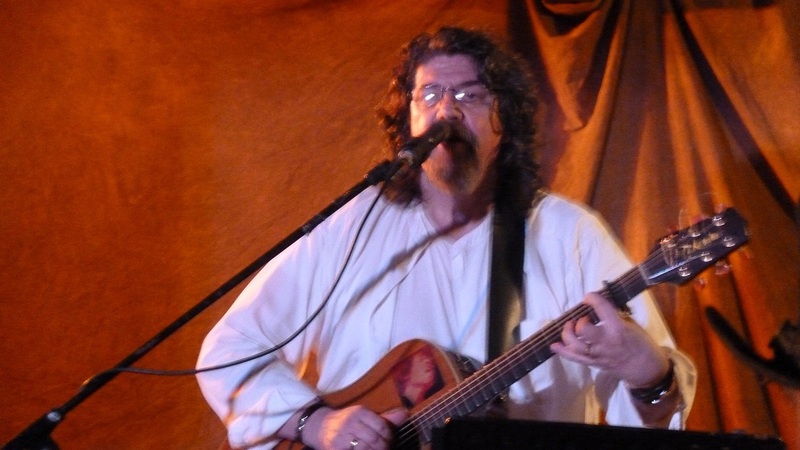 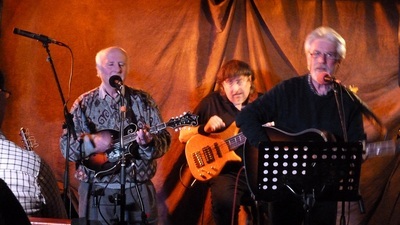 A fantastic evenings entertainment at the Ruthin All-Styles Music clubs sold-out Showcase event featuring headline act Phil Bates held at The Feathers in Ruthin. 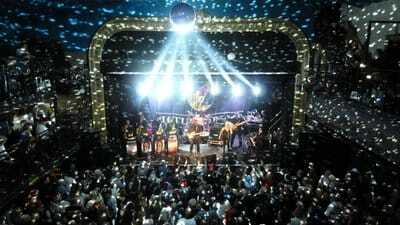 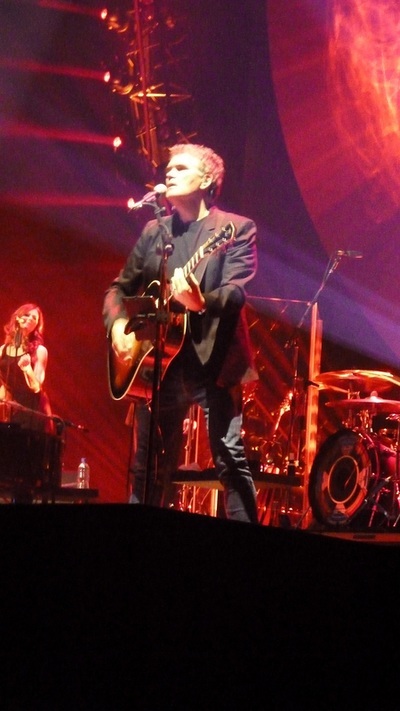 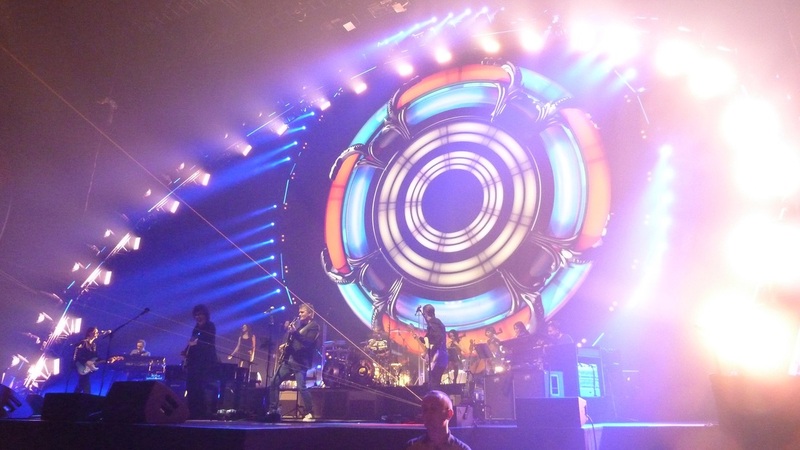 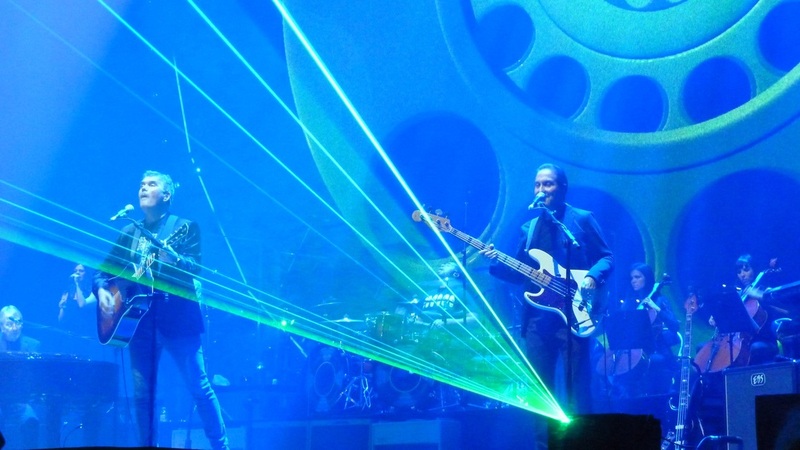 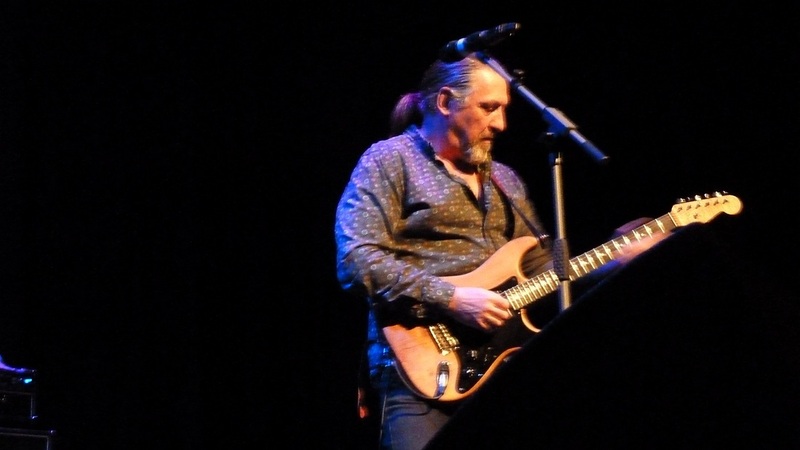 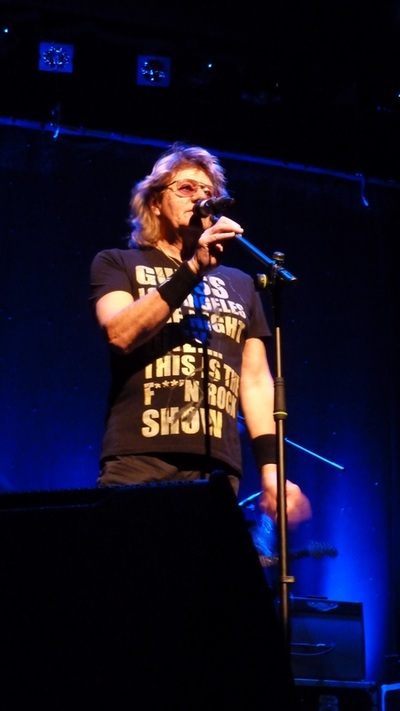 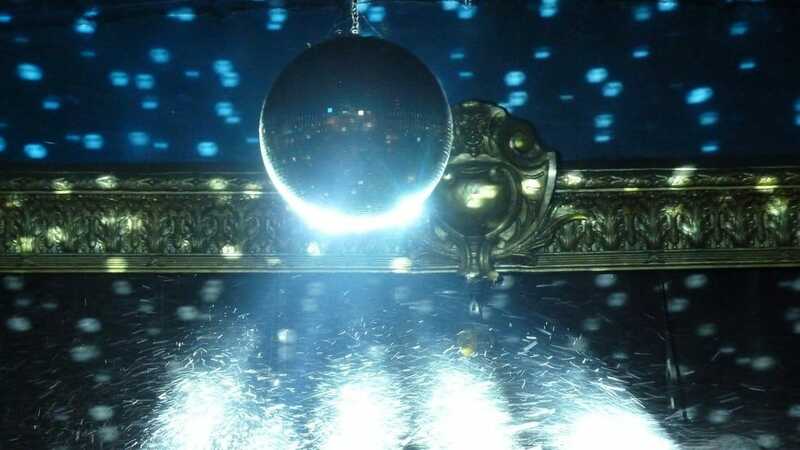 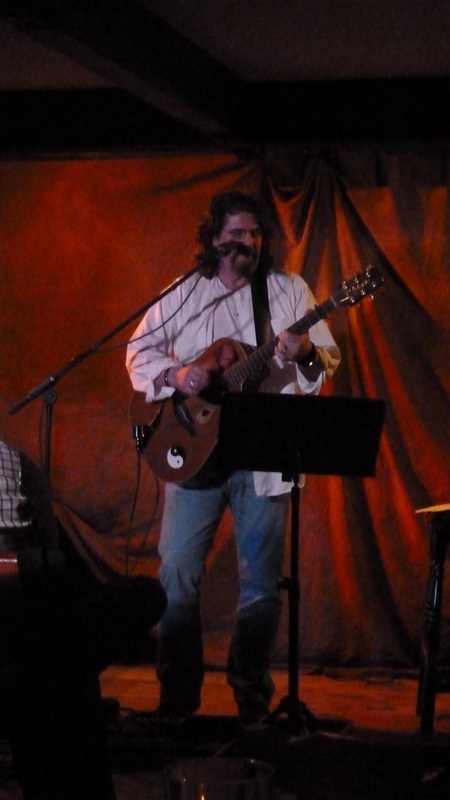 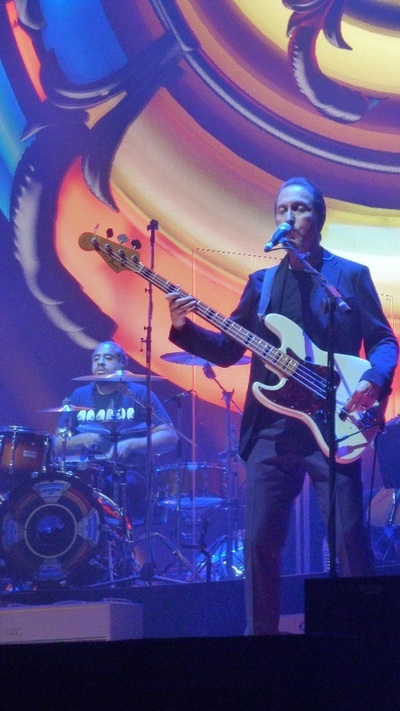 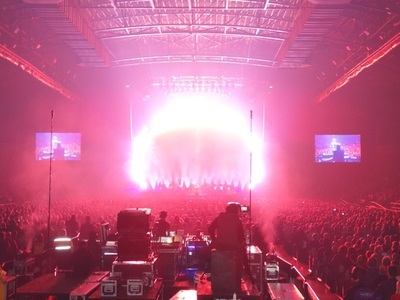 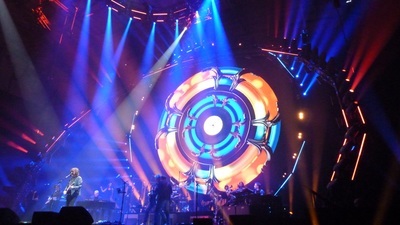 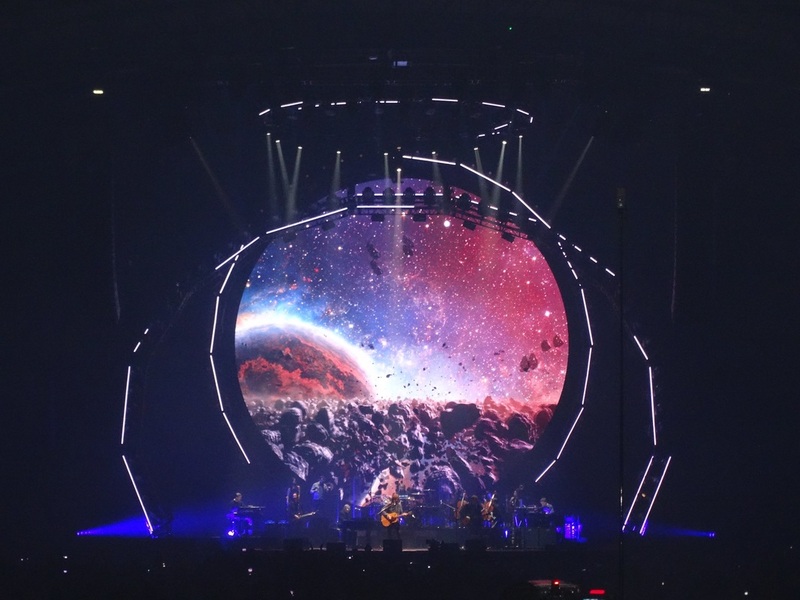 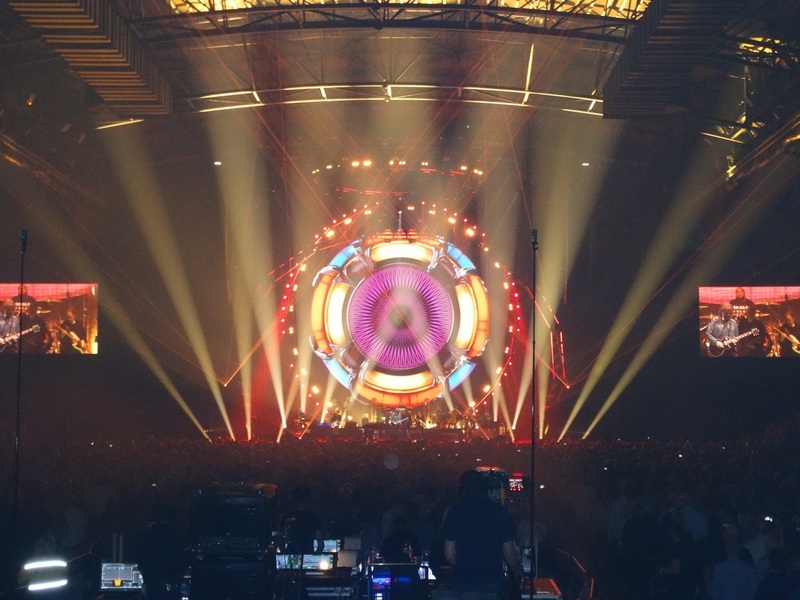 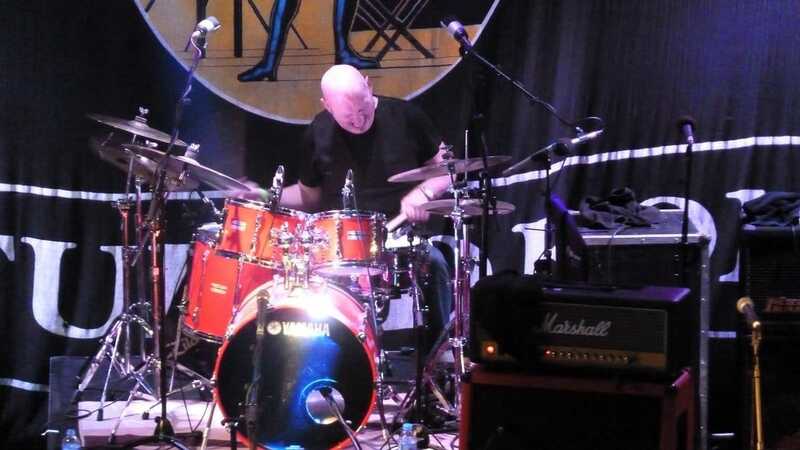 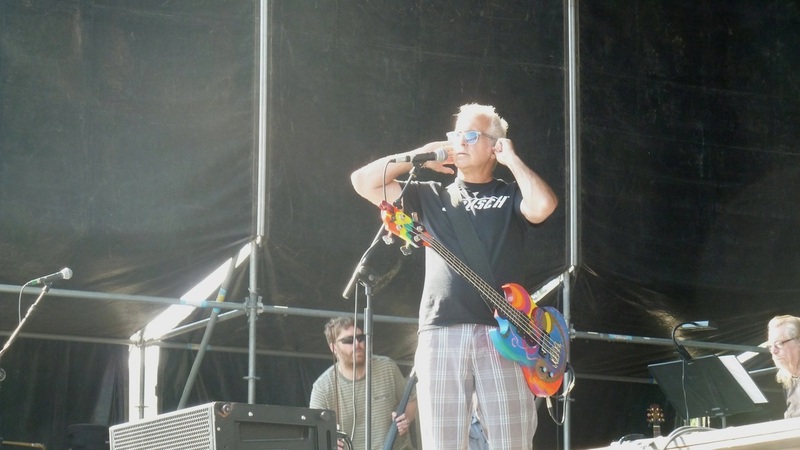 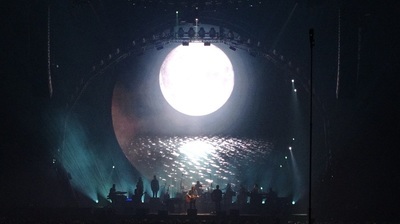 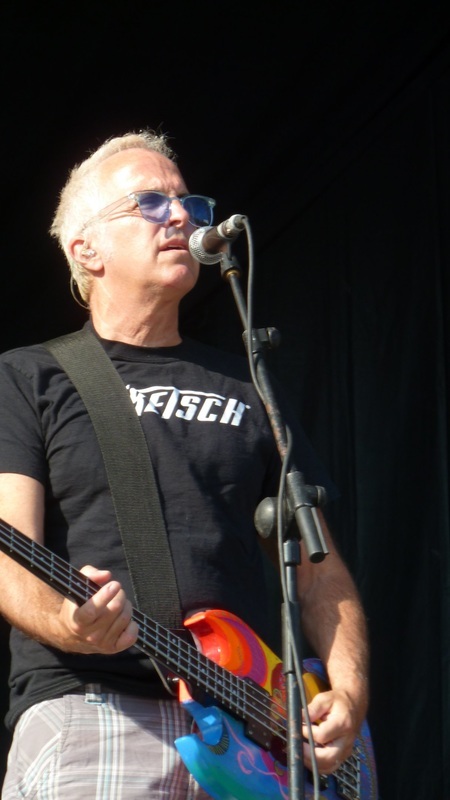 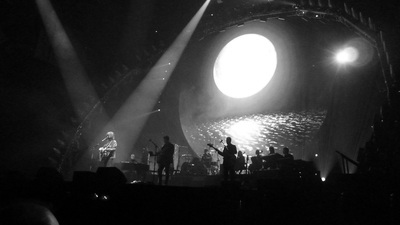 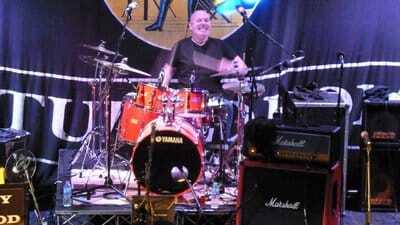 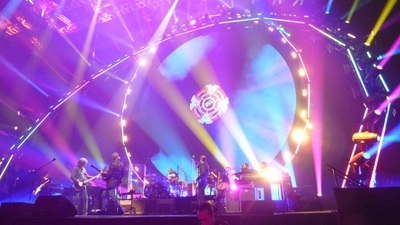 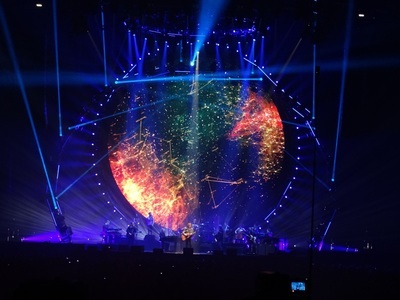 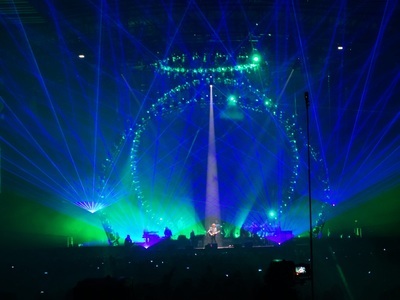 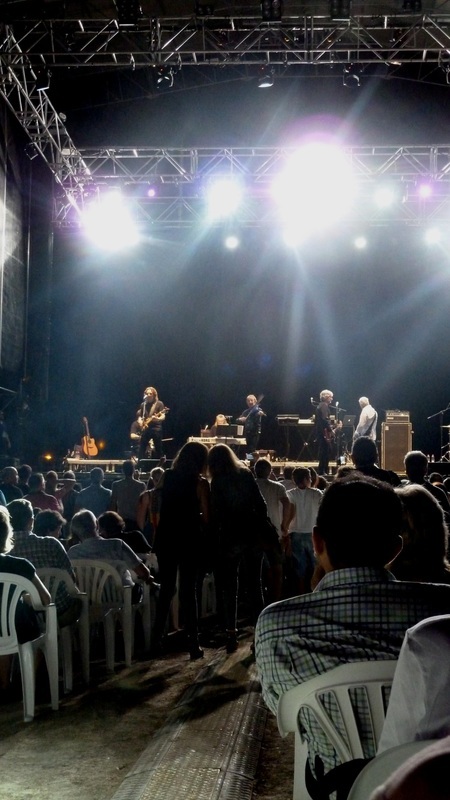 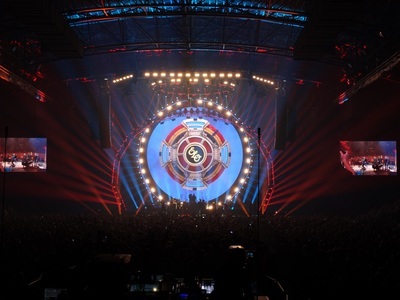 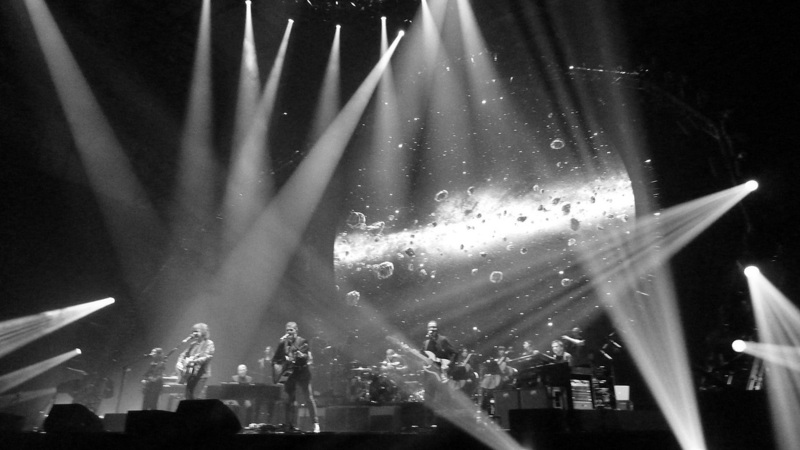 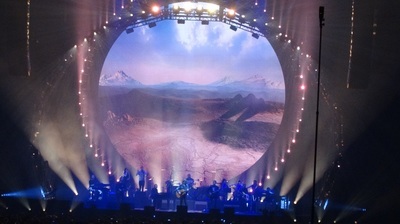 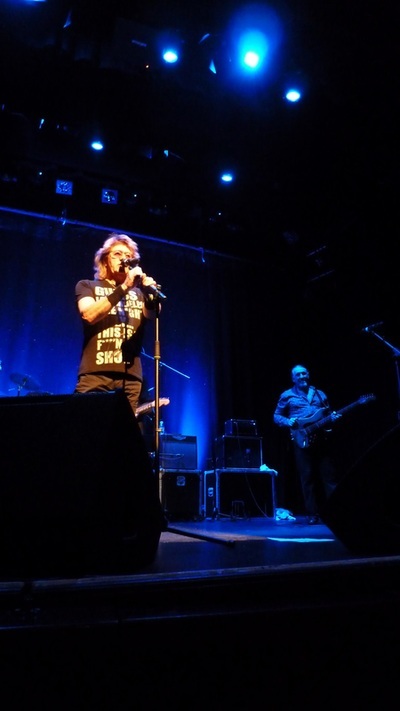 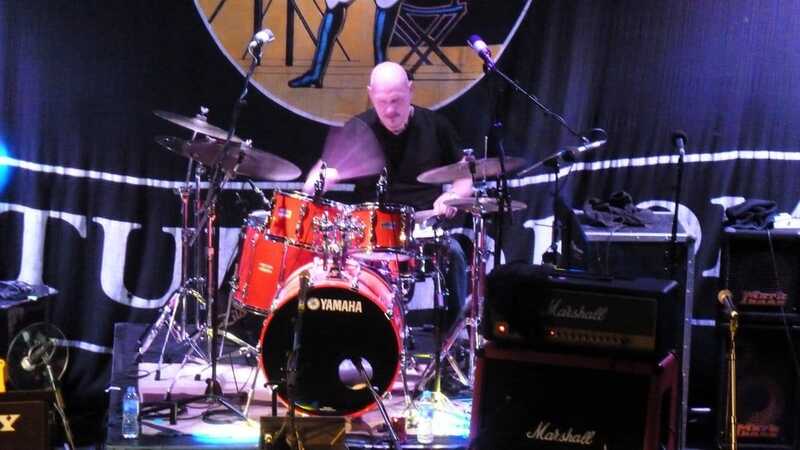 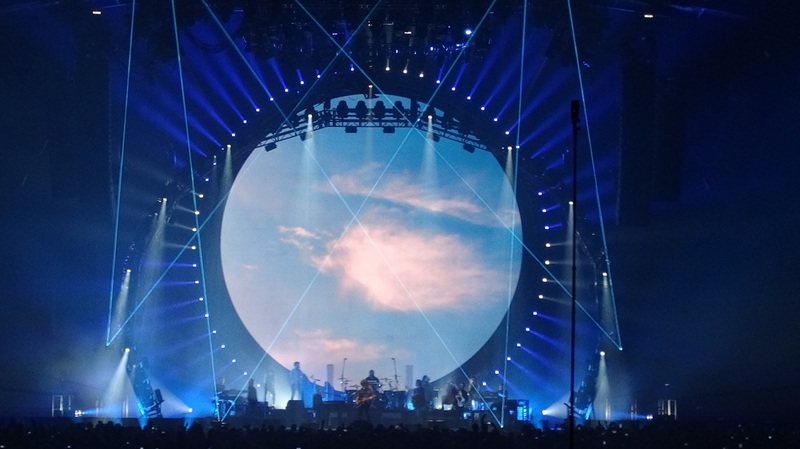 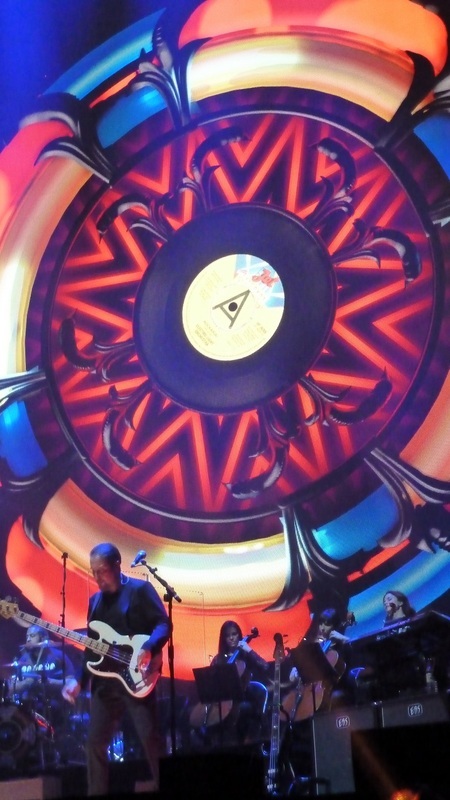 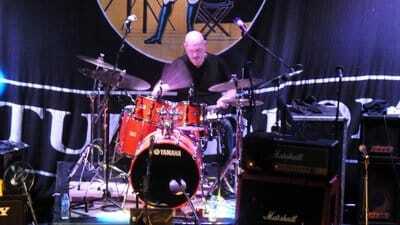 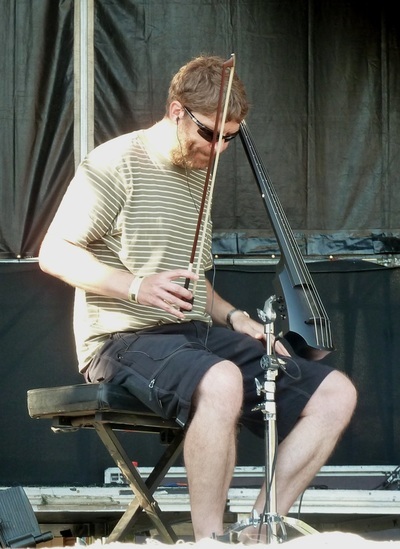 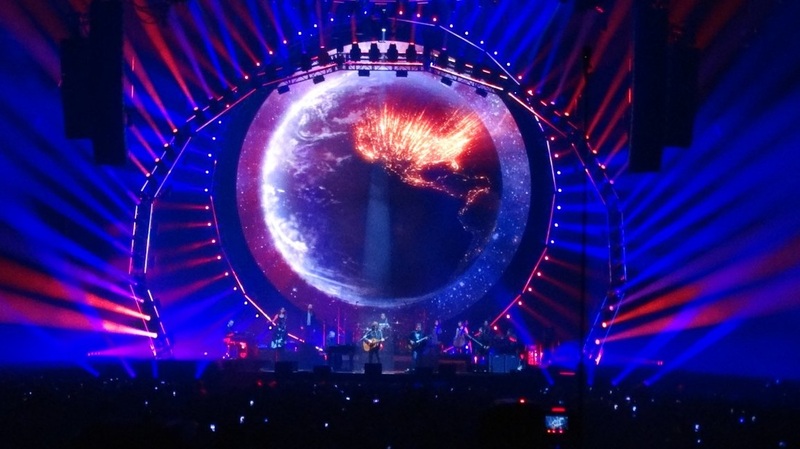 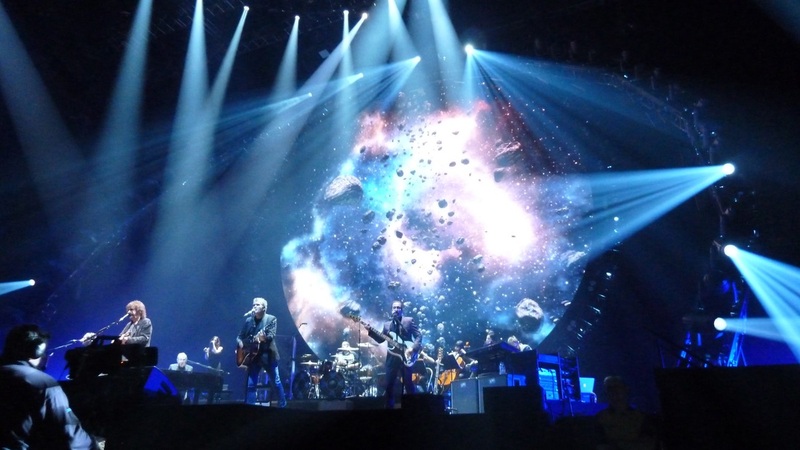 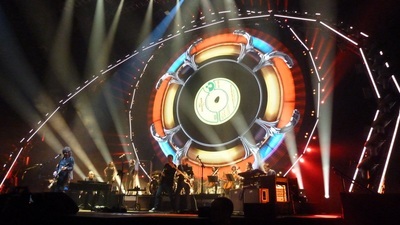 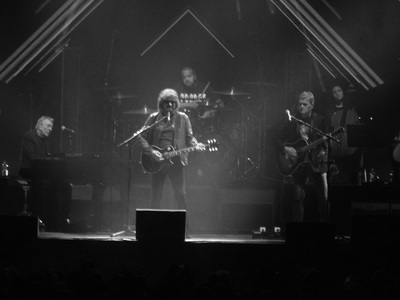 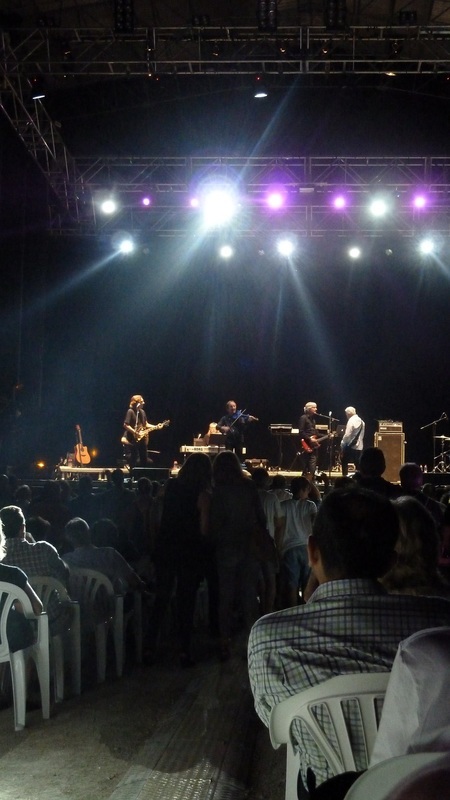 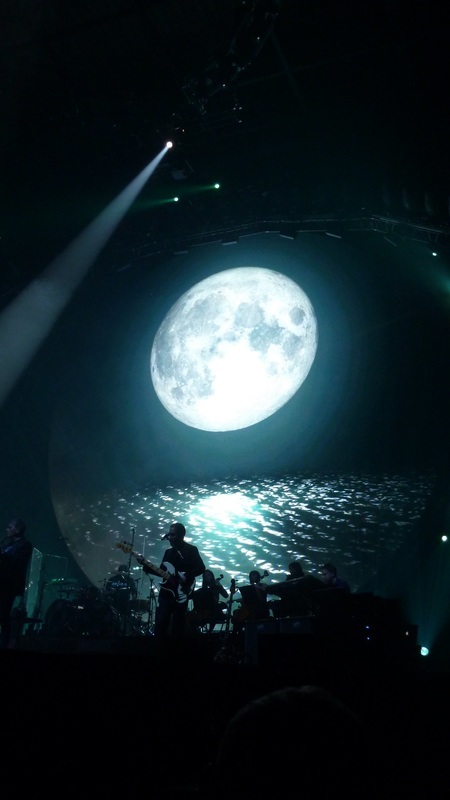 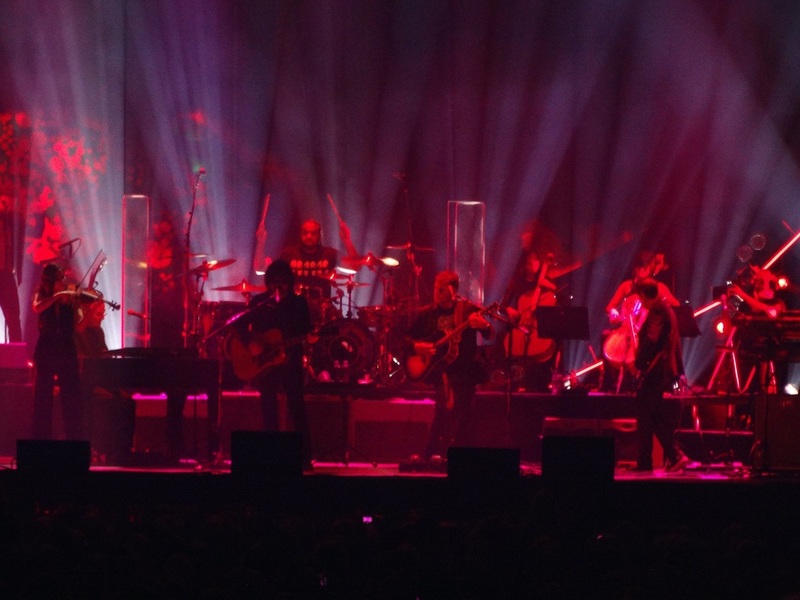 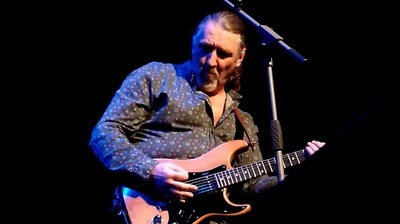 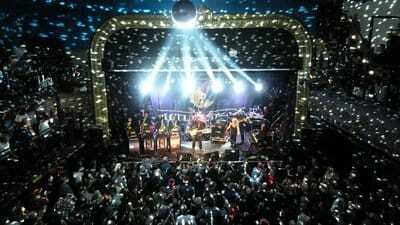 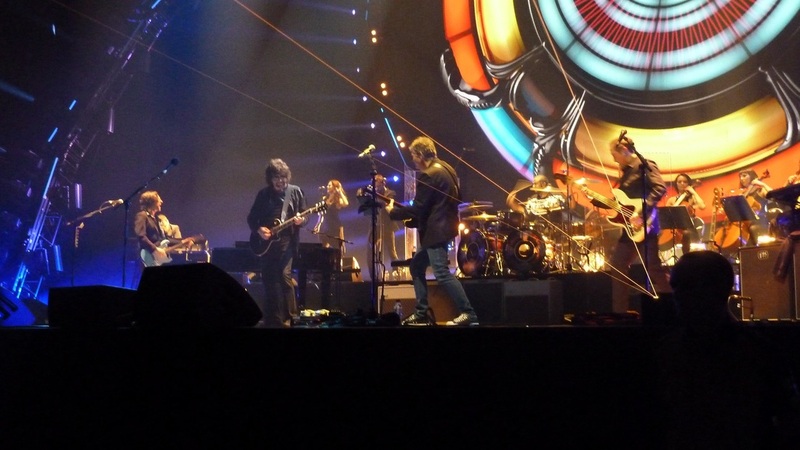 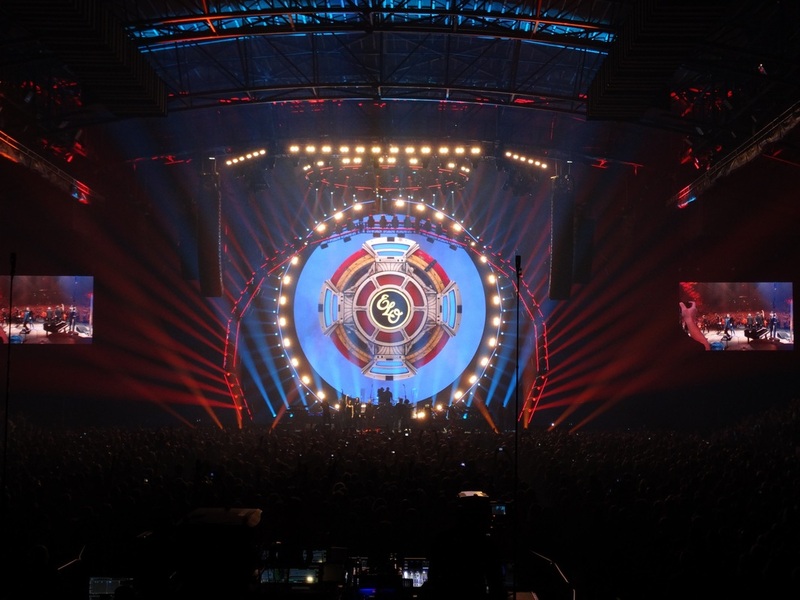 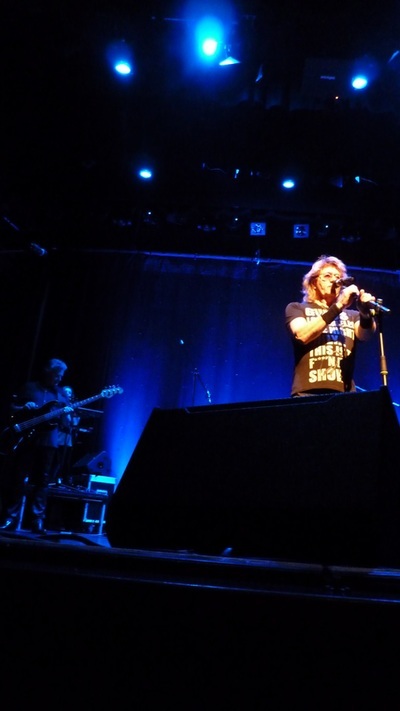 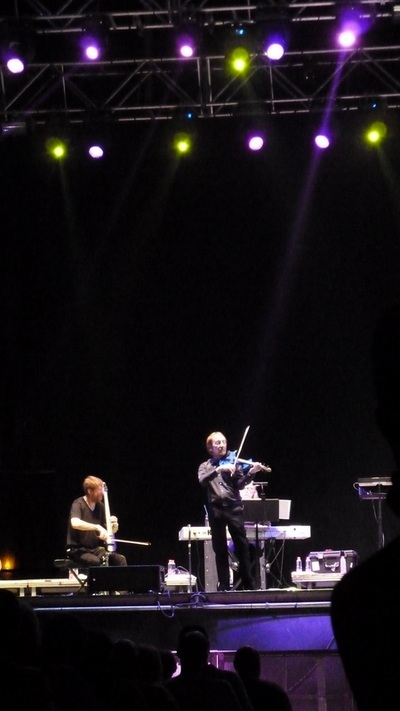 Check out the great review of the gig by Chris Birchall - Review.